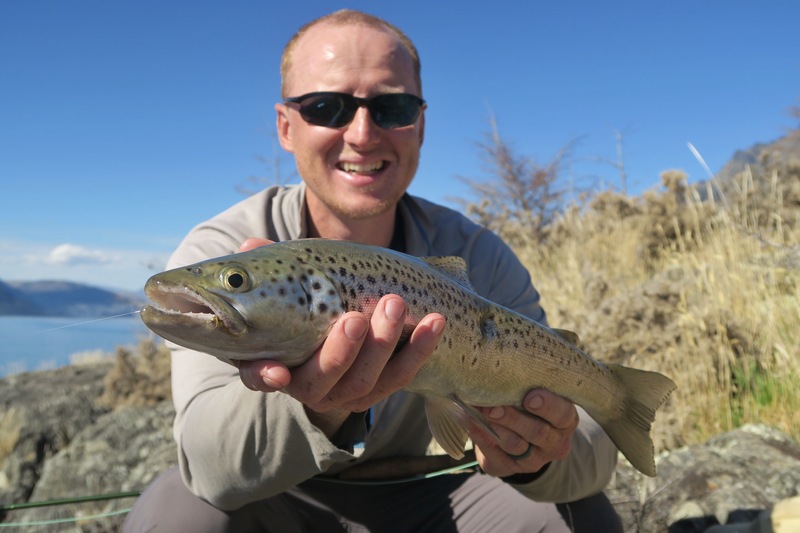 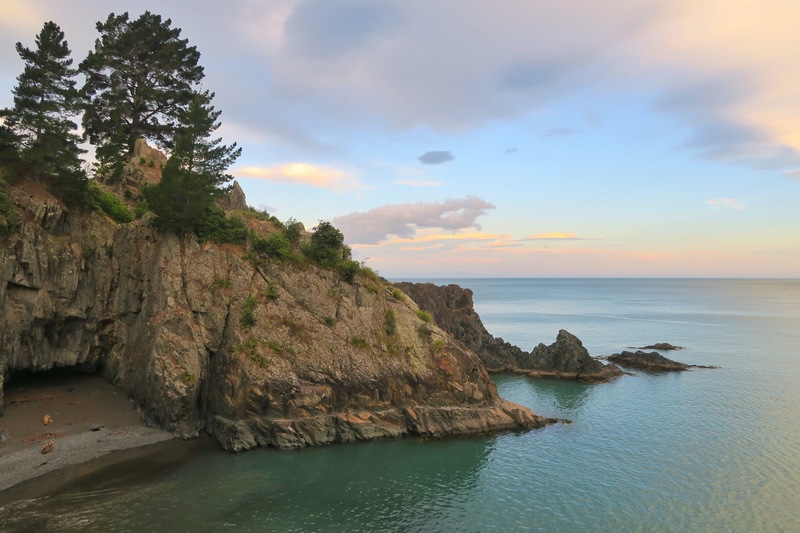 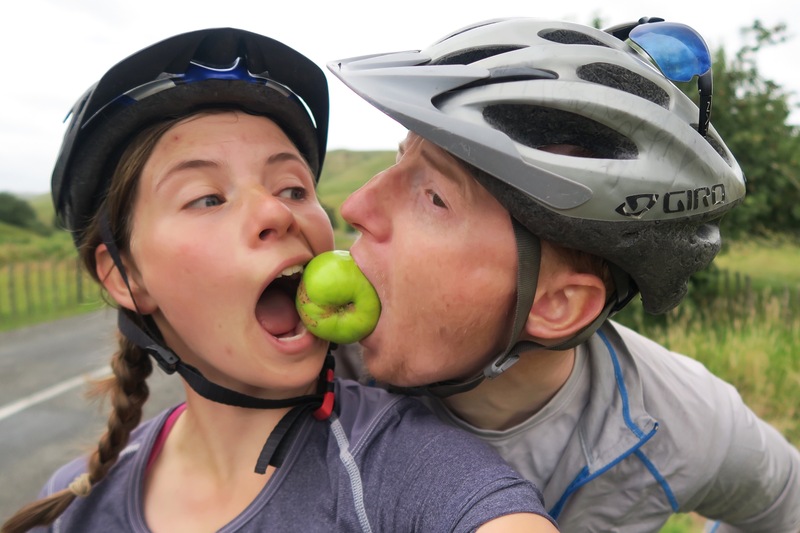 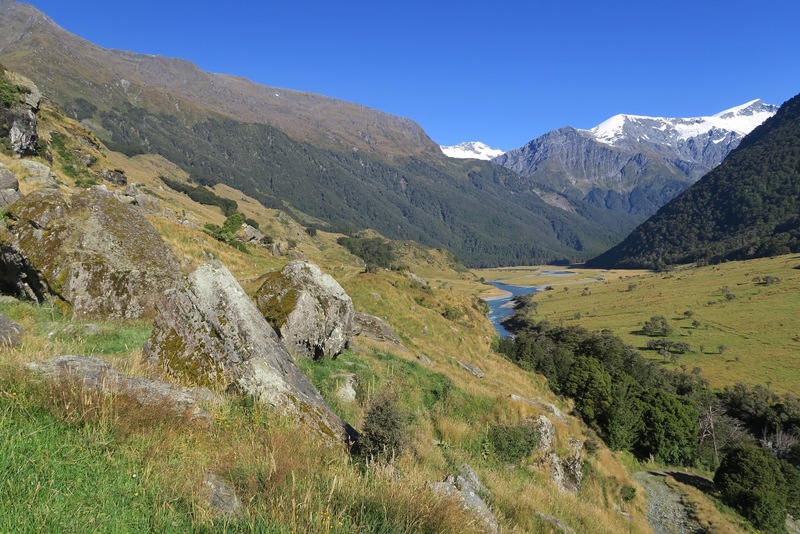 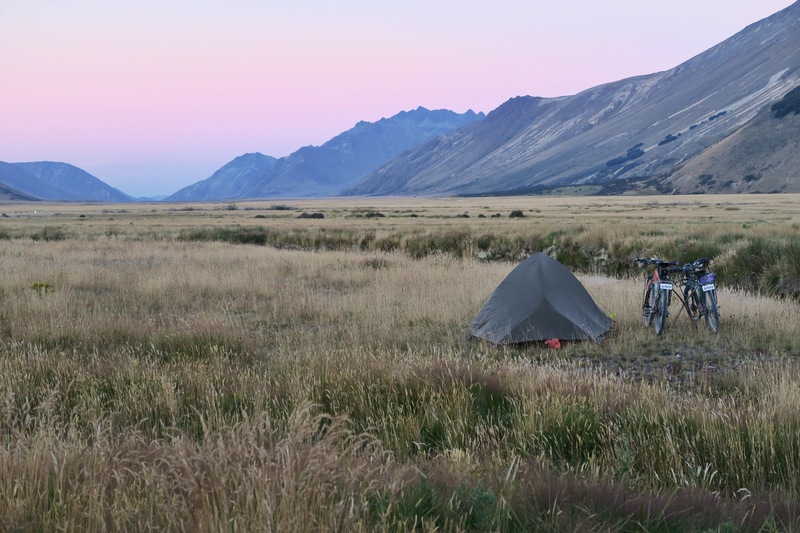 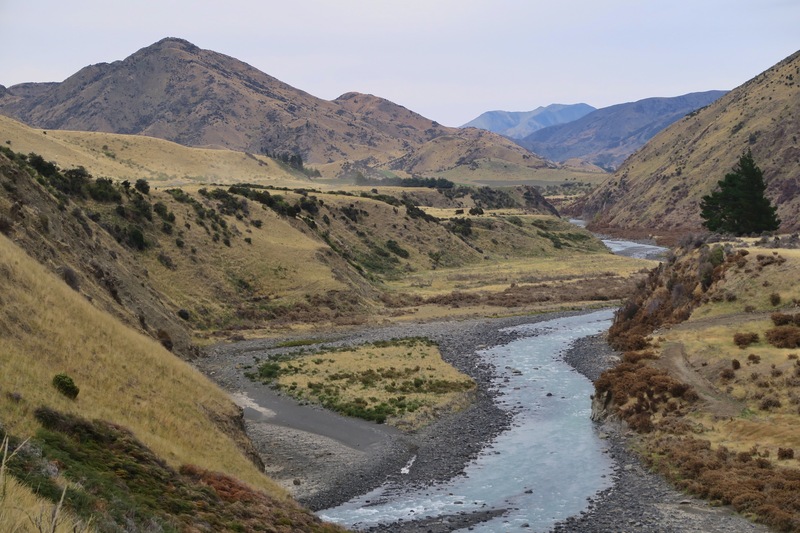 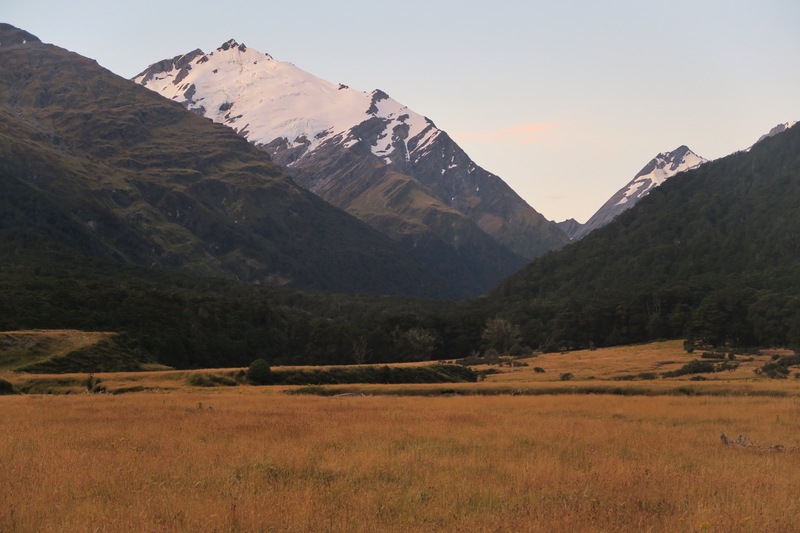 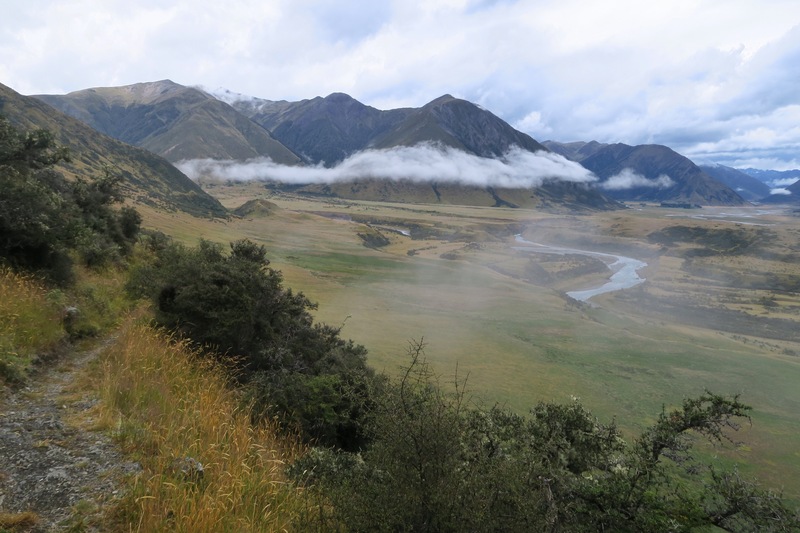 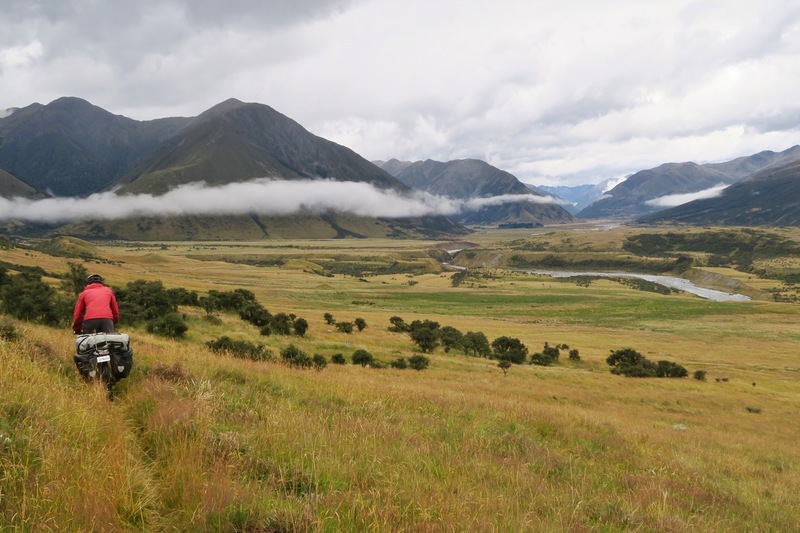 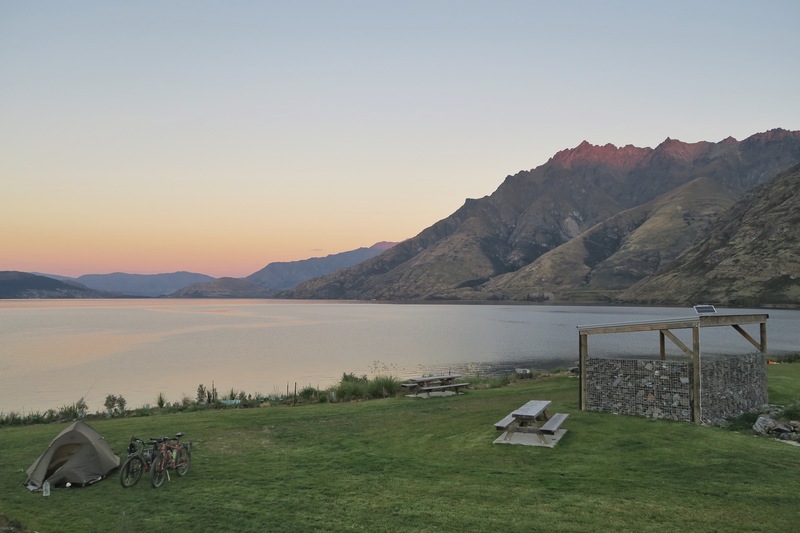 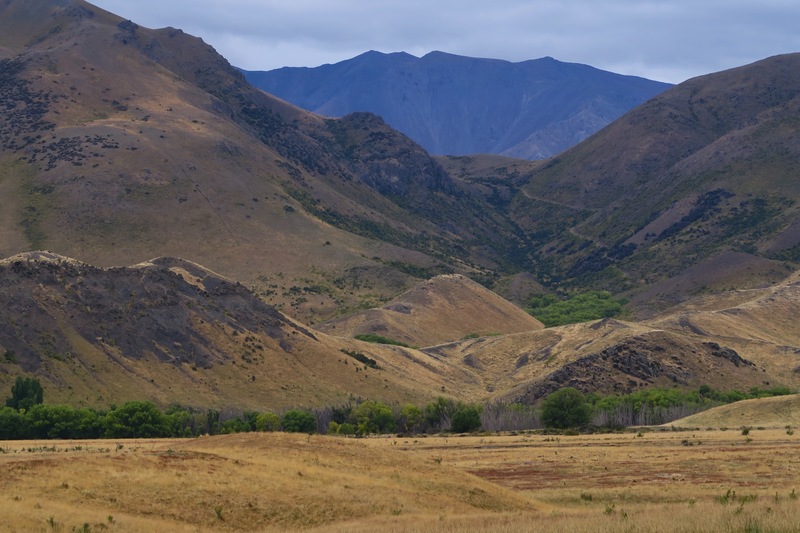 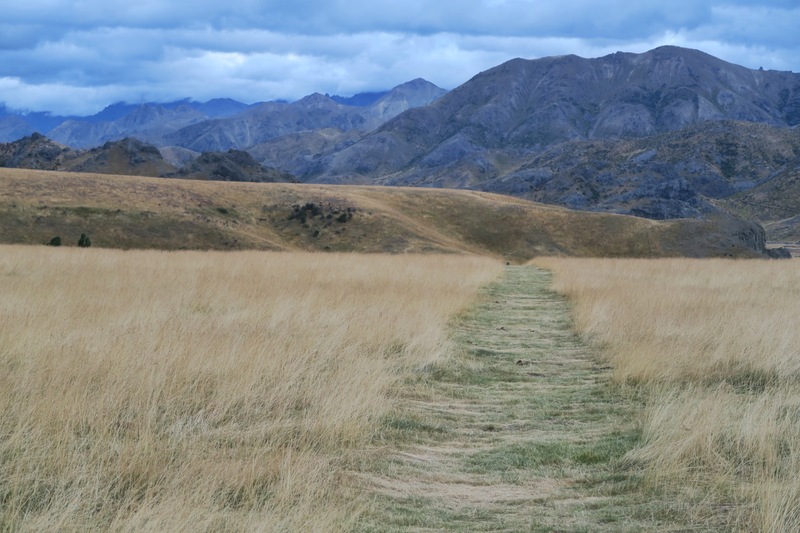 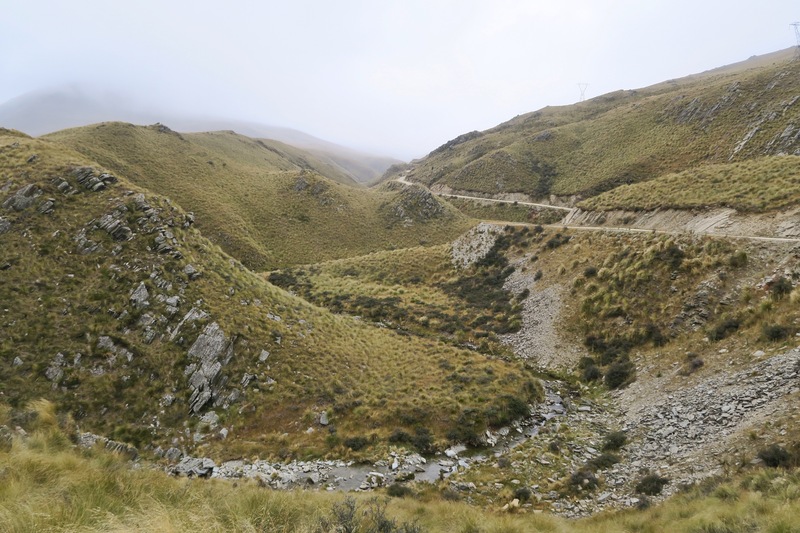 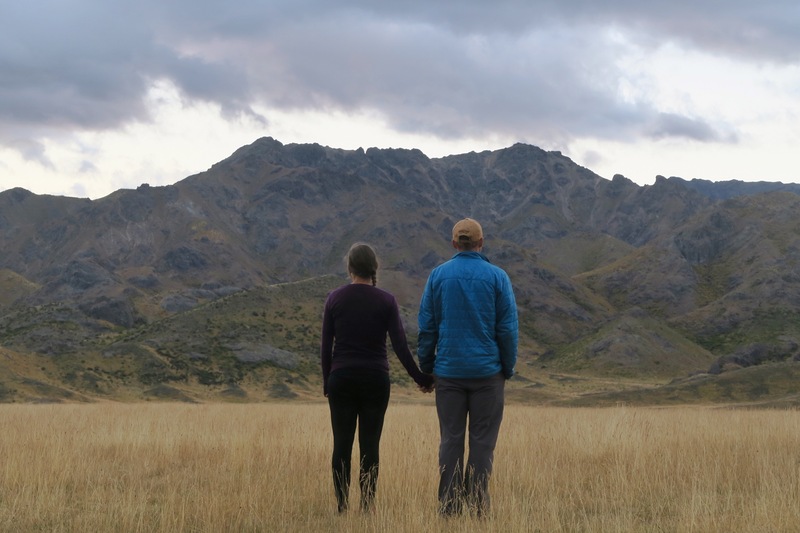 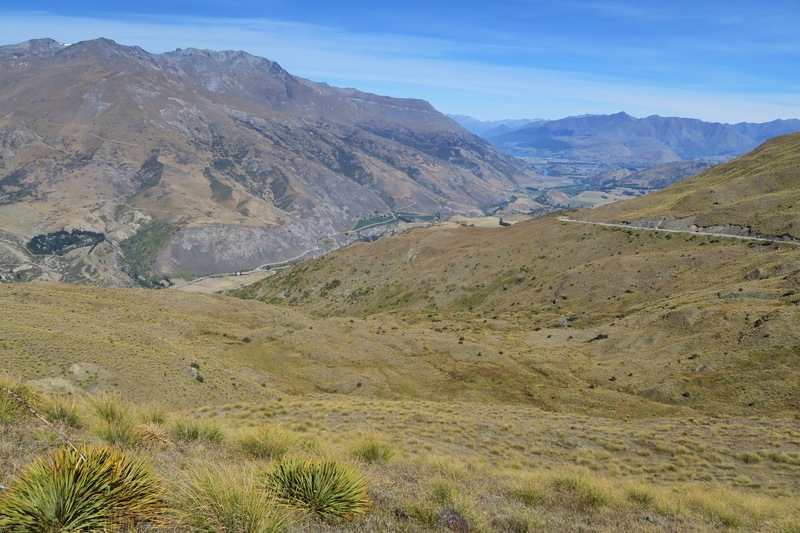 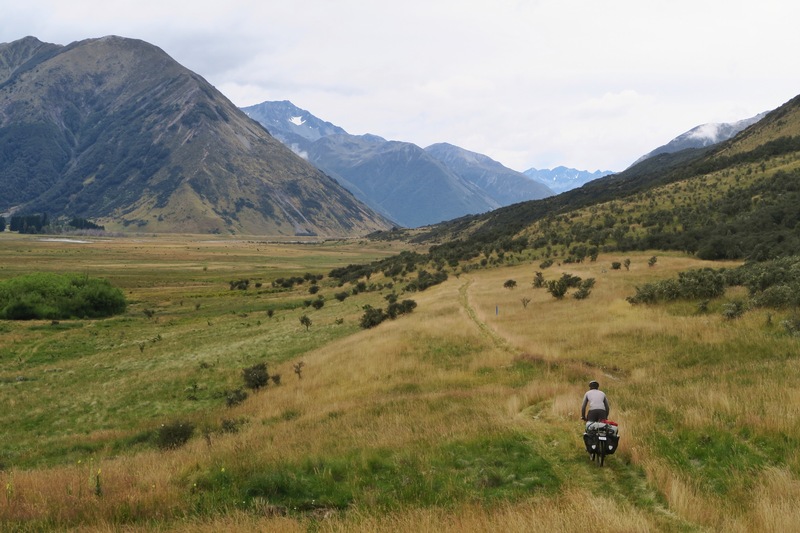 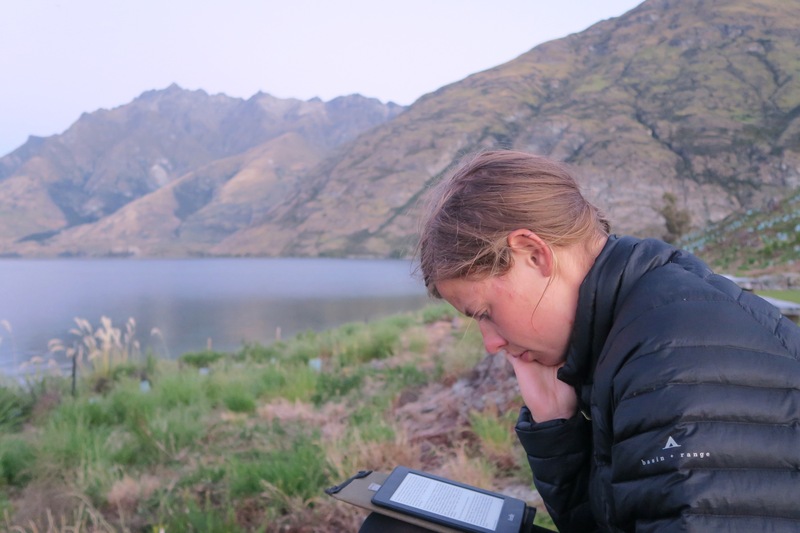 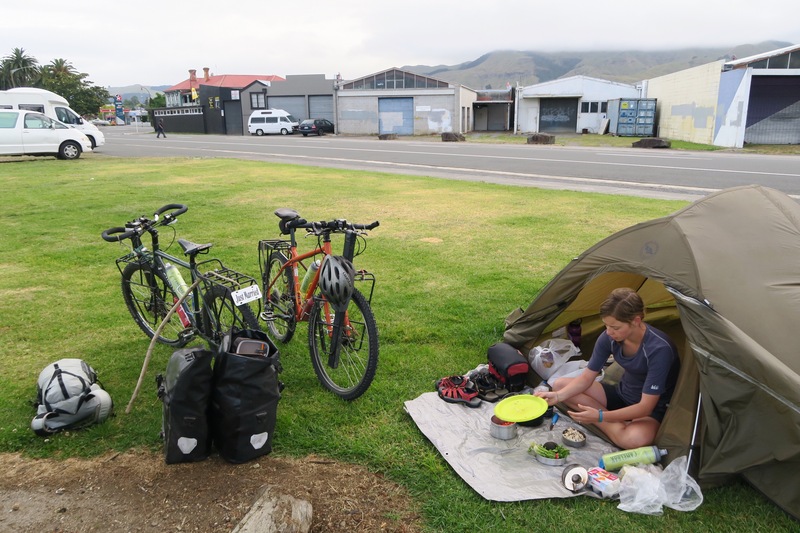 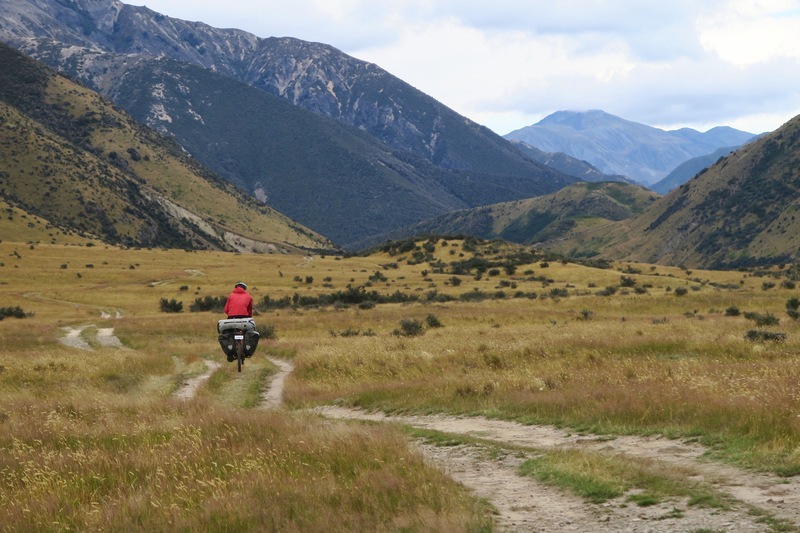 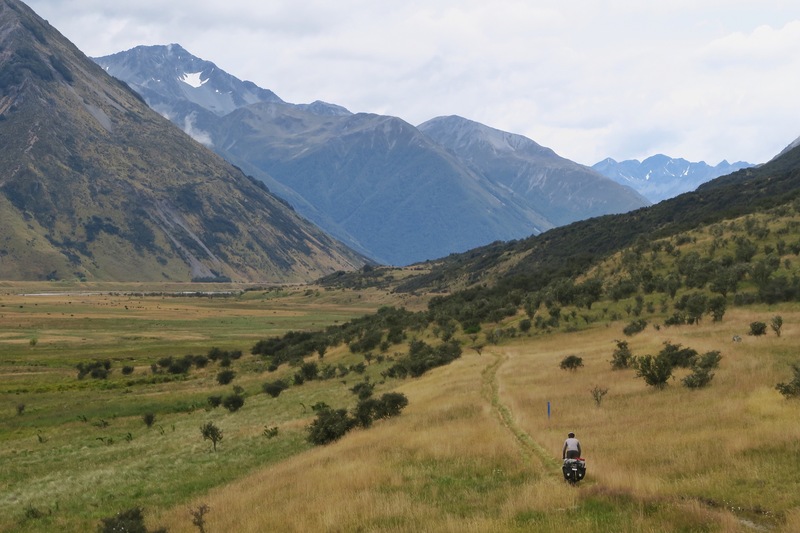 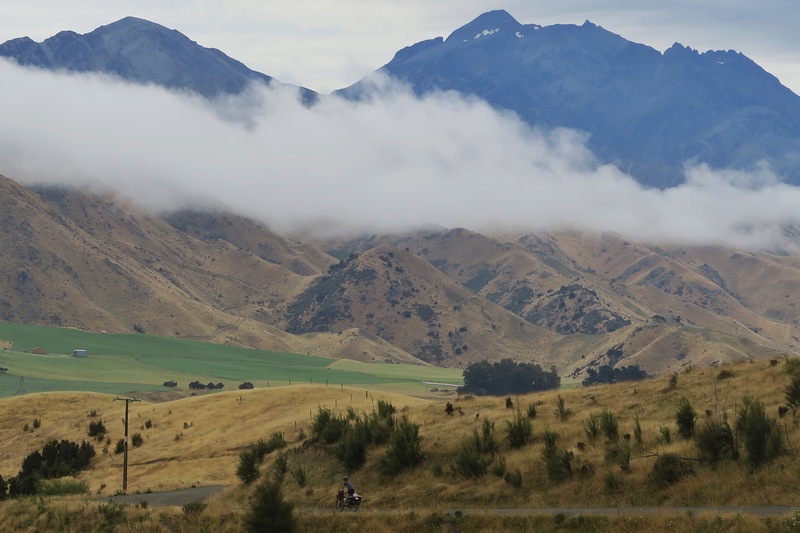 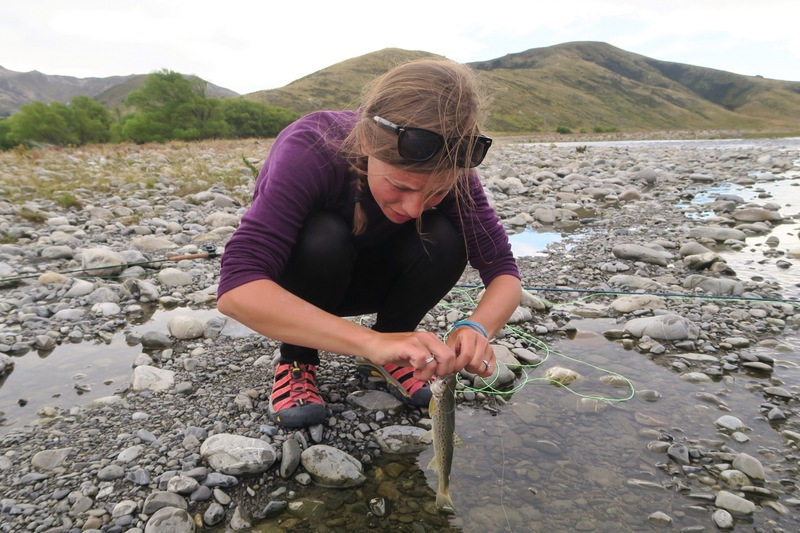 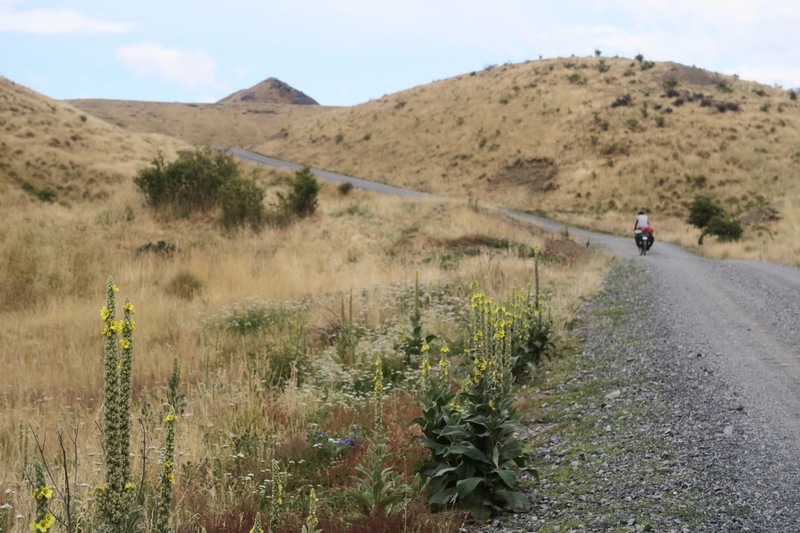 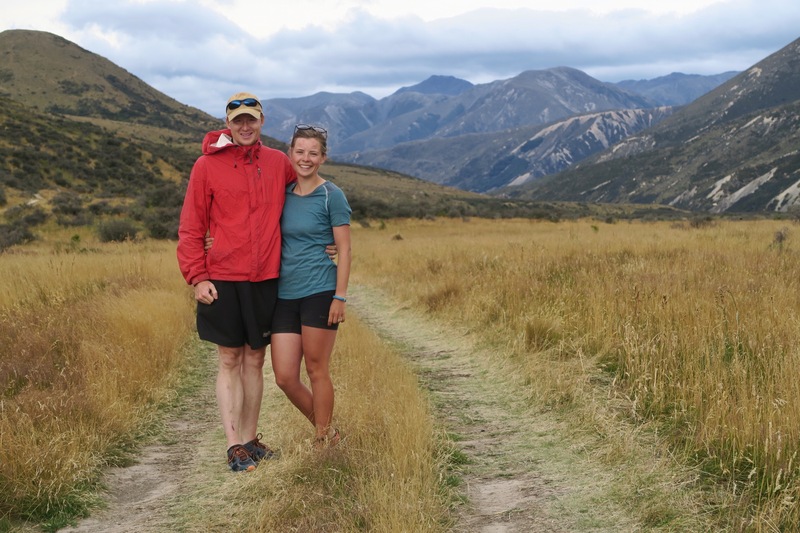 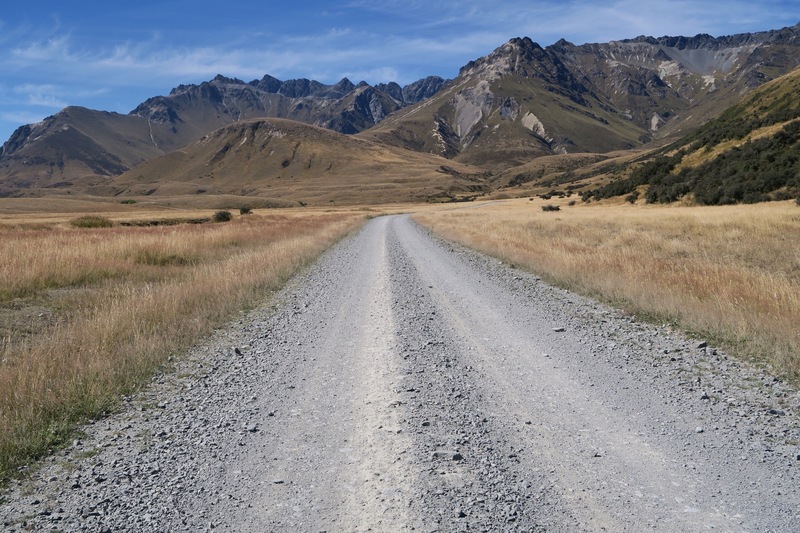 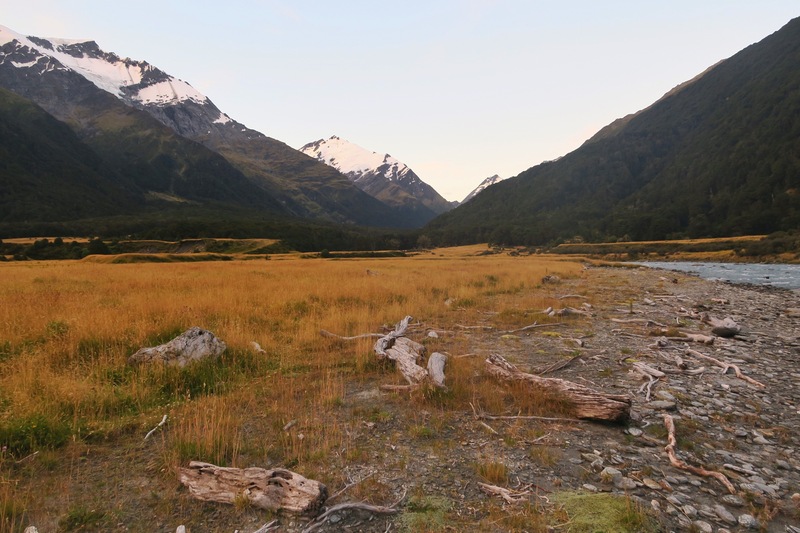 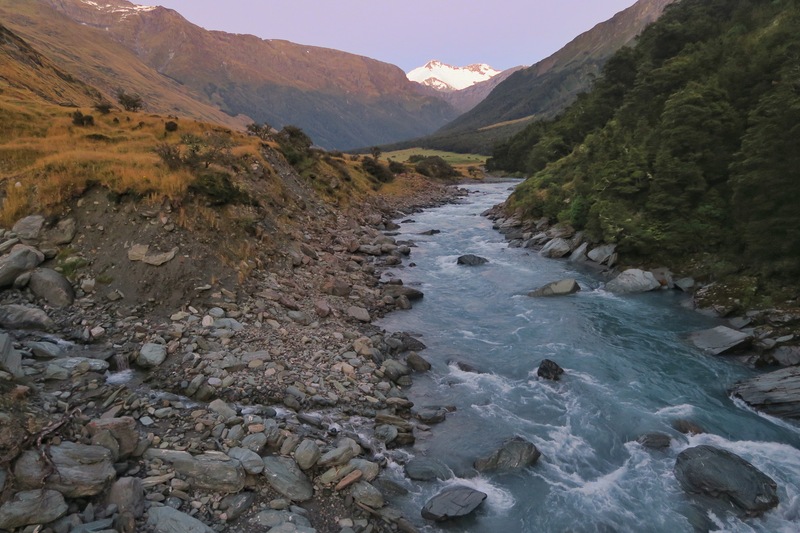 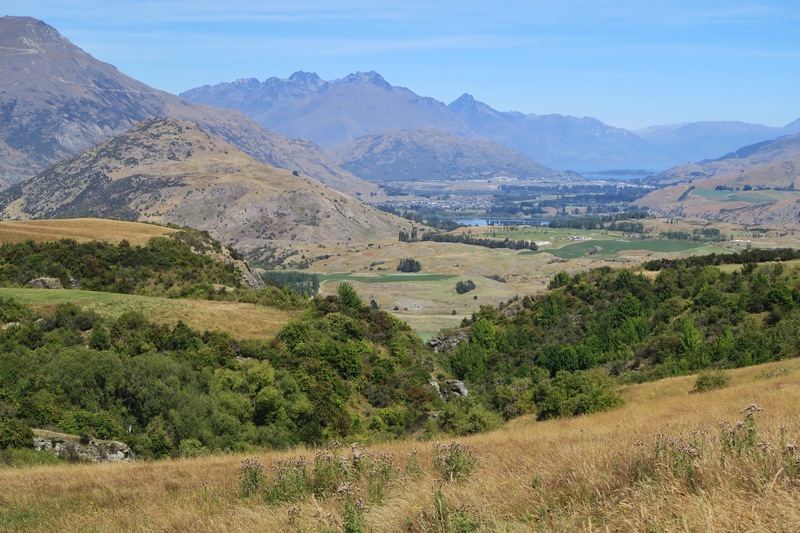 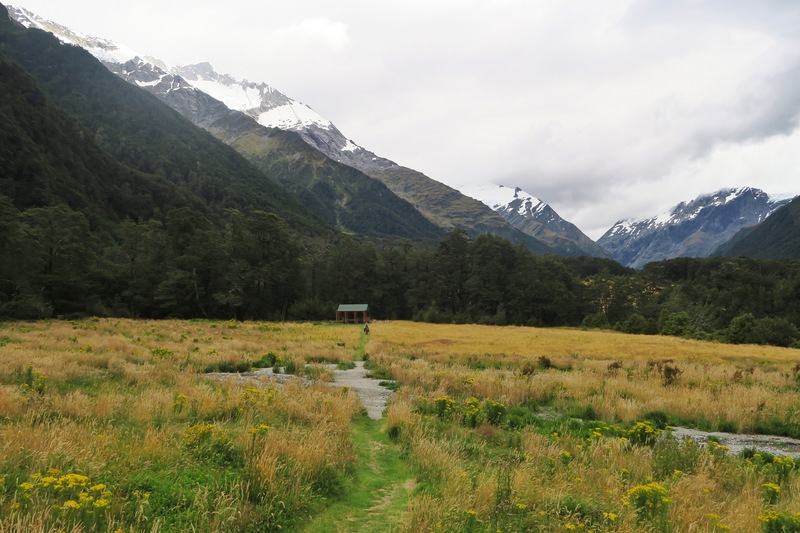 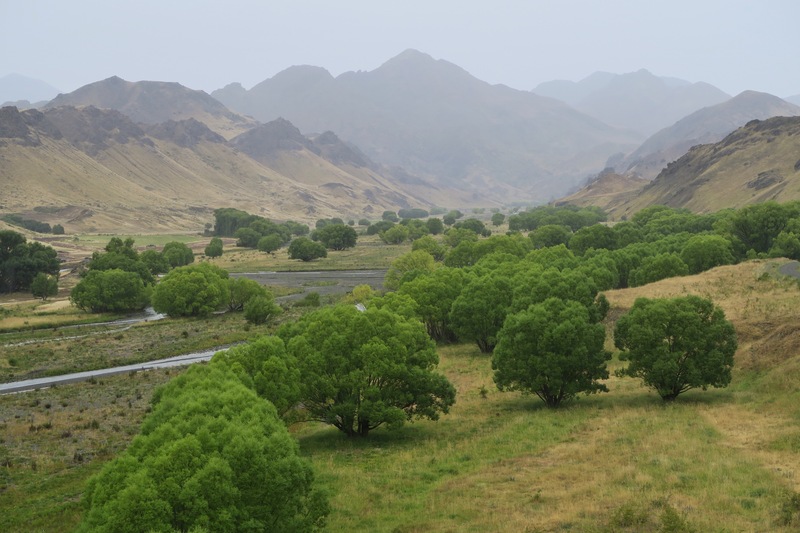 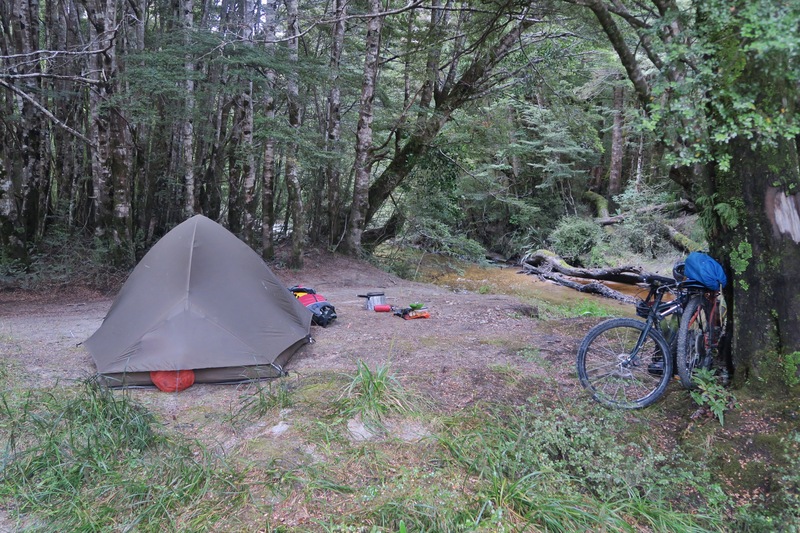 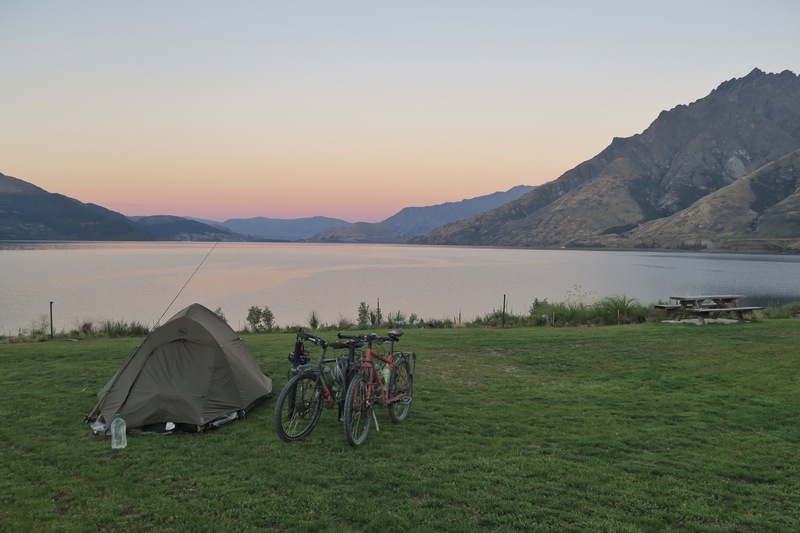 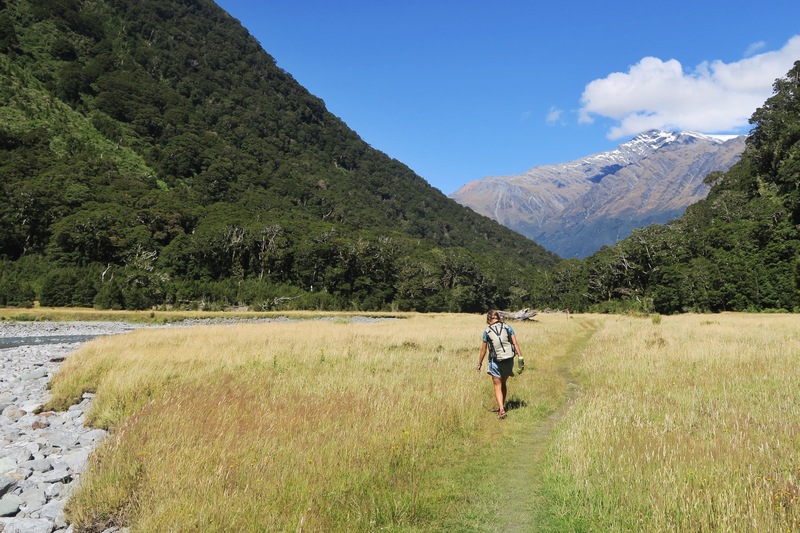 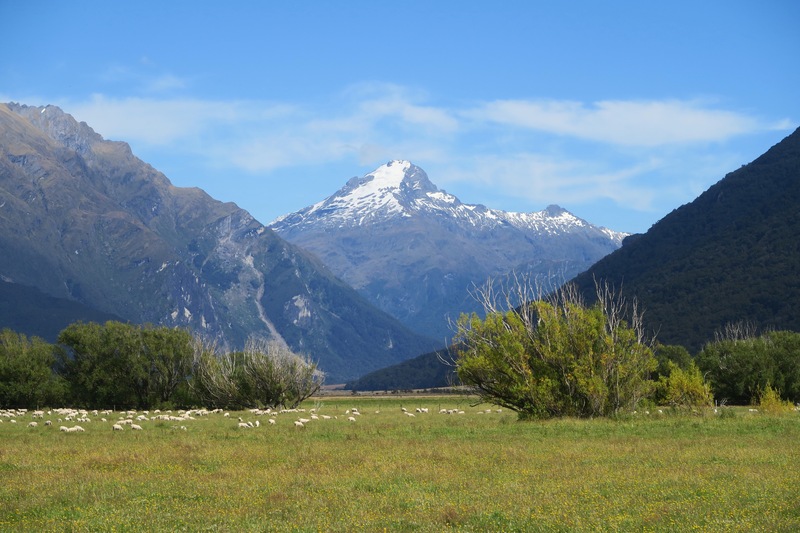 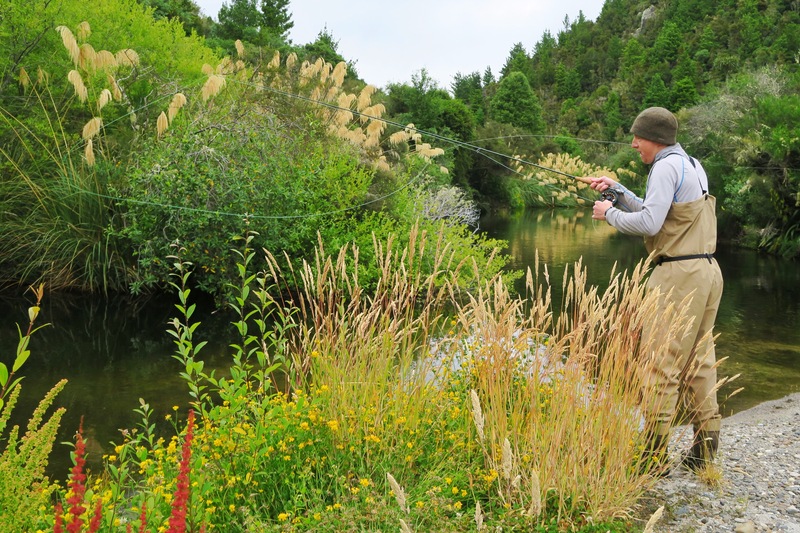 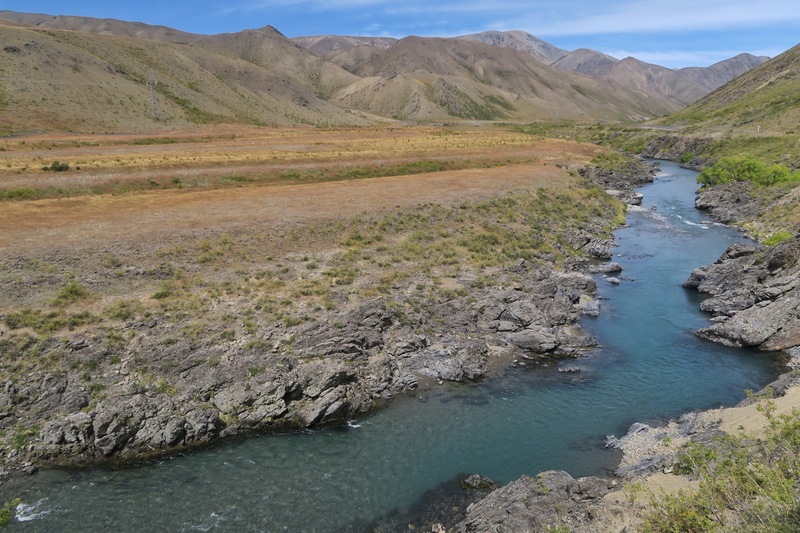 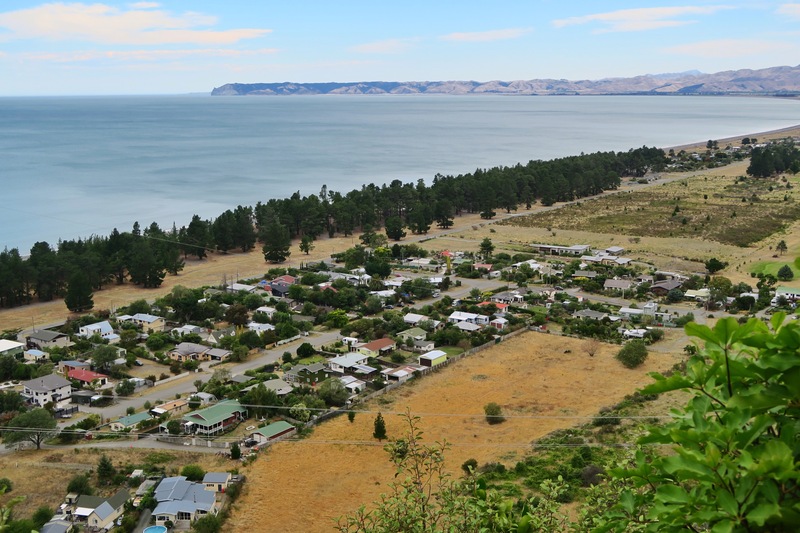 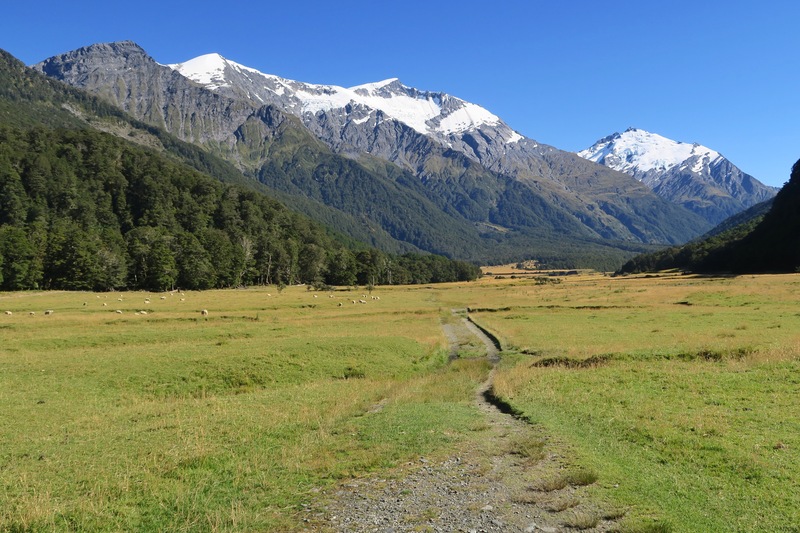 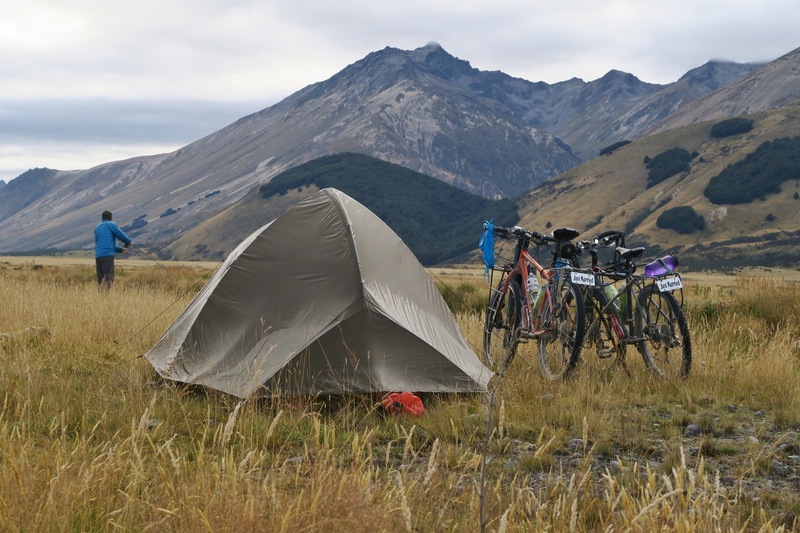 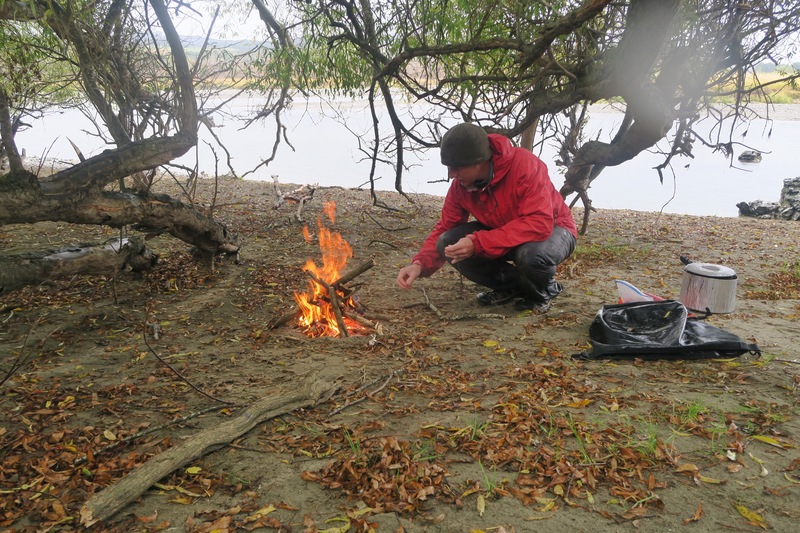 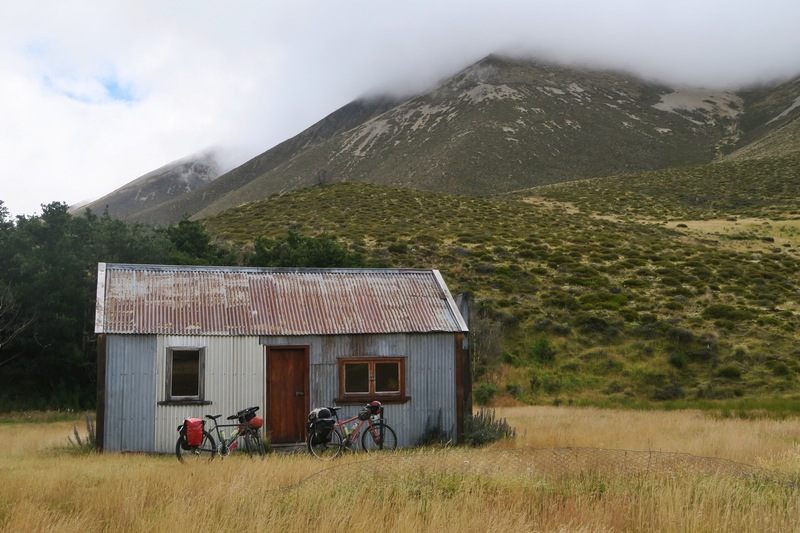 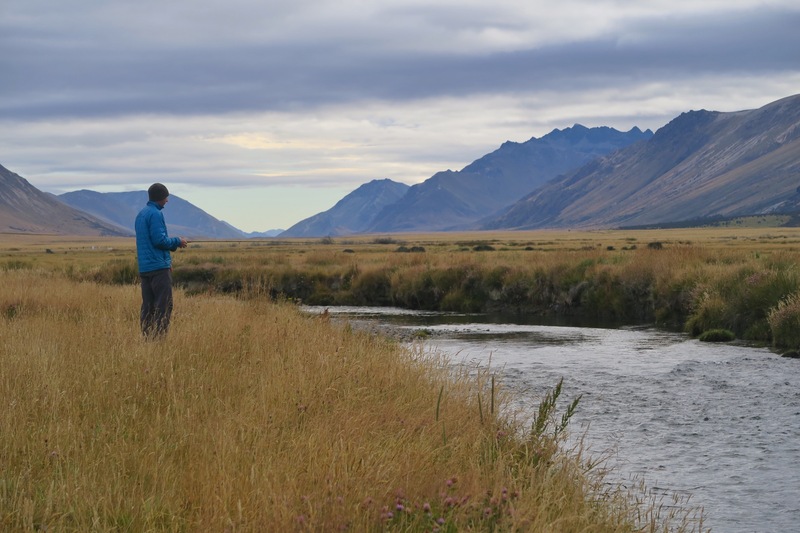 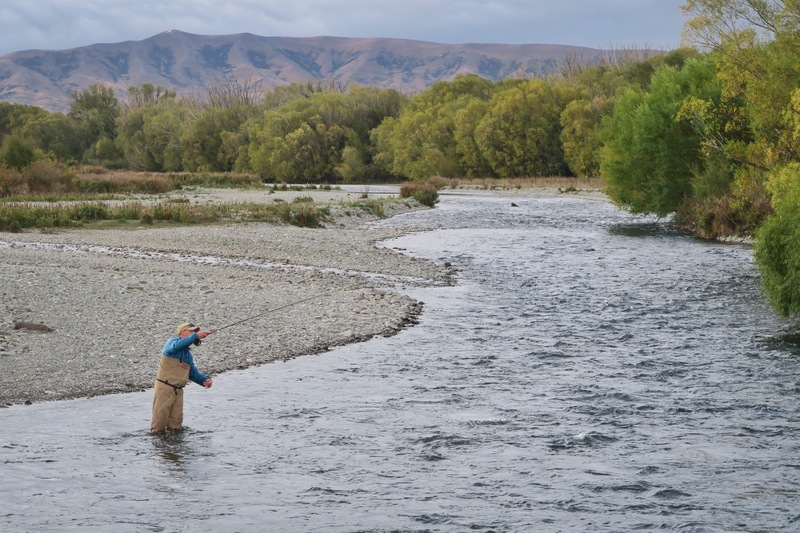 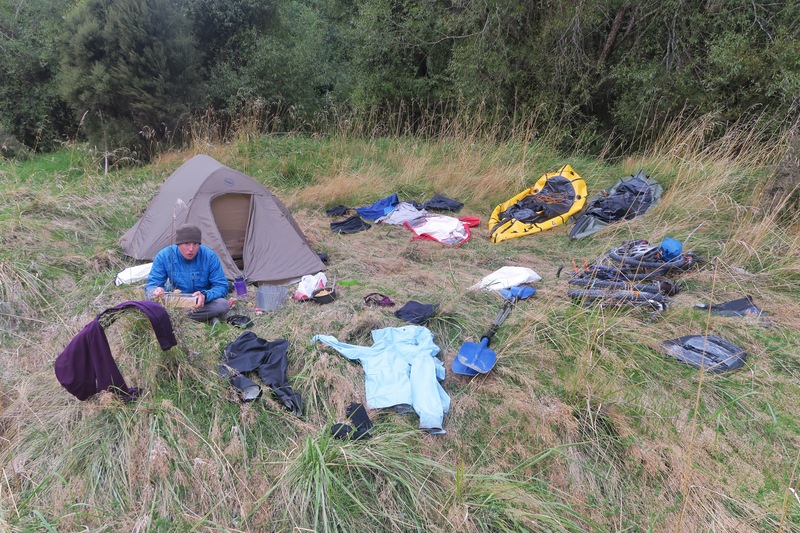 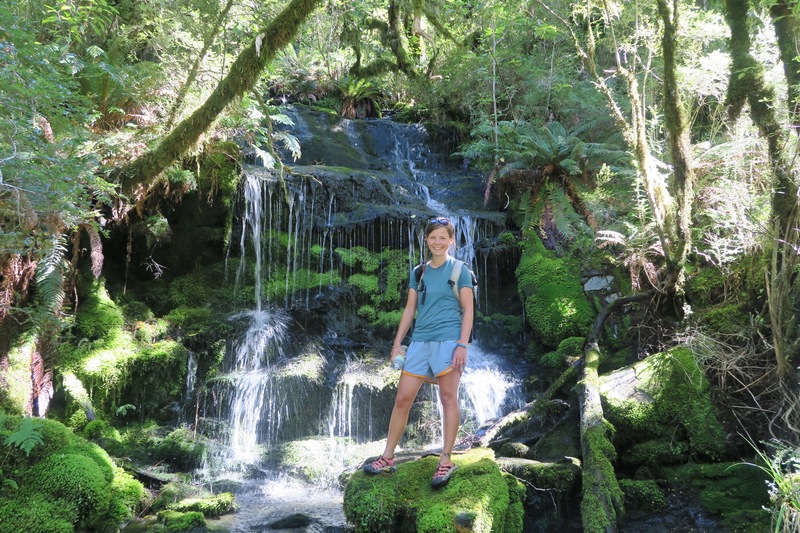 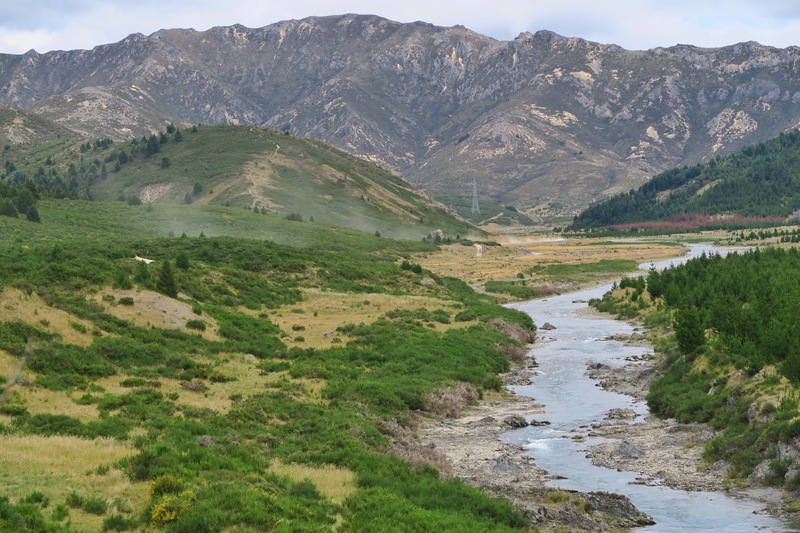 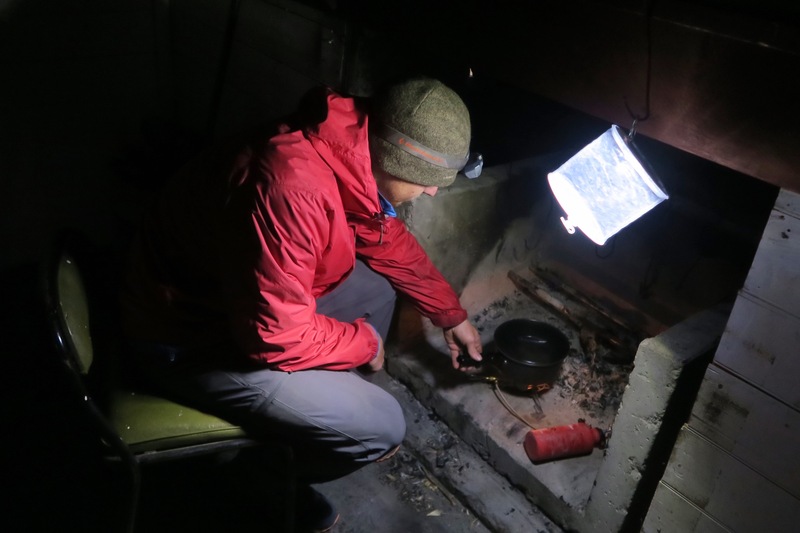 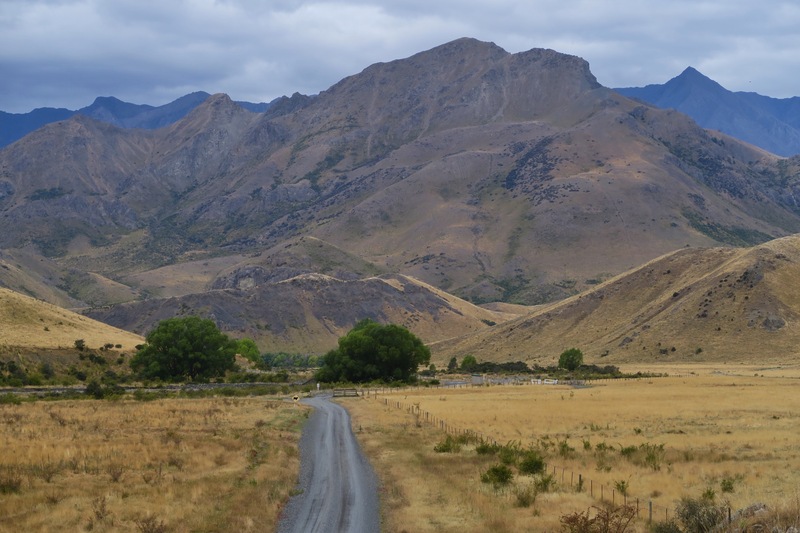 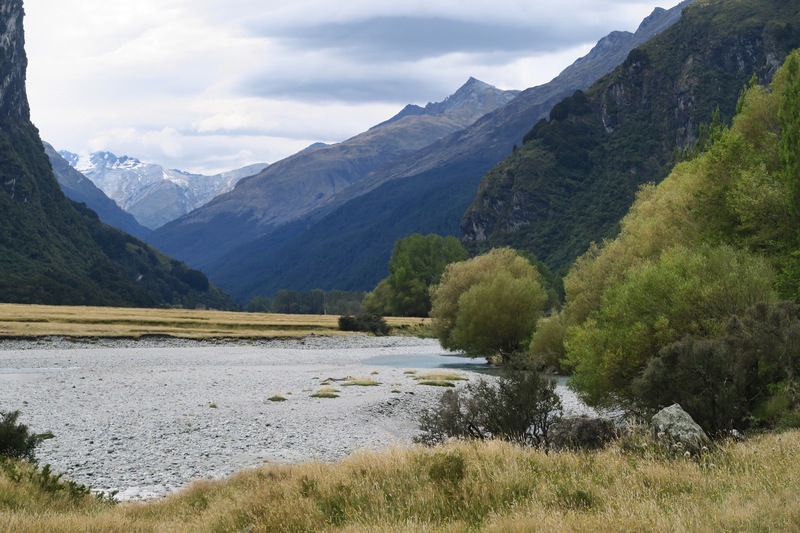 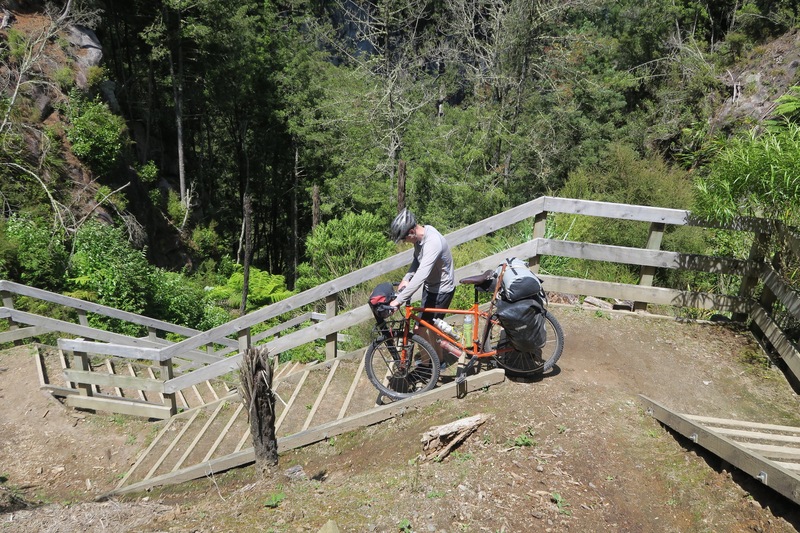 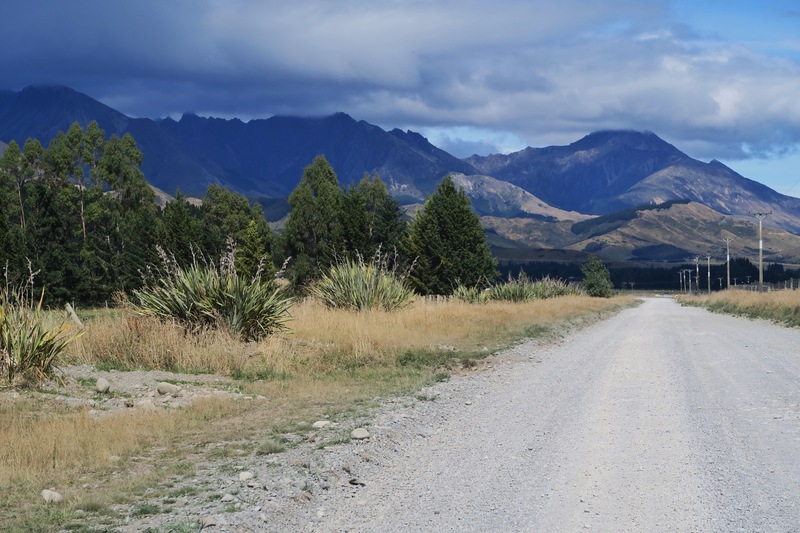 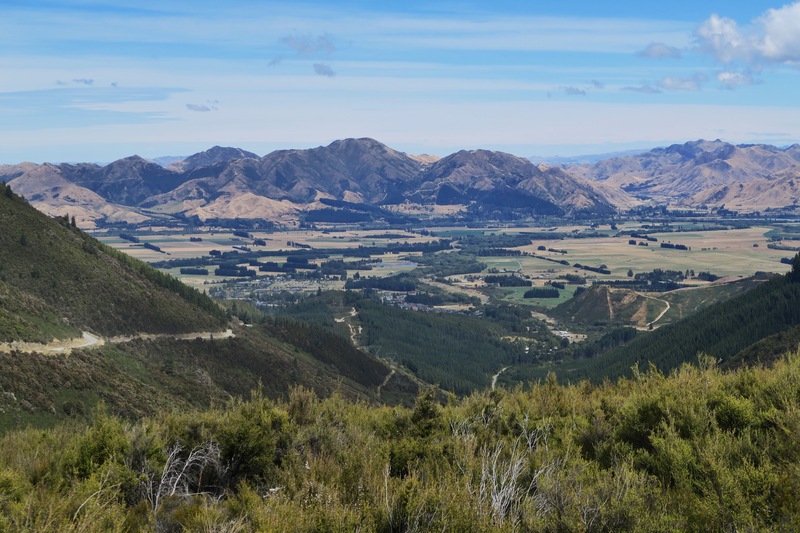 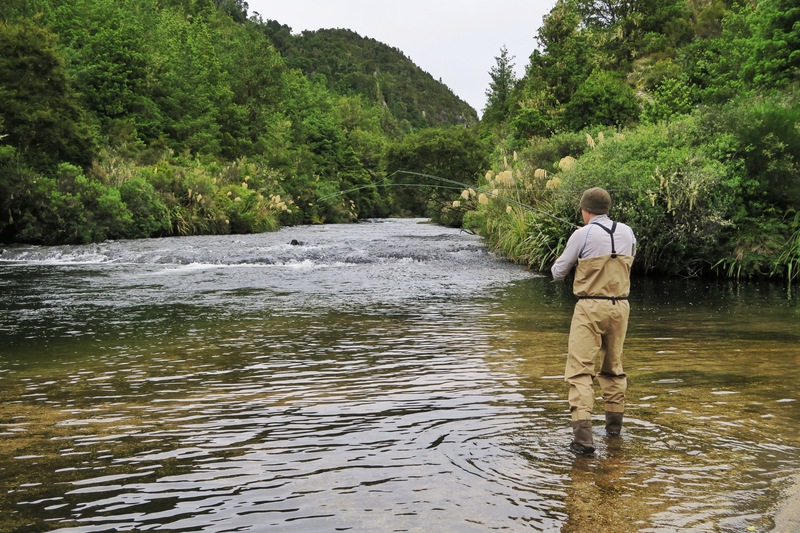 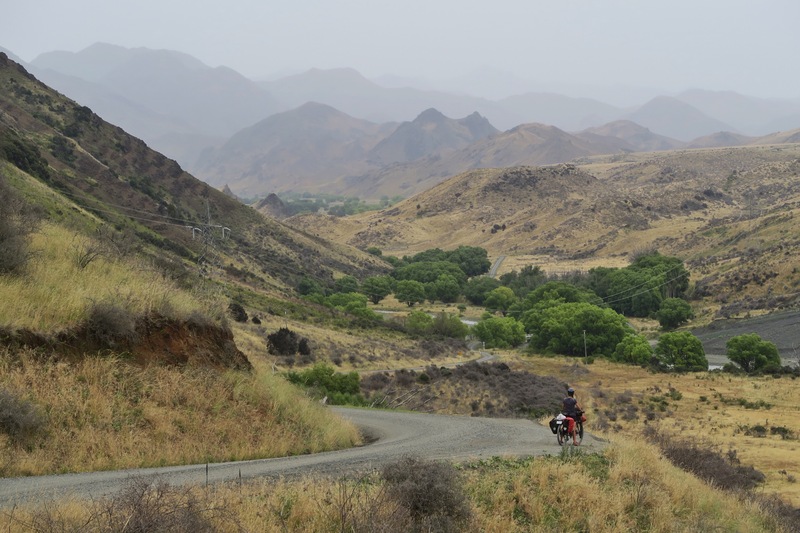 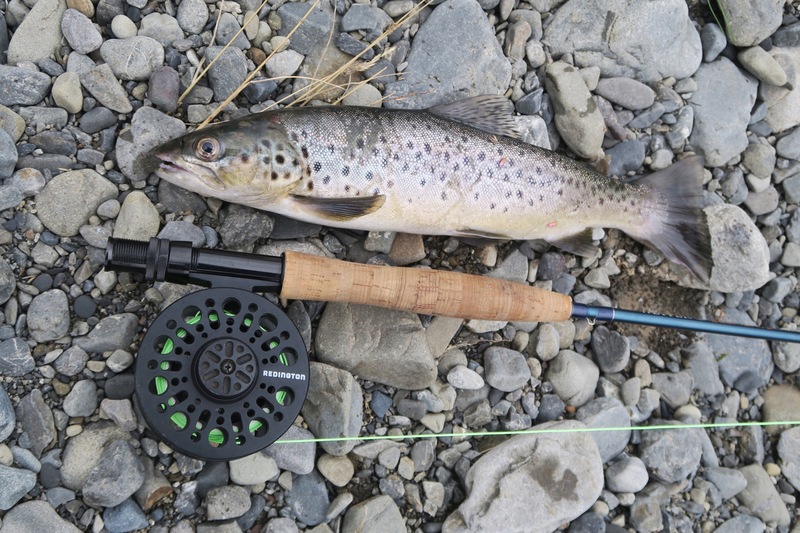 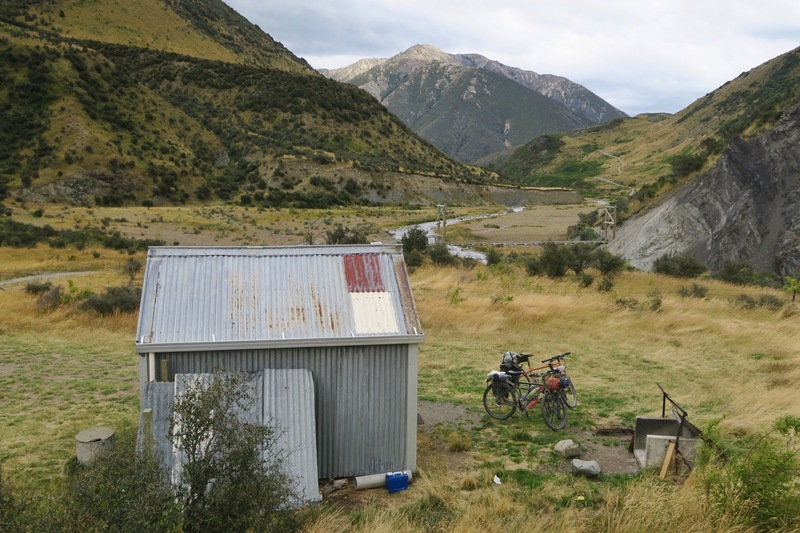 We strategically camped twenty kilometers away from Queenstown (in Arrowtown) where I was able to spend an evening trail running completely alone on beautiful trails before we rode a mountain bike route into town the next morning. 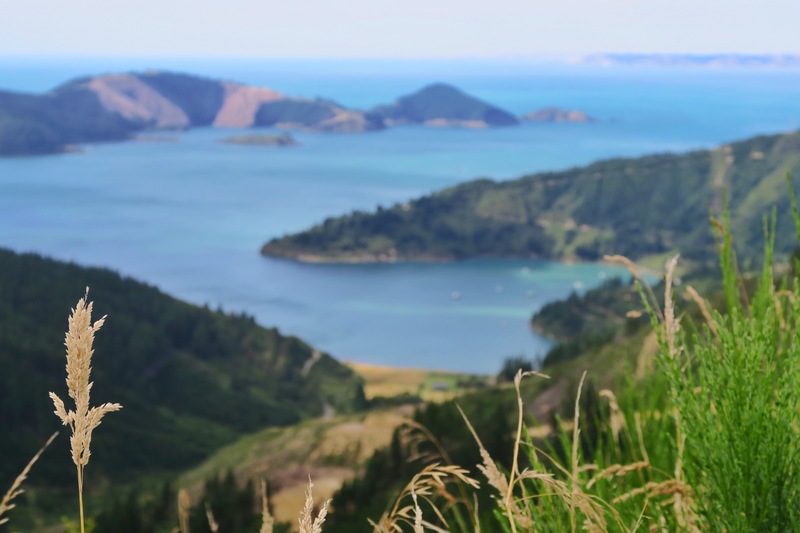 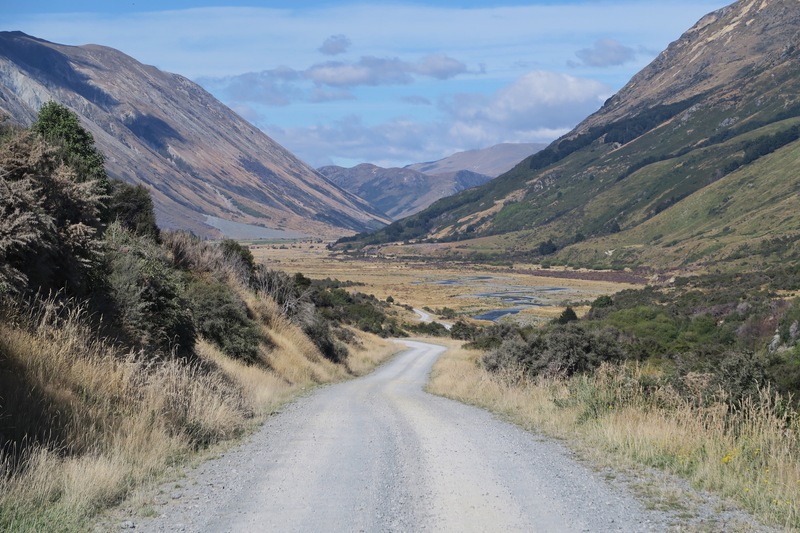 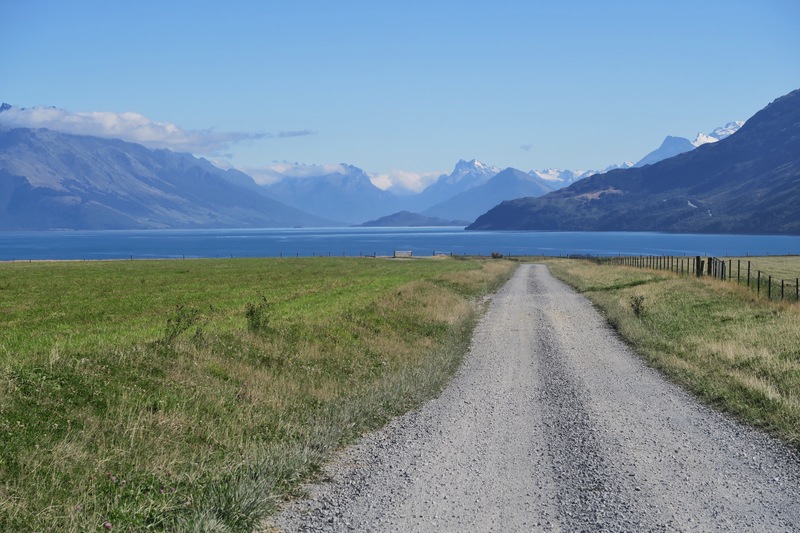 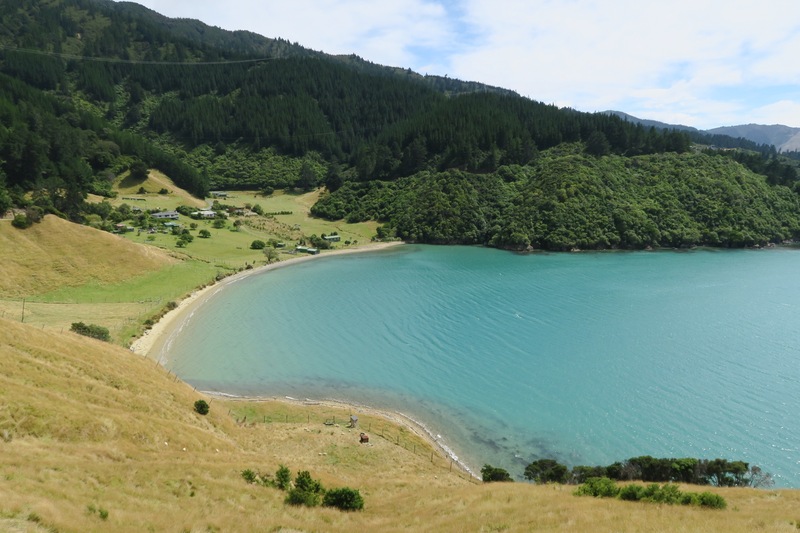 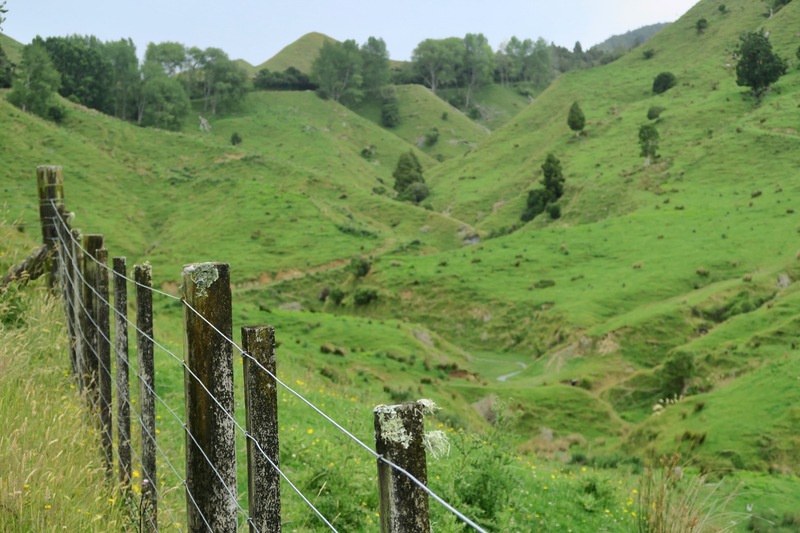 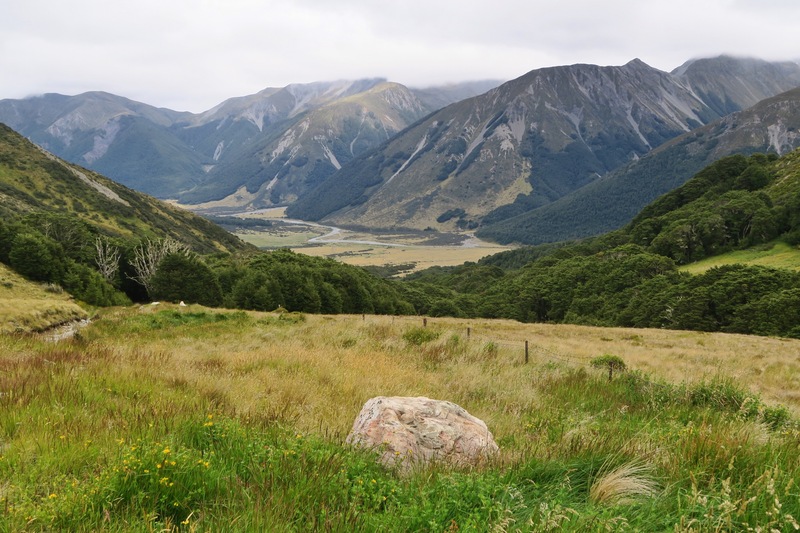 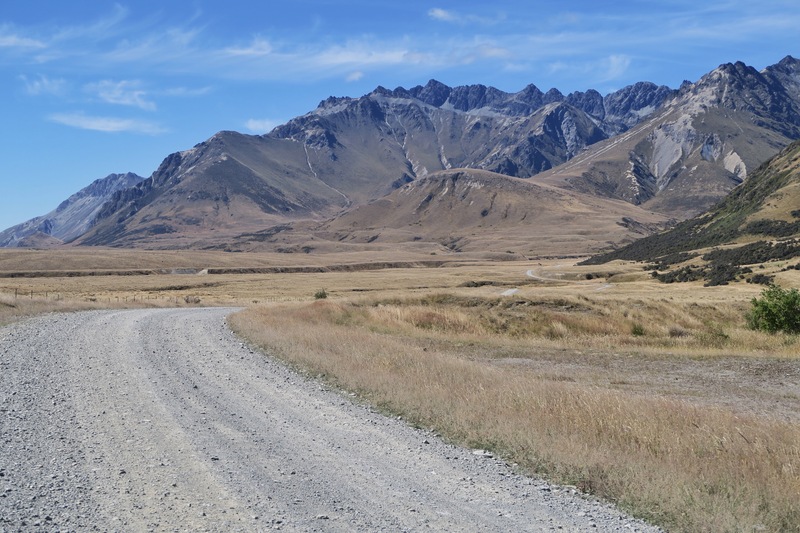 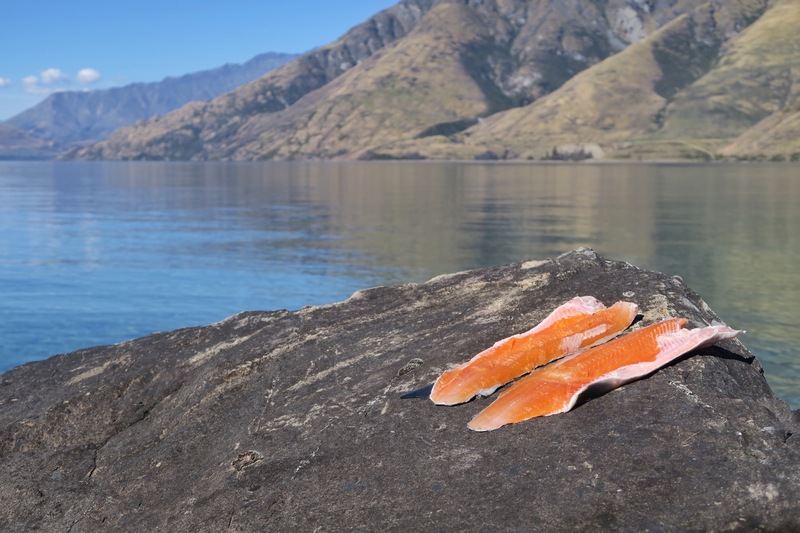 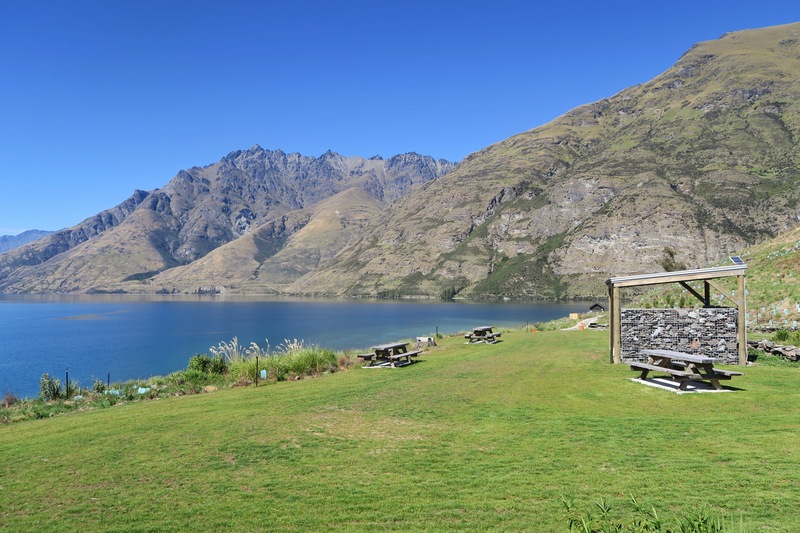 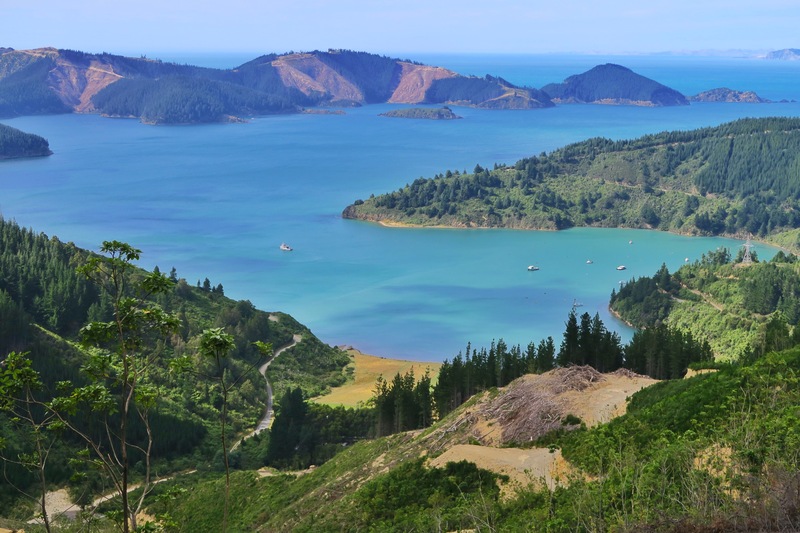 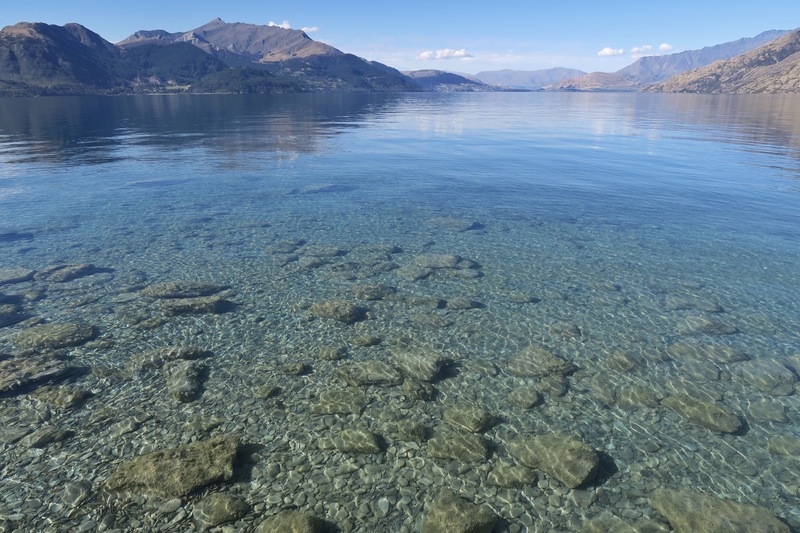 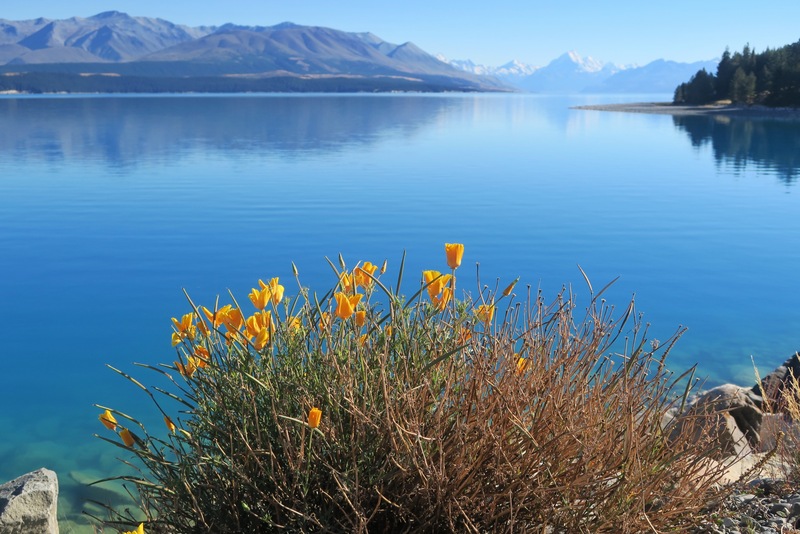 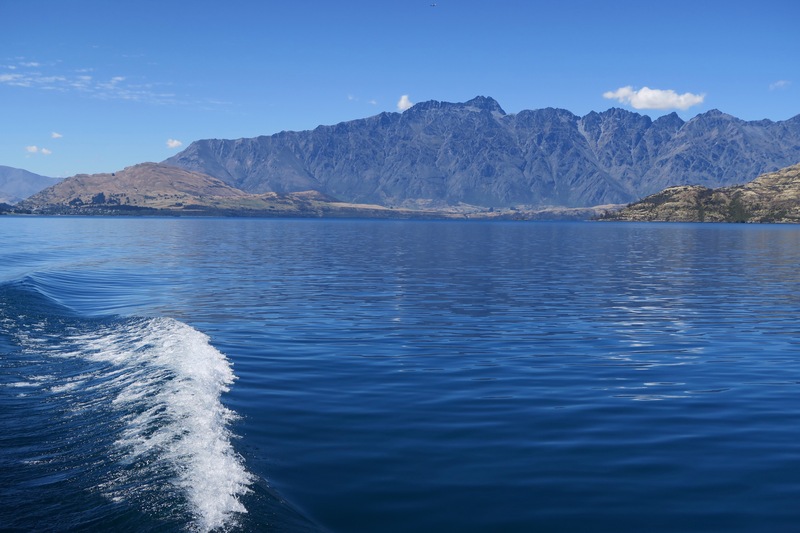 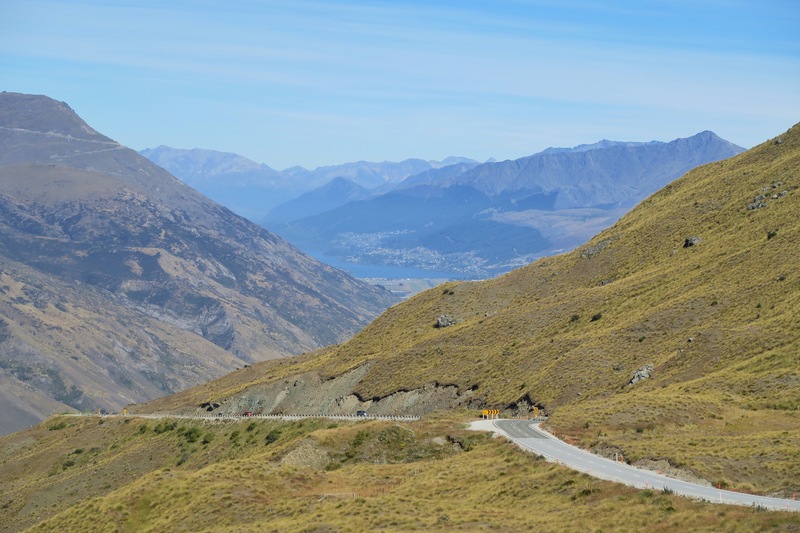 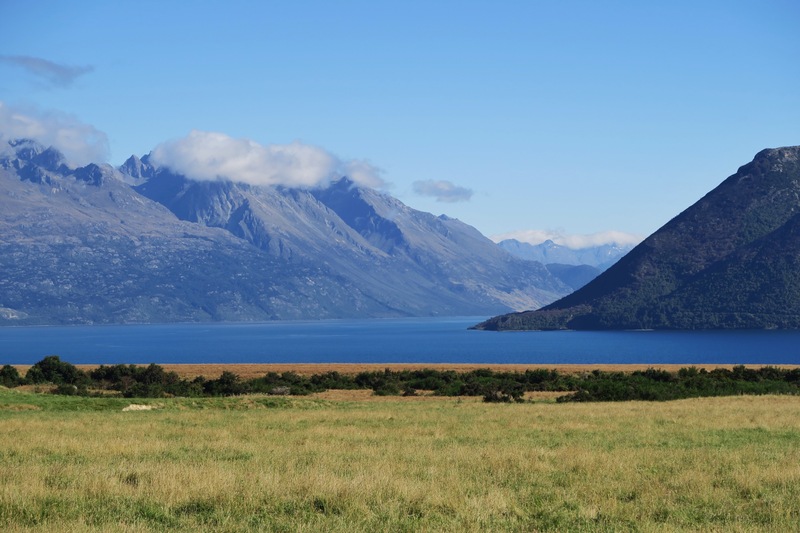 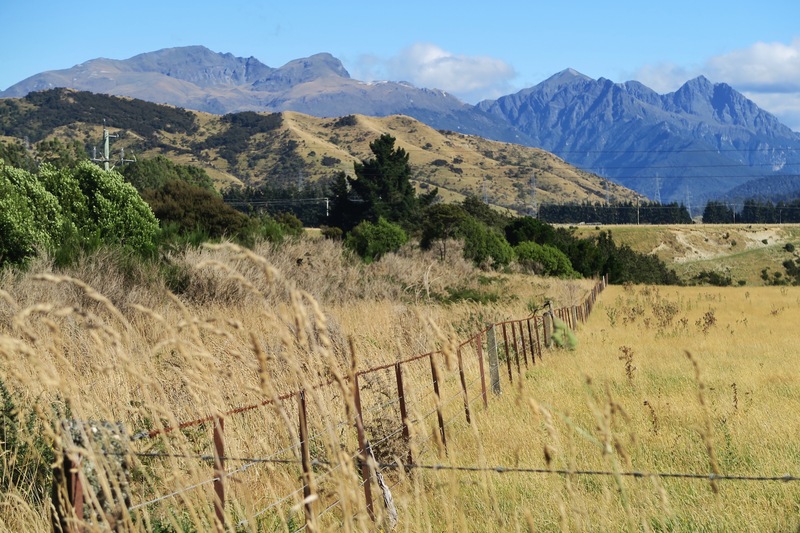 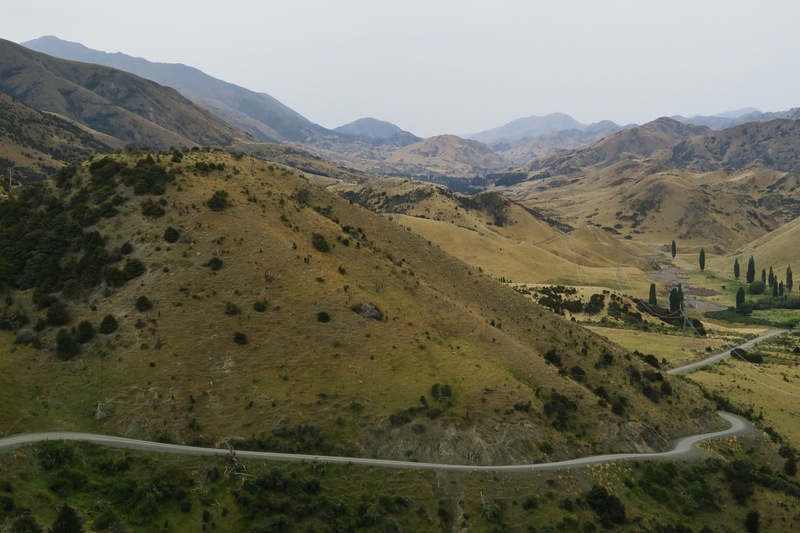 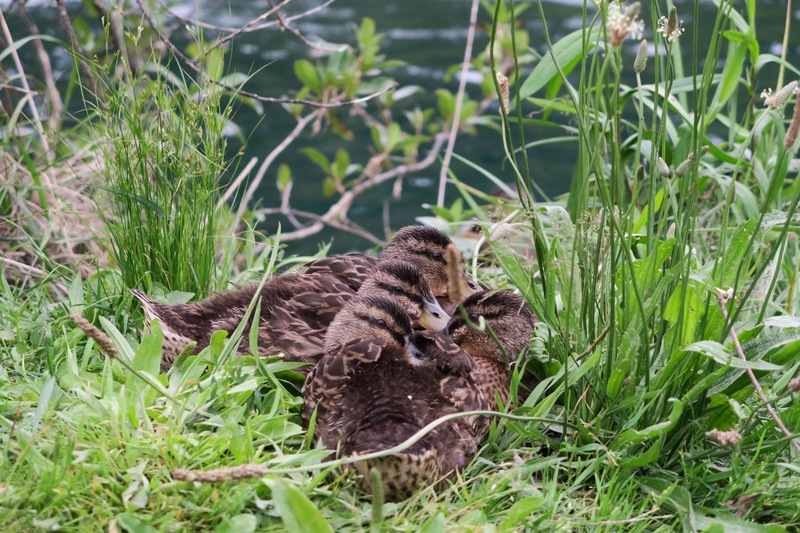 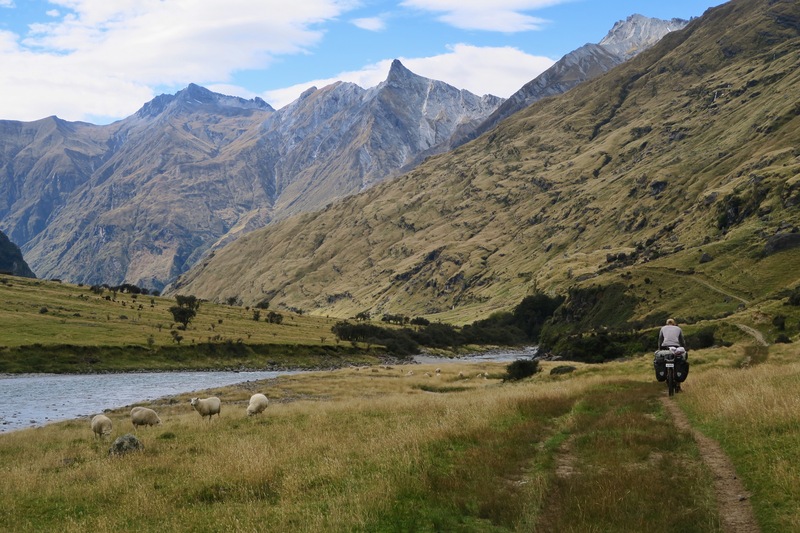 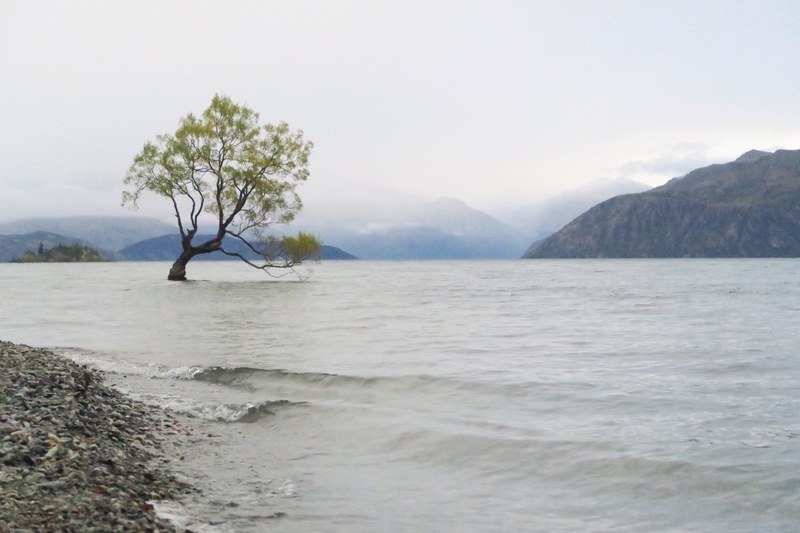 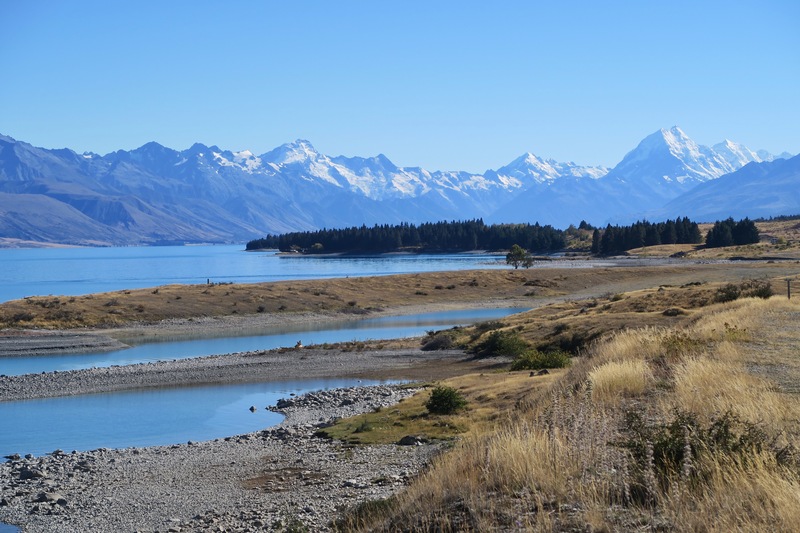 We were able to get a boat ride across the lake – on a steam powered boat – right away, and so after just half an hour in the craziness of Queenstown we were able to escape to the other side where we found two days of solitude, dirt roads, and beautiful scenery. 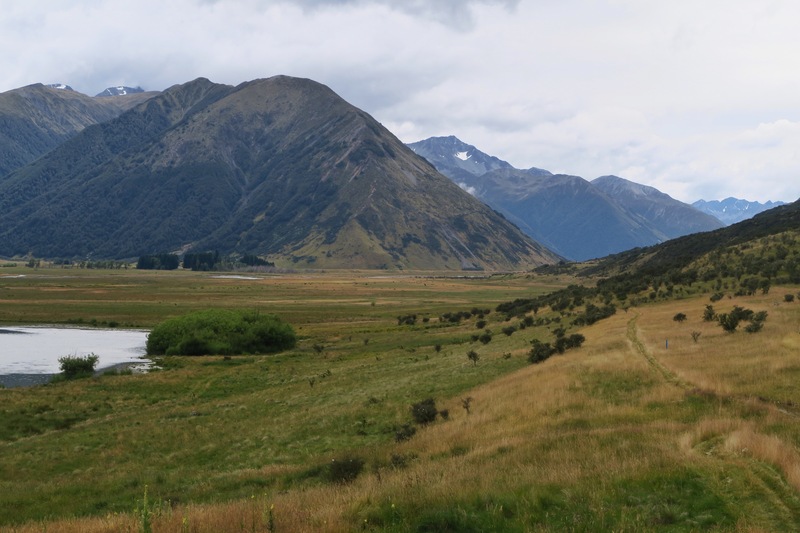 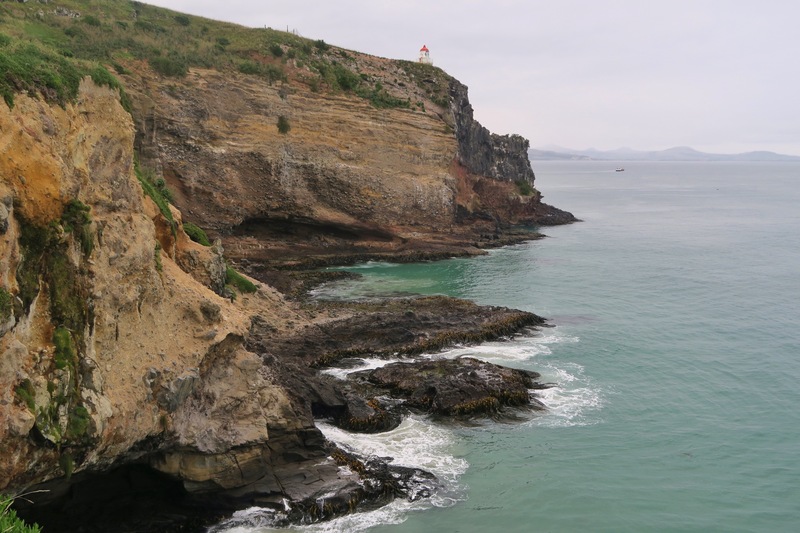 The boat led us to a farm-turned-tourist attraction where people do horse tours, feed sheep, and eat at the extremely fancy (70$/person) restaurant. 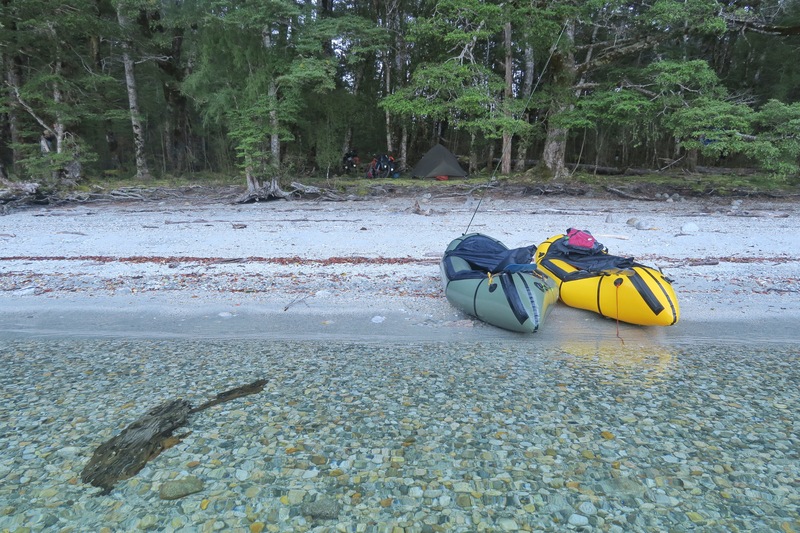 Right before arriving one of the crew members told us there was a free campsite right on the lake, and though we thought it sounded too good to be true, it turns out he was right! 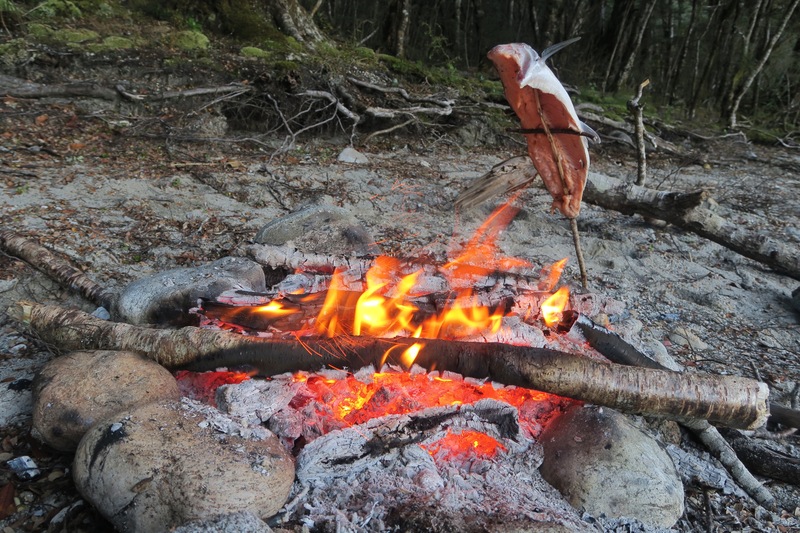 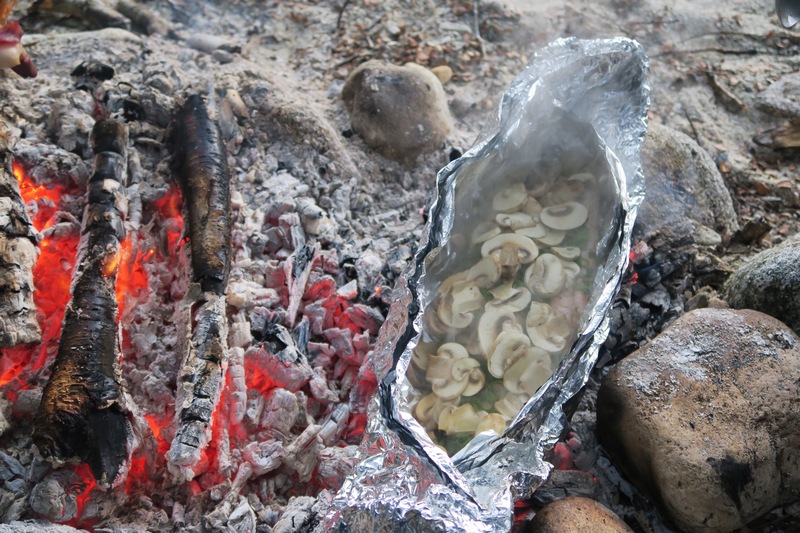 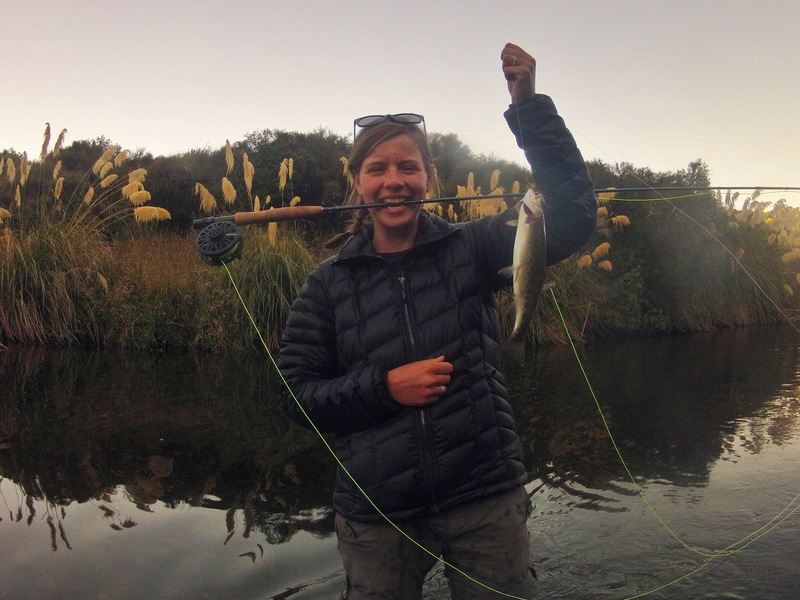 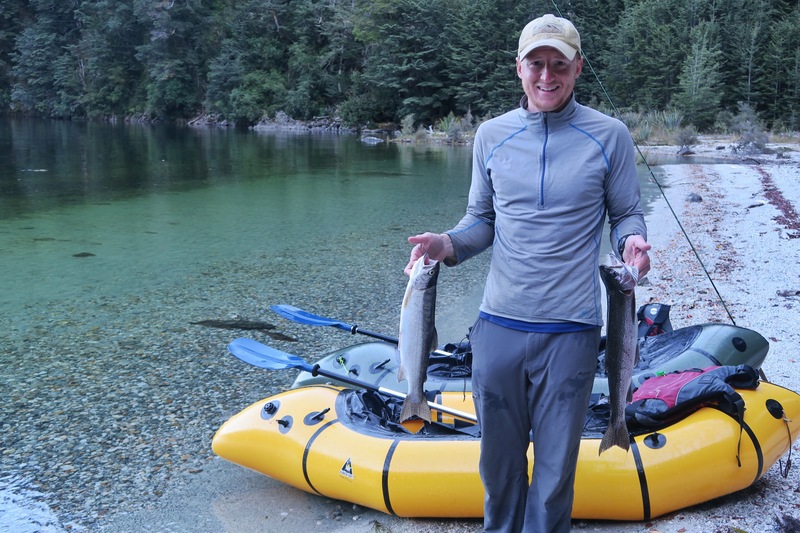 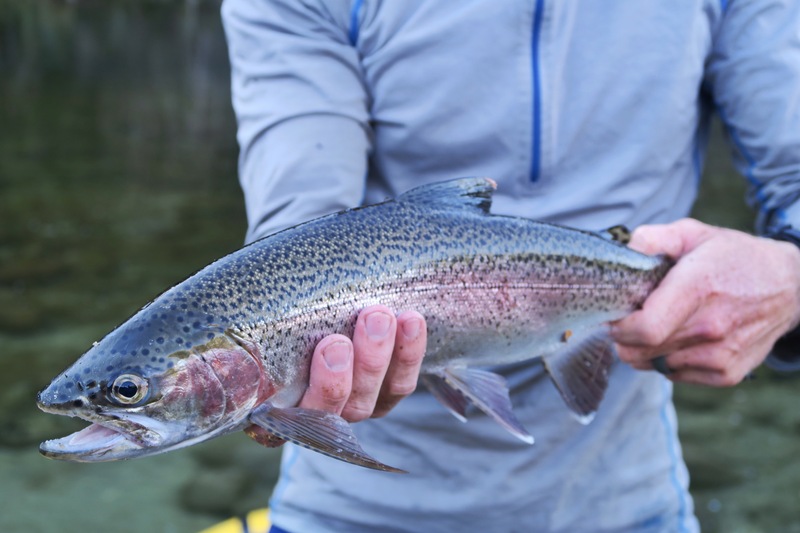 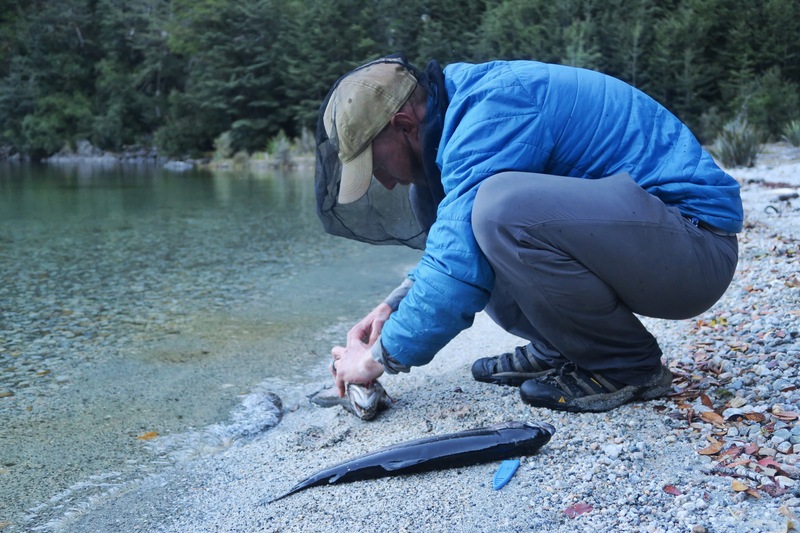 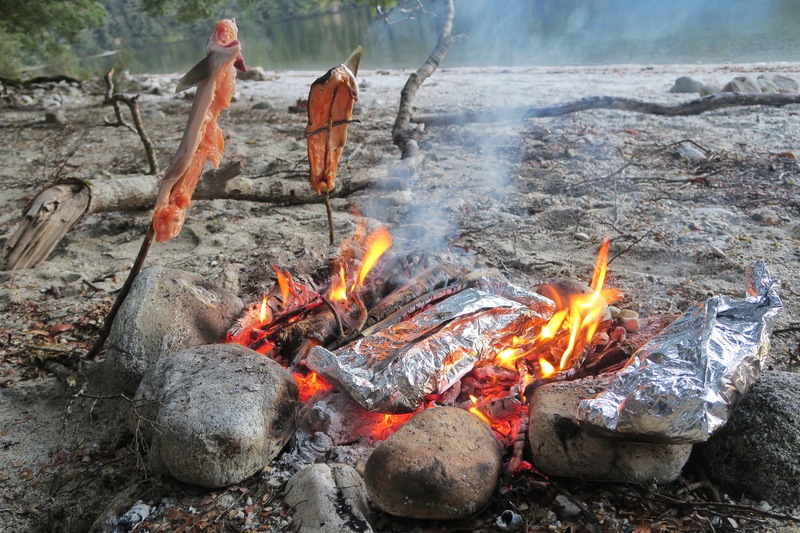 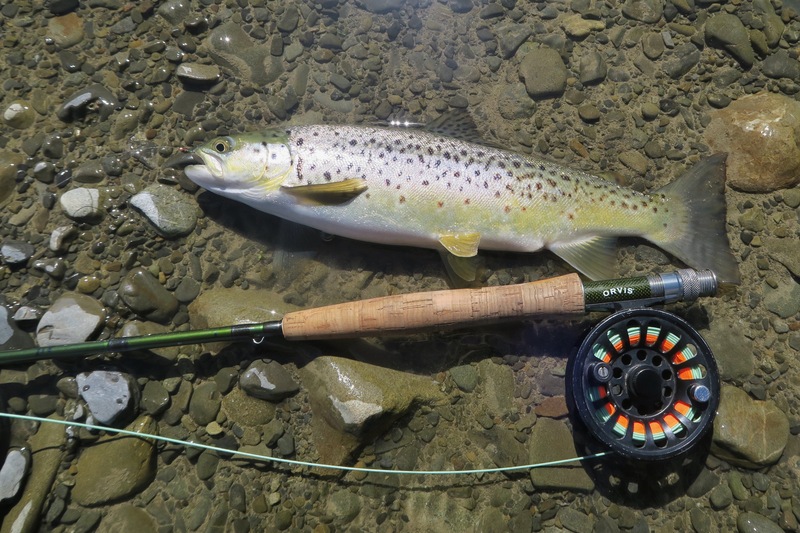 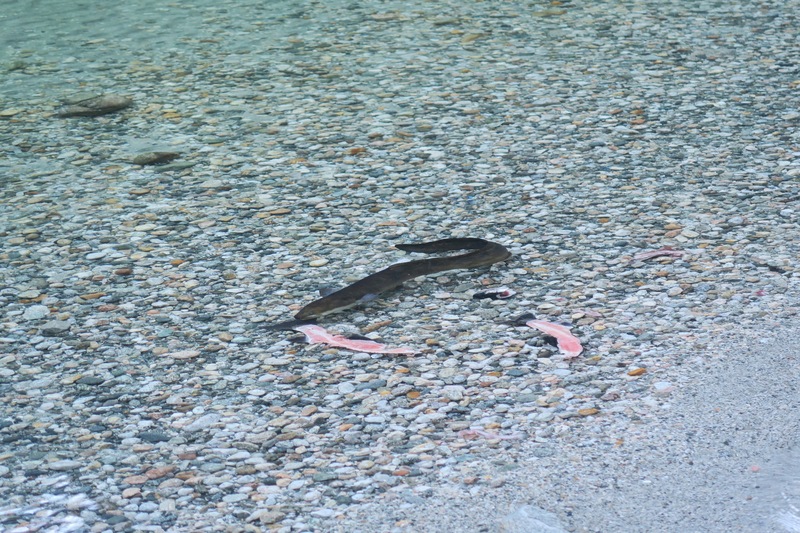 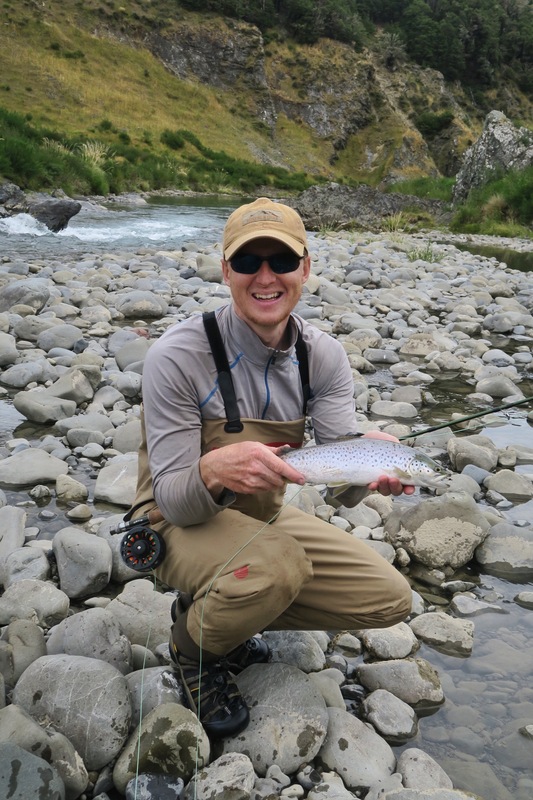 Kevin caught a twenty inch fish which we enjoyed for dinner, and for the first time in weeks, we got to camp alone. 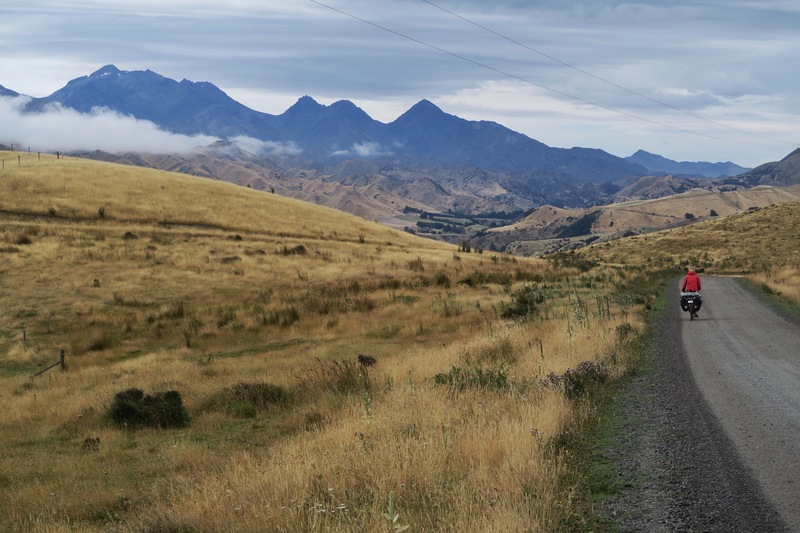 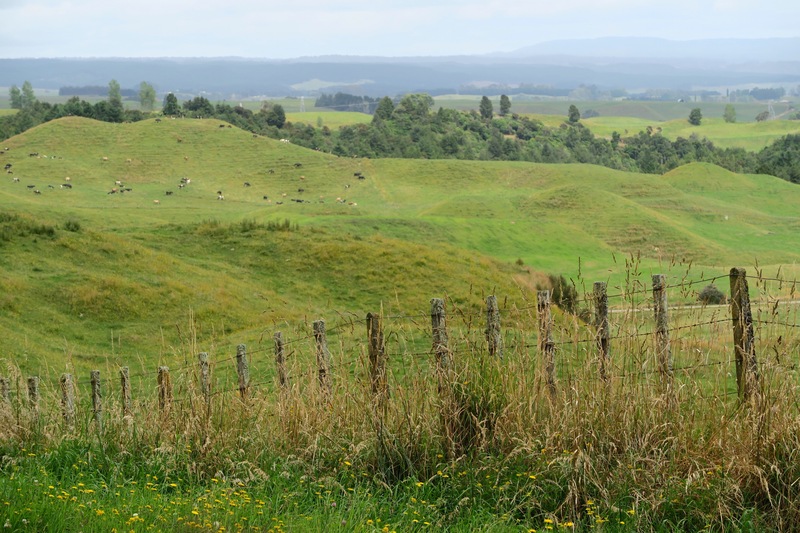 In the morning we started along the “around the mountains” trail which follows a dirt road through two different working farms, before entering into a conservations area. 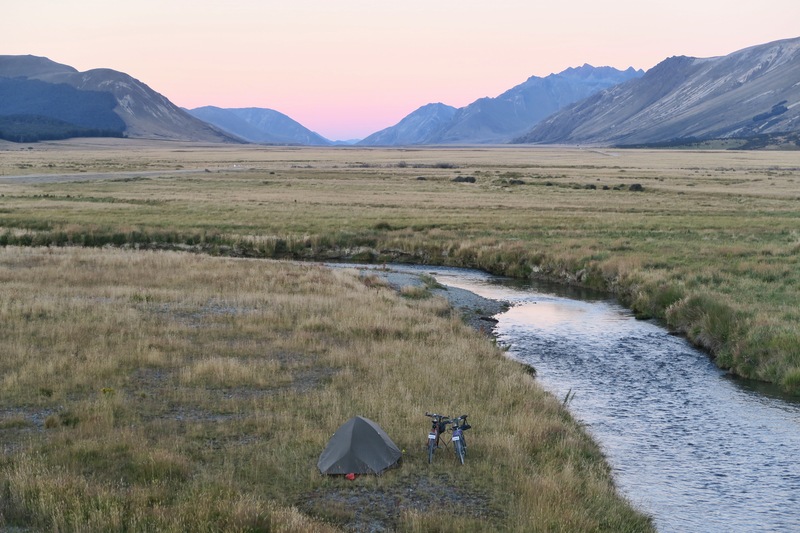 We saw less than a dozen cars all day, and once again, got to camp all alone by a quiet small river where we watched another amazing sunset. 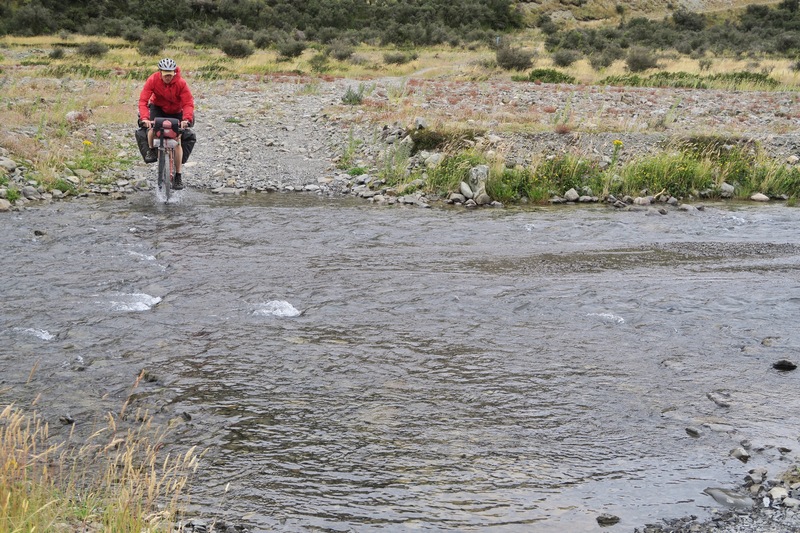 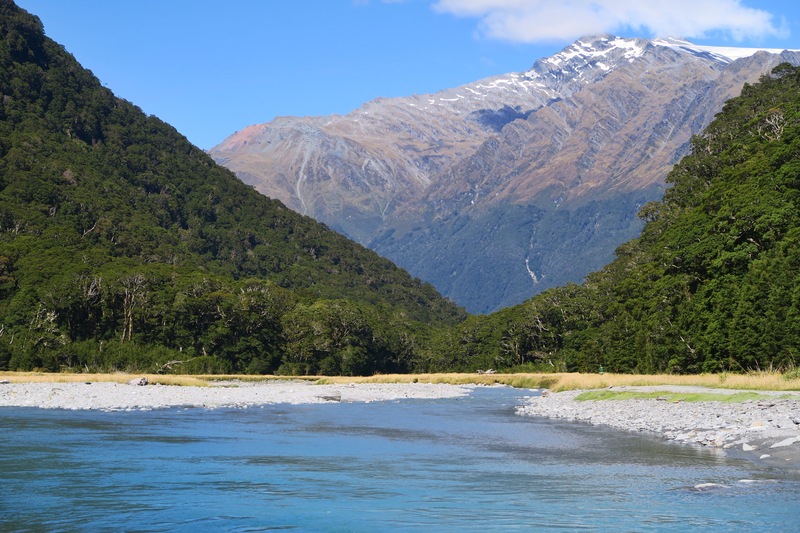 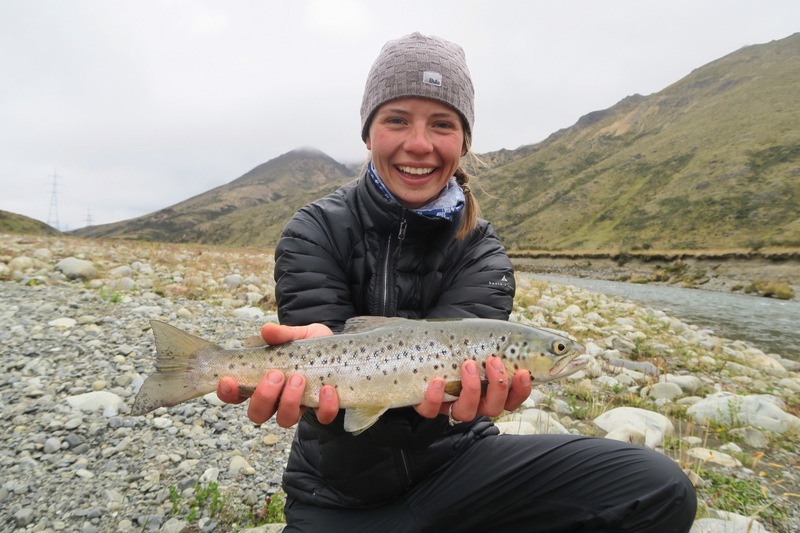 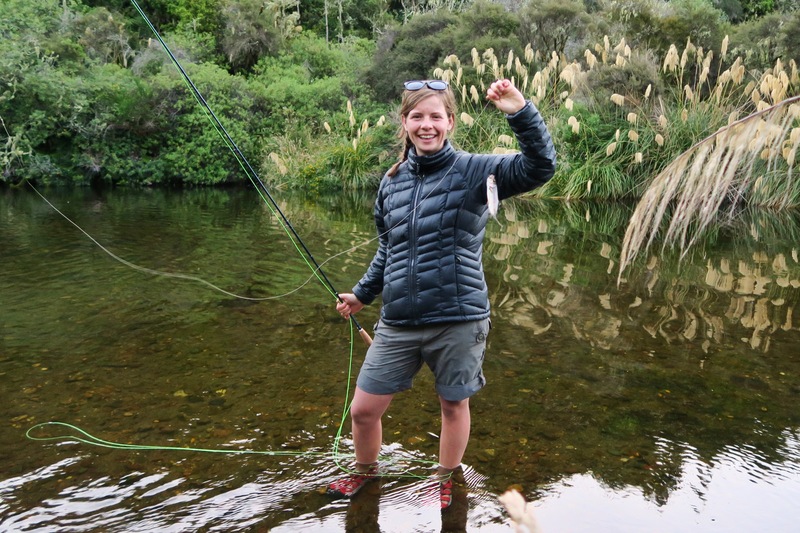 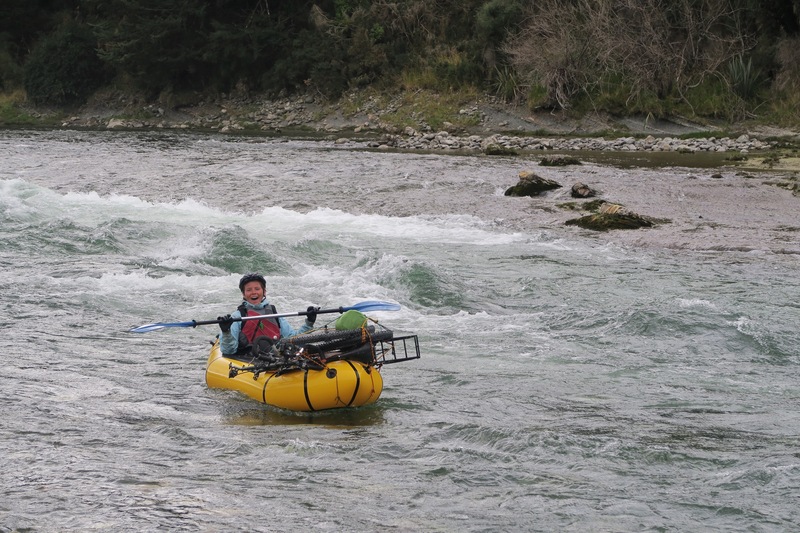 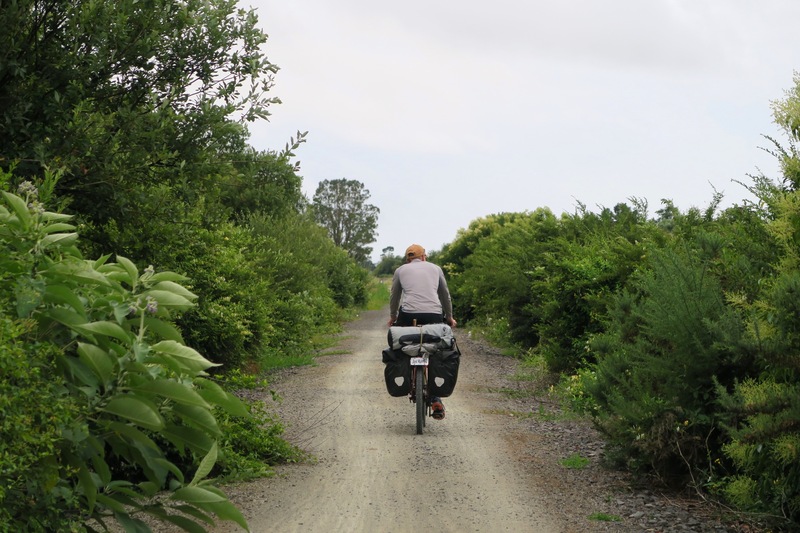 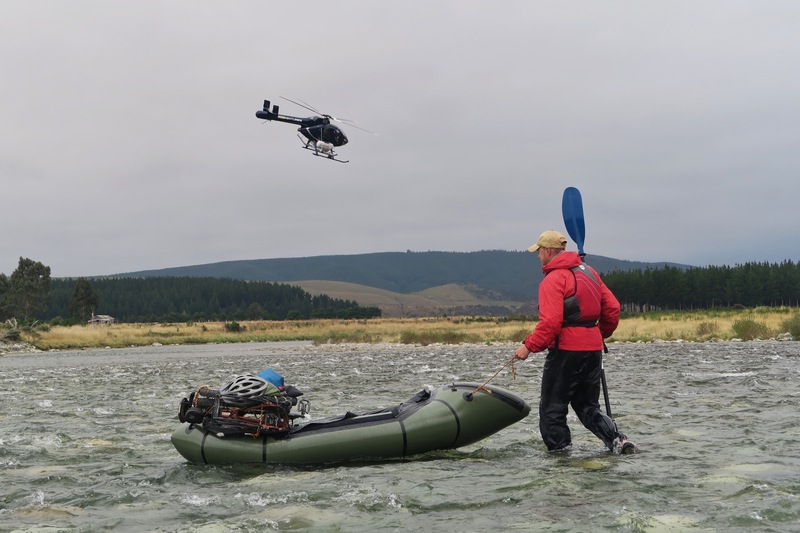 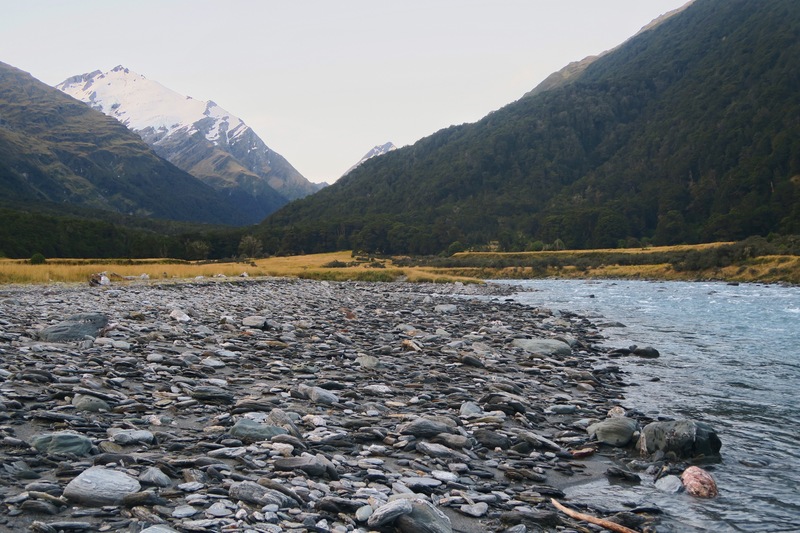 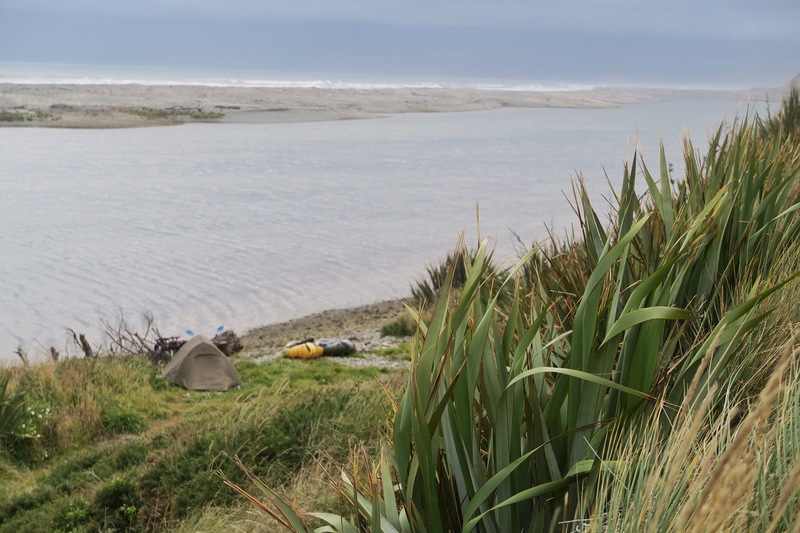 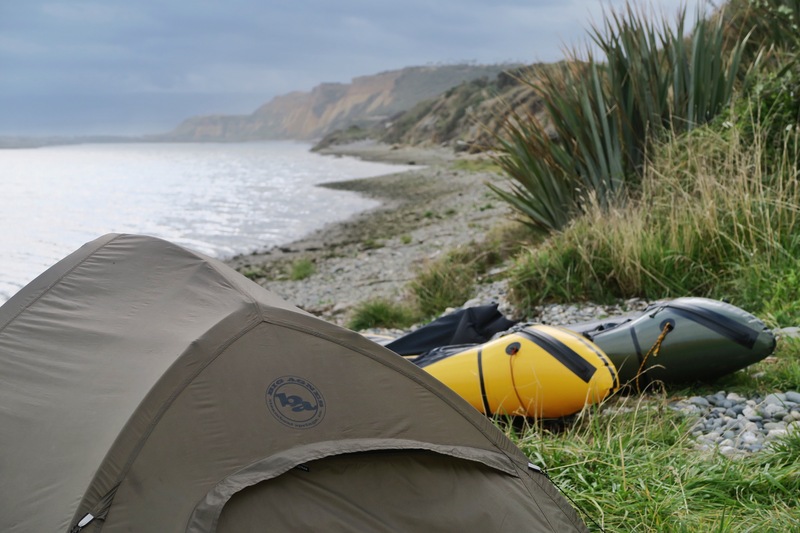 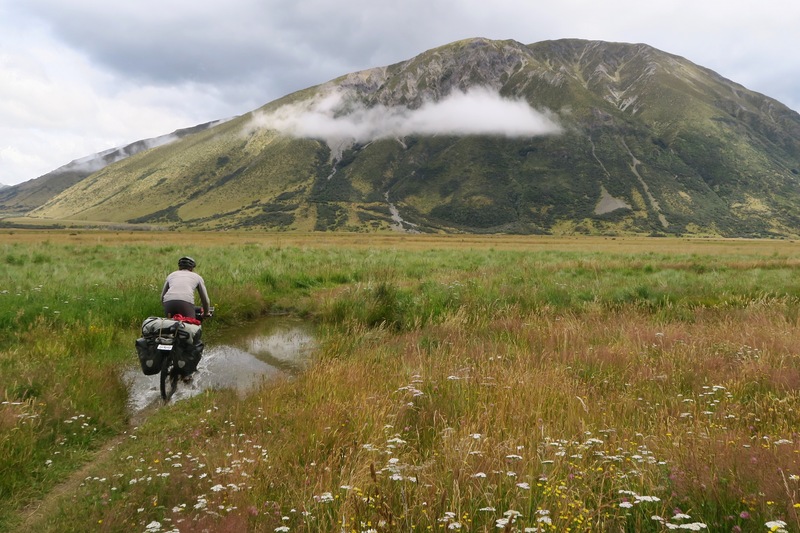 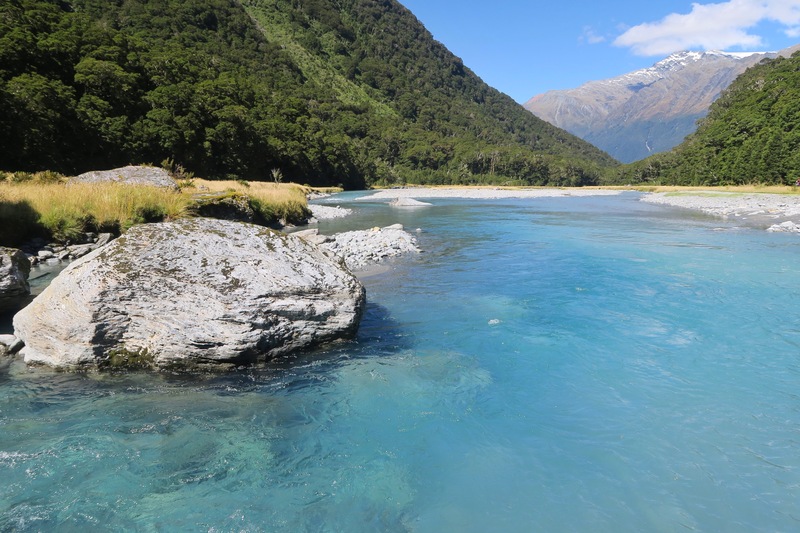 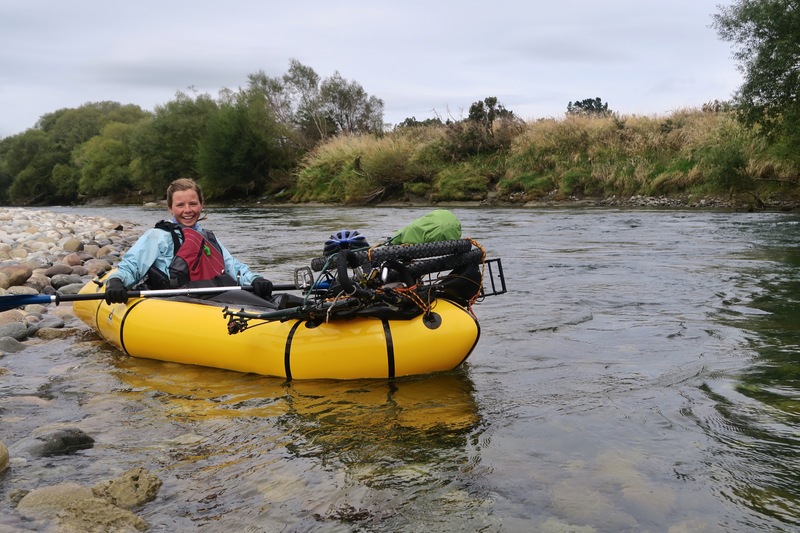 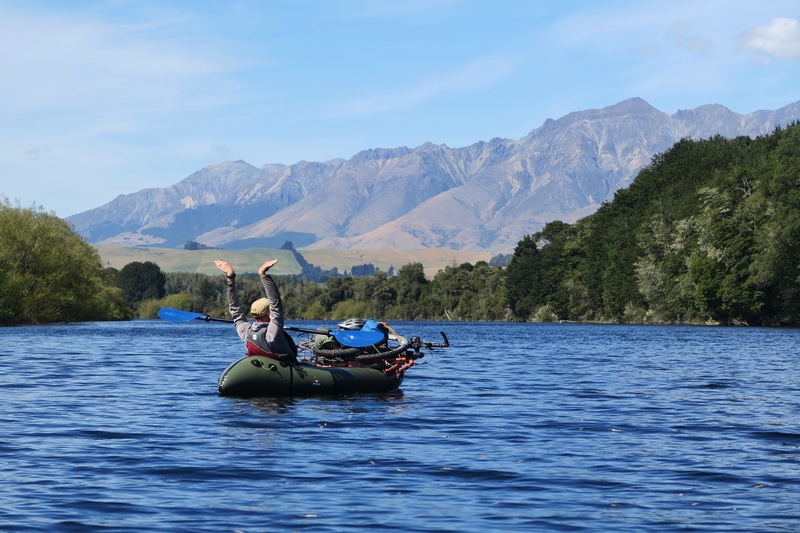 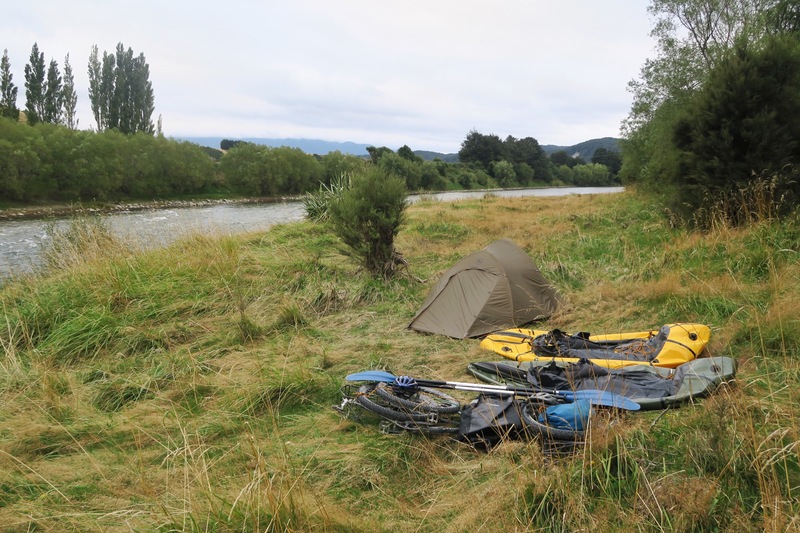 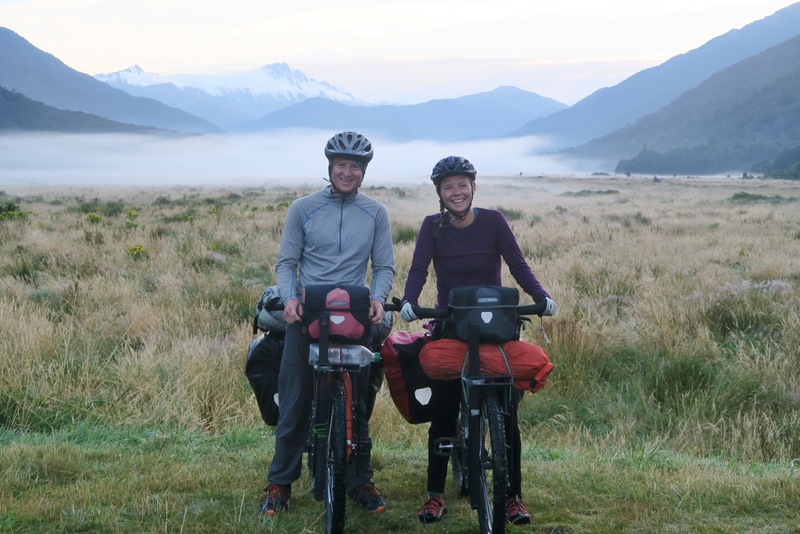 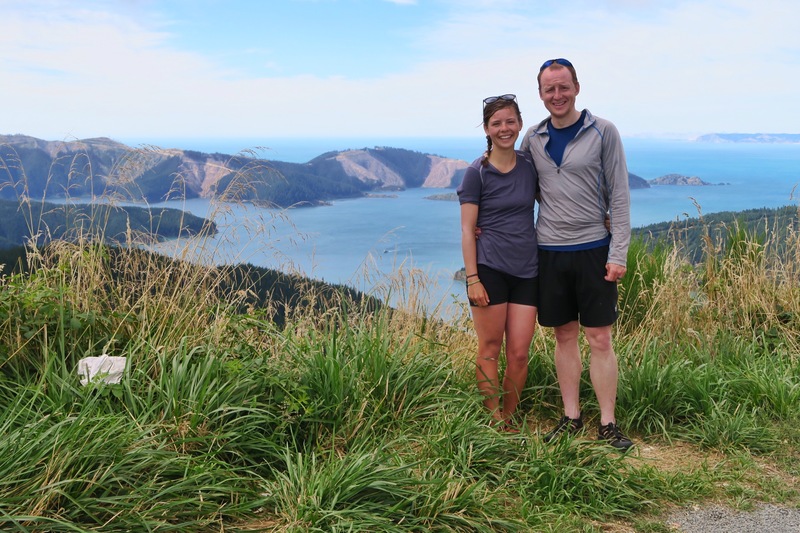 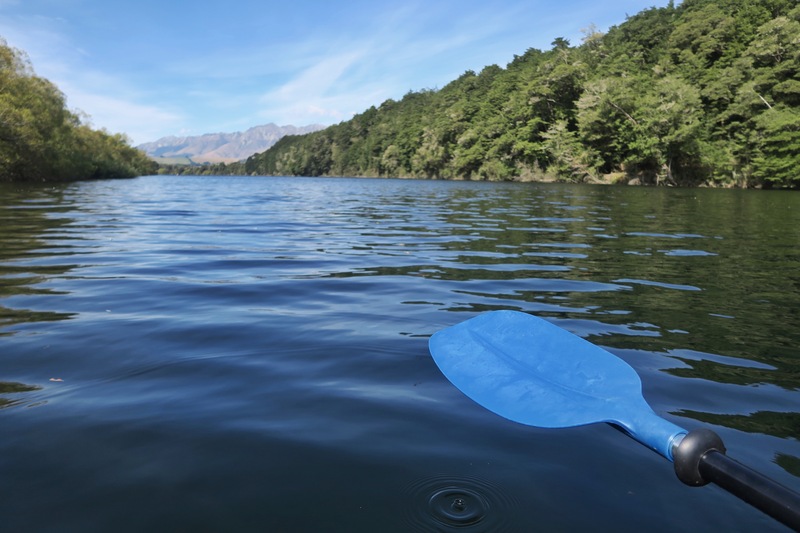 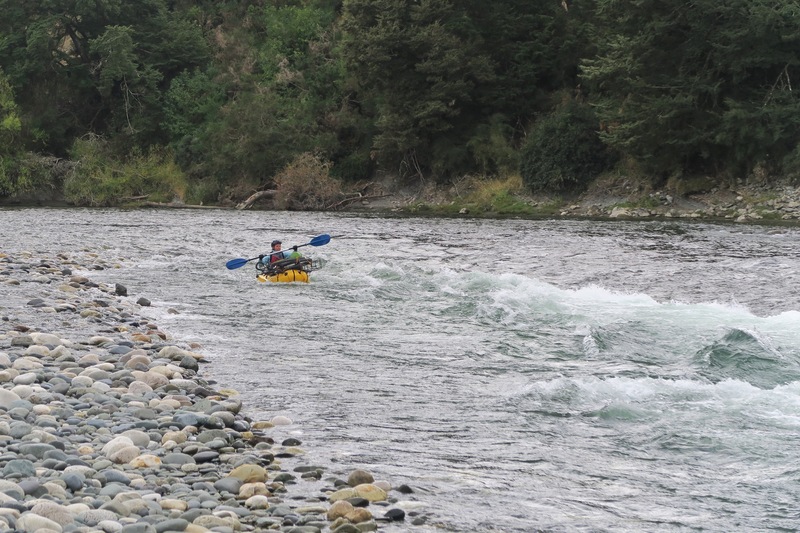 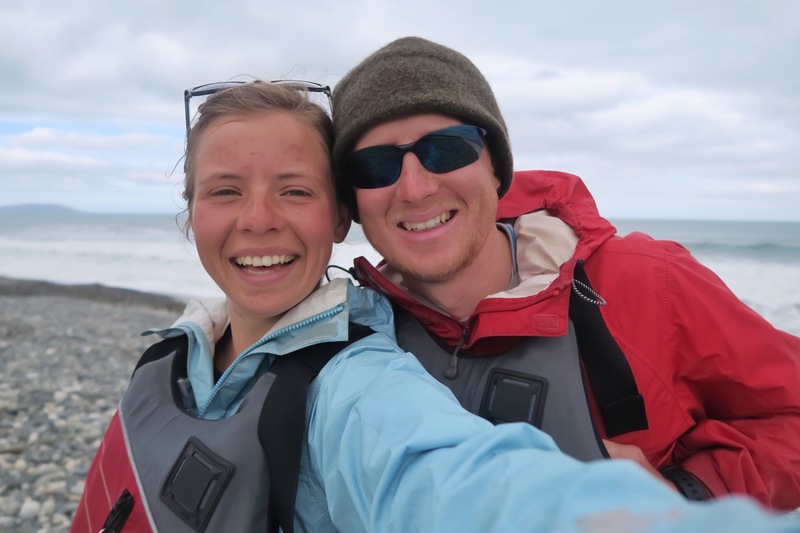 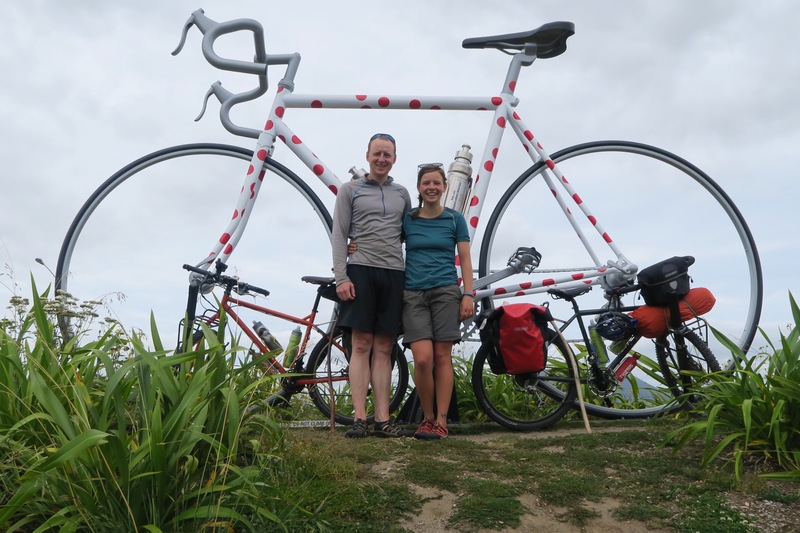 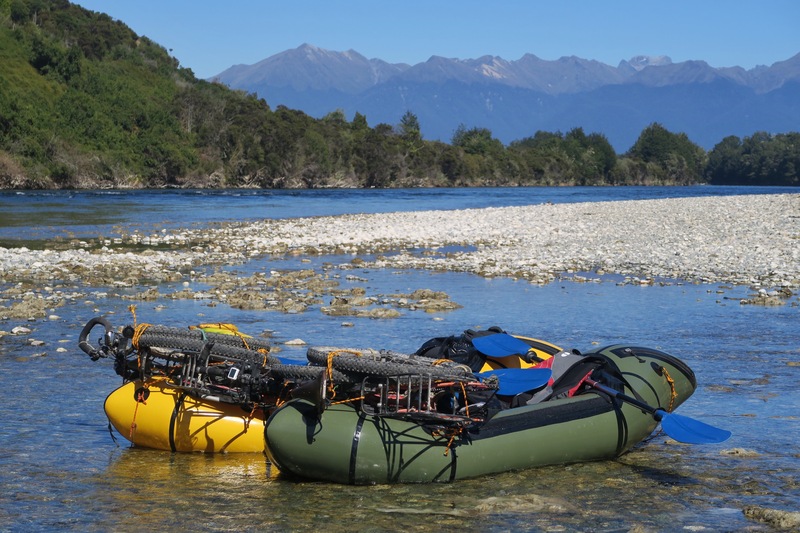 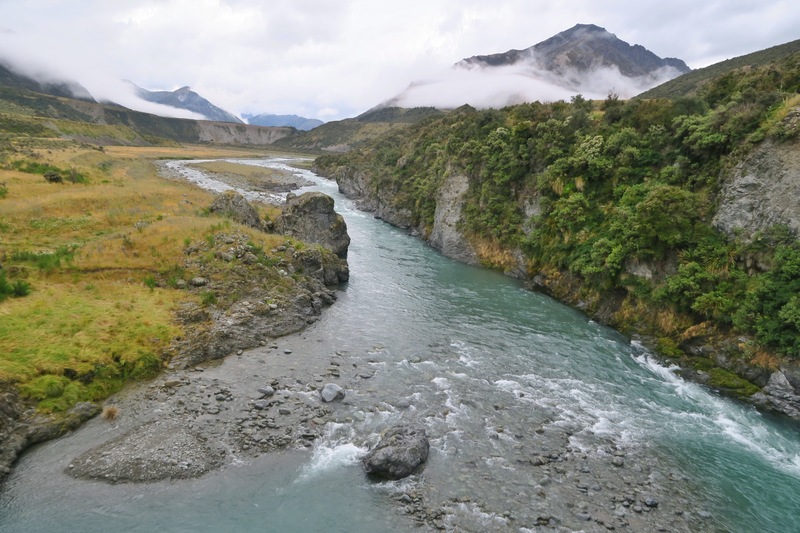 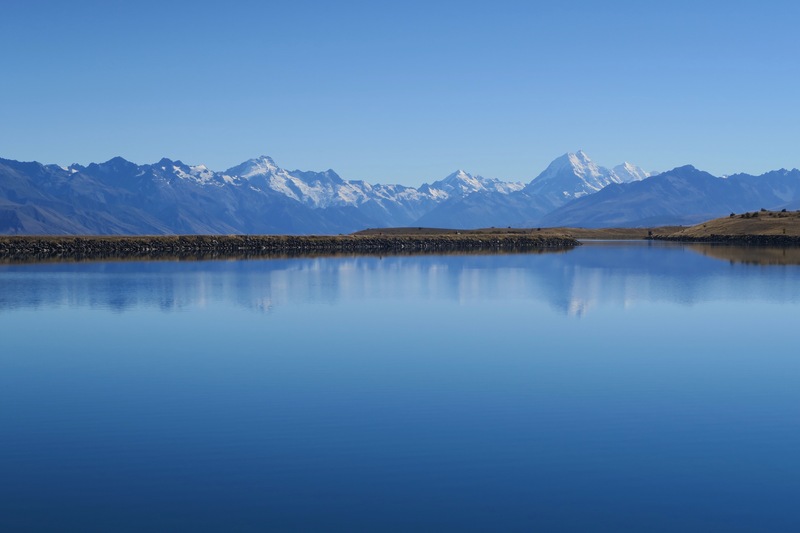 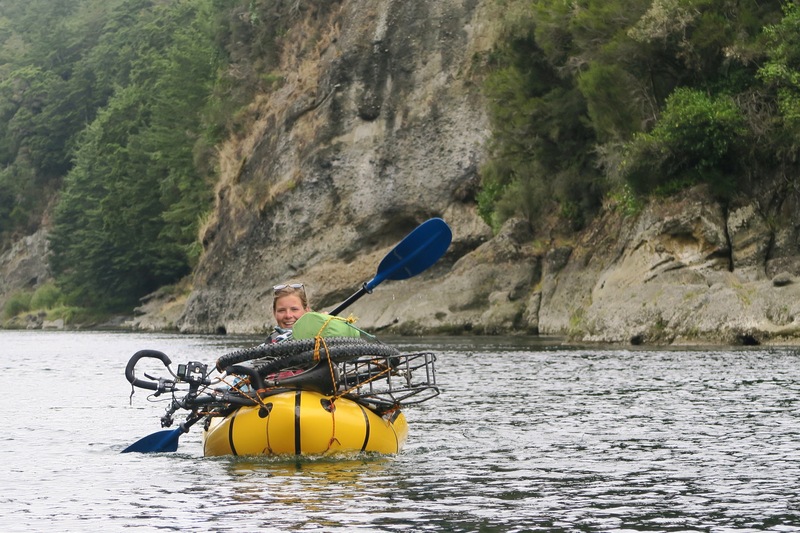 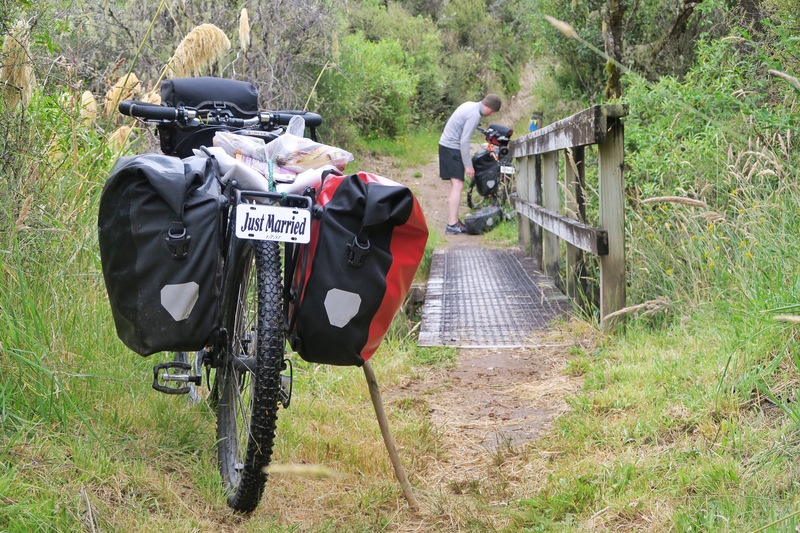 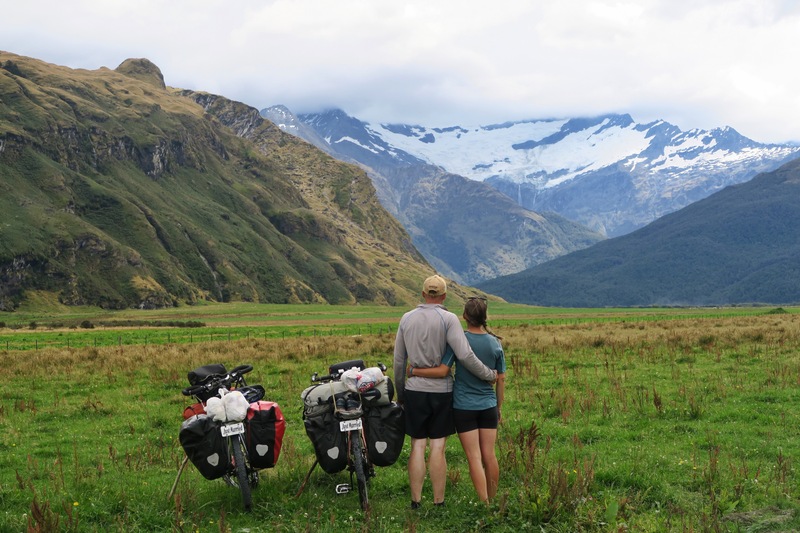 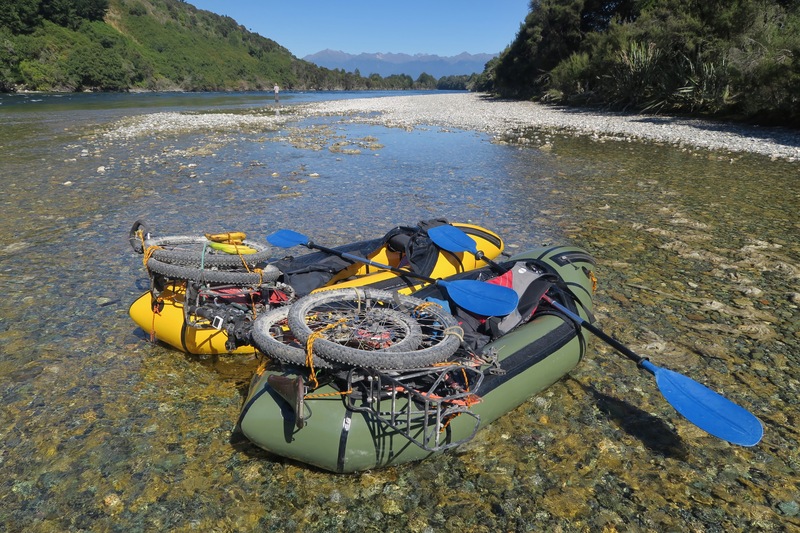 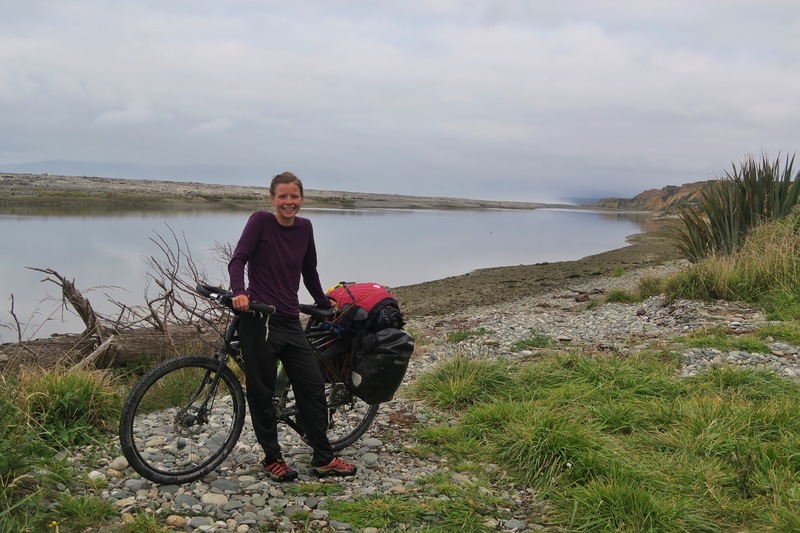 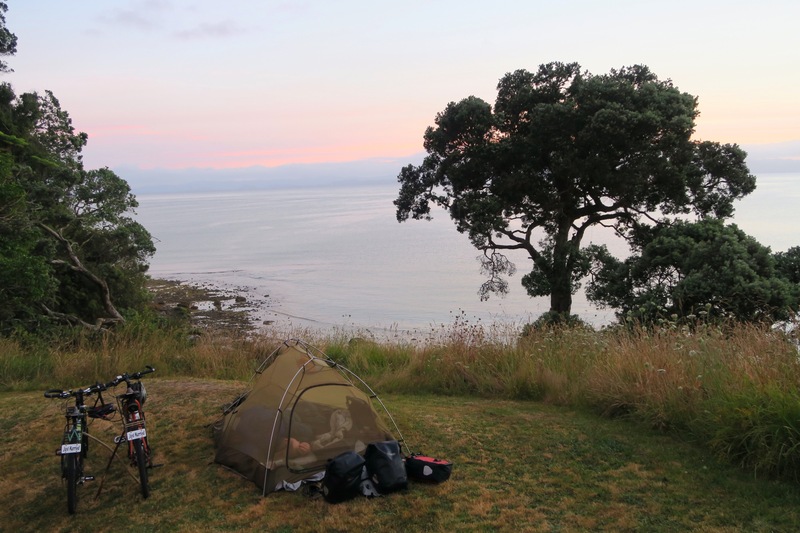 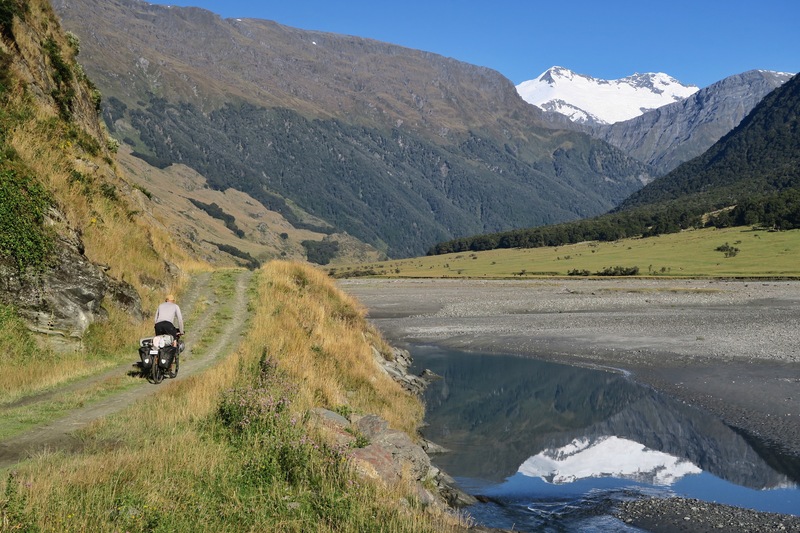 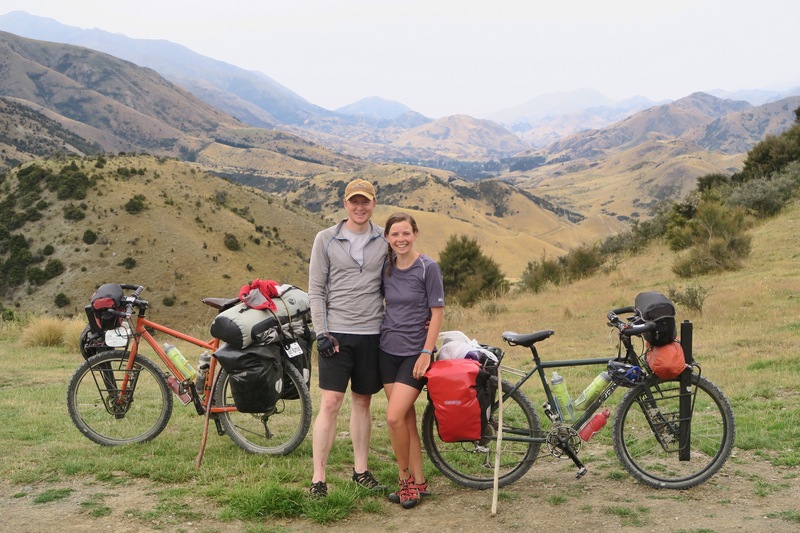 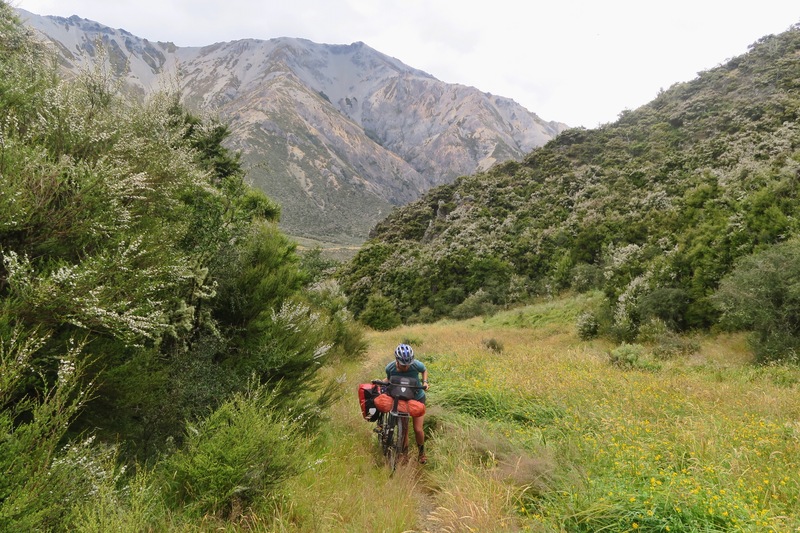 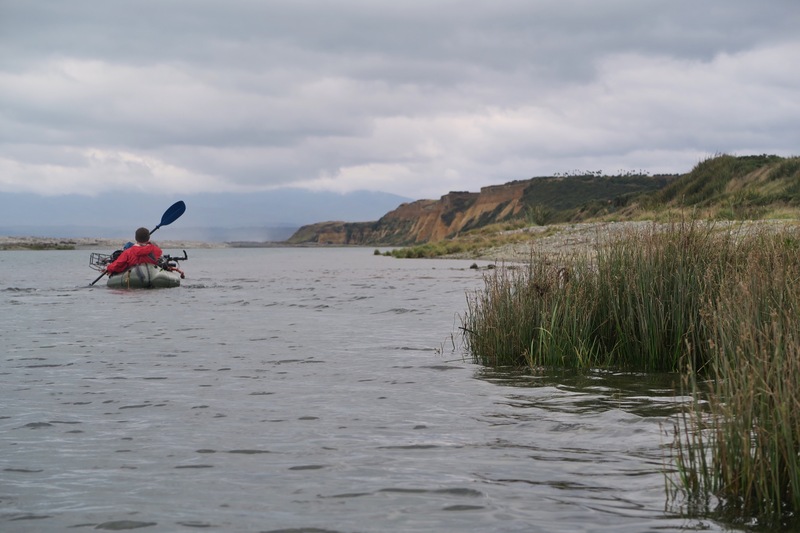 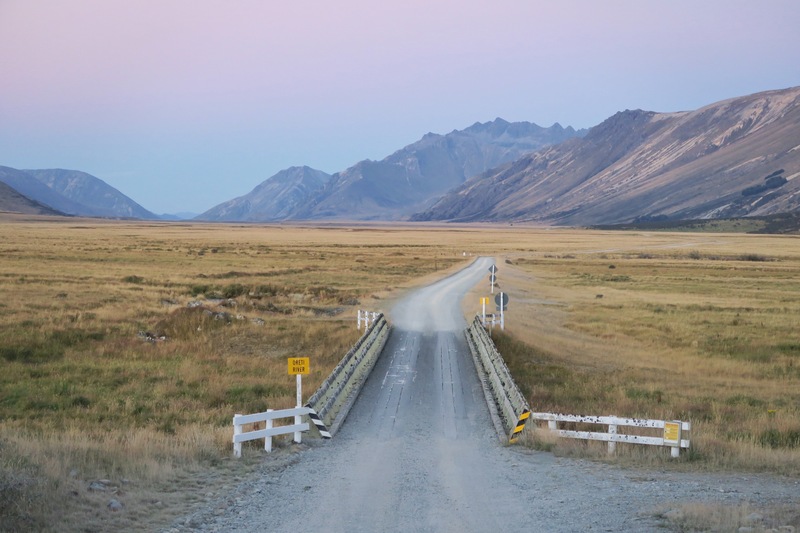 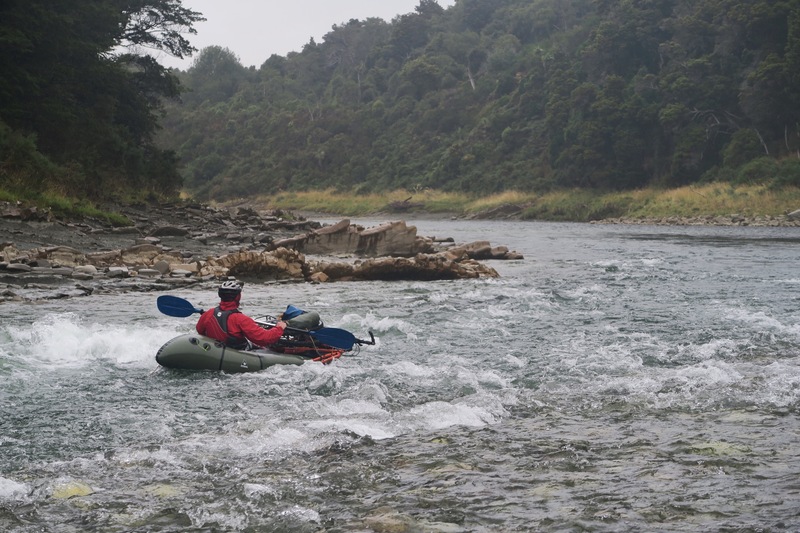 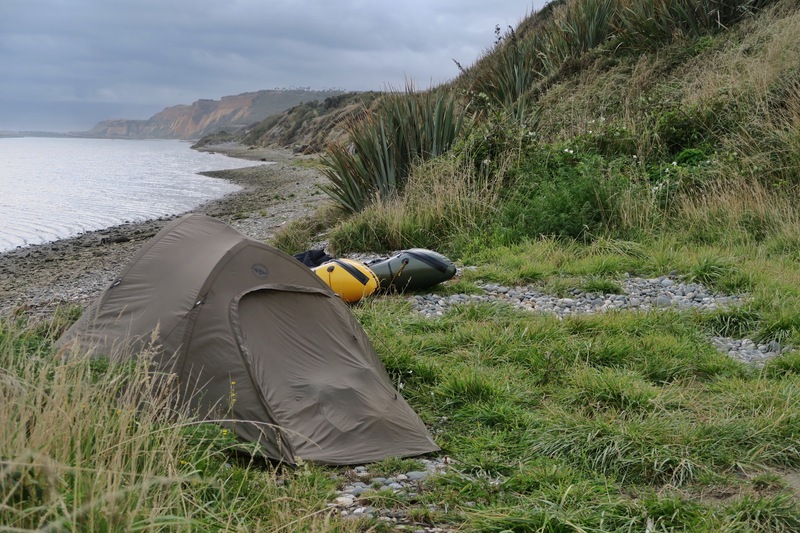 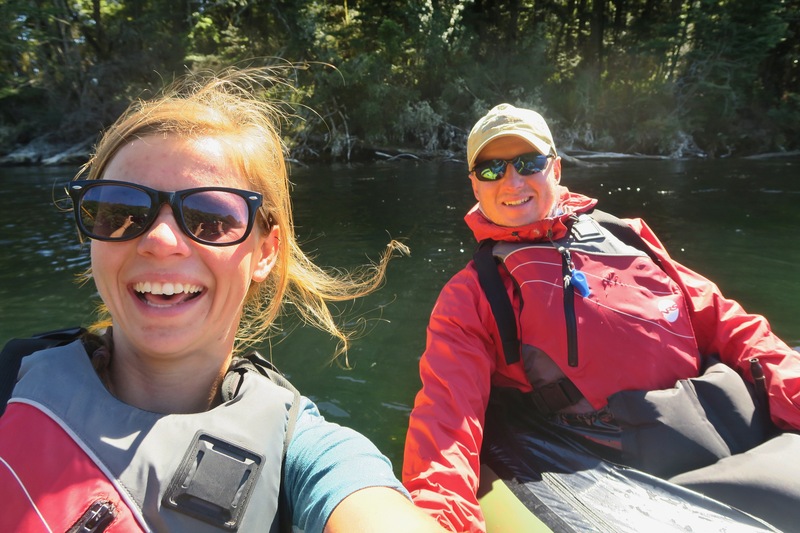 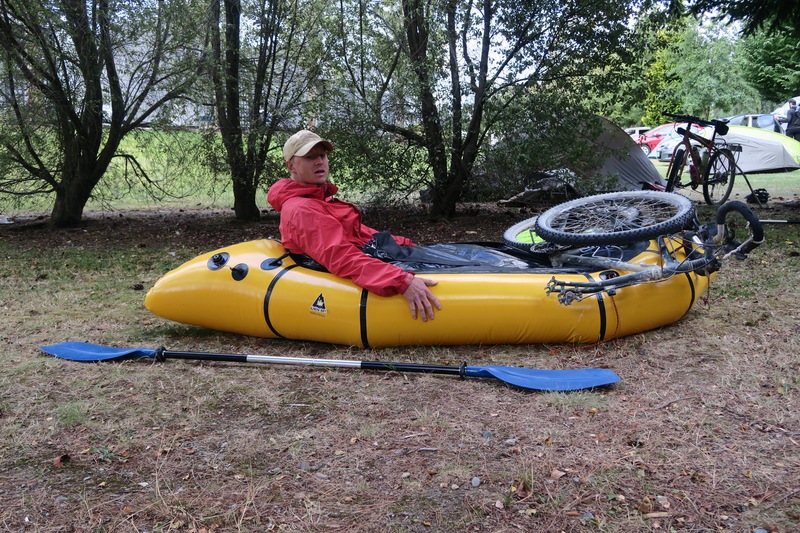 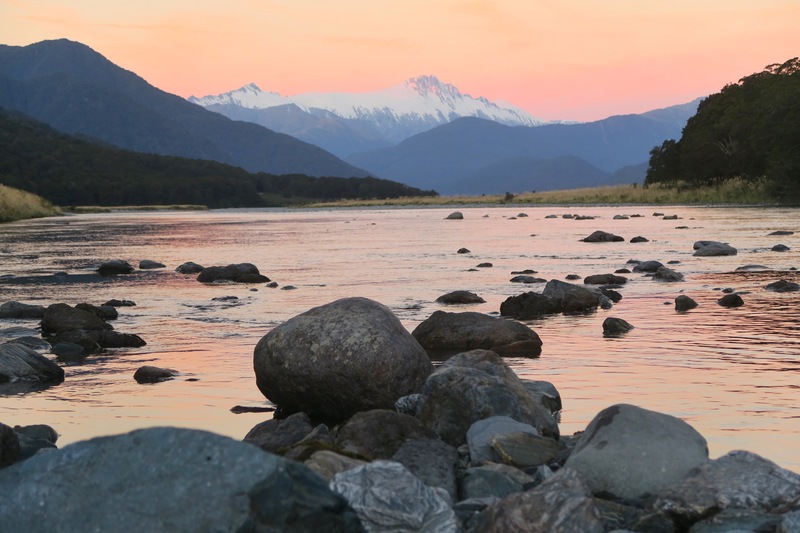 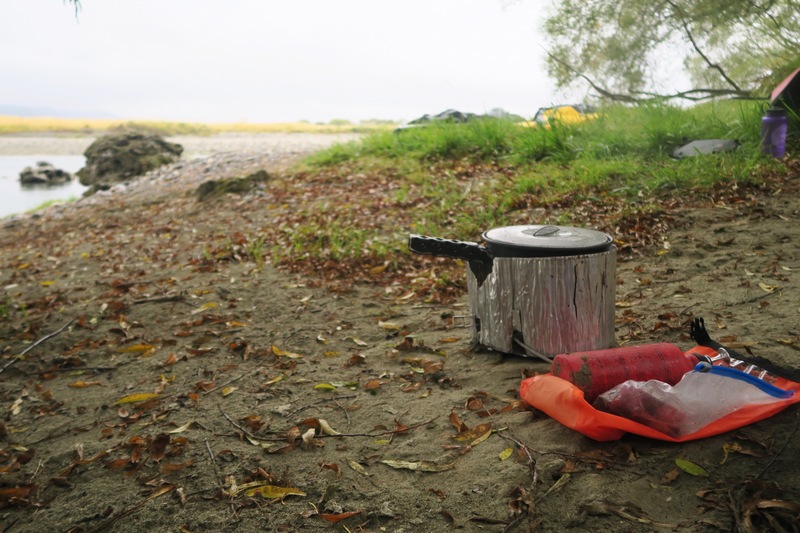 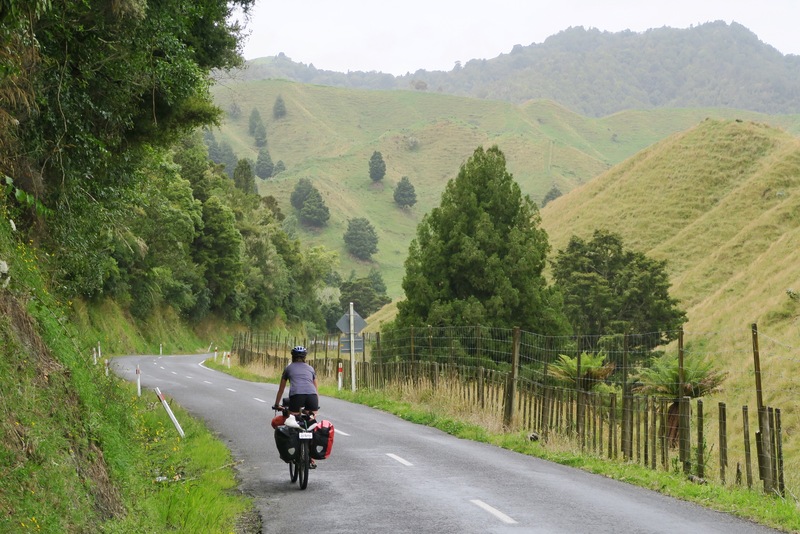 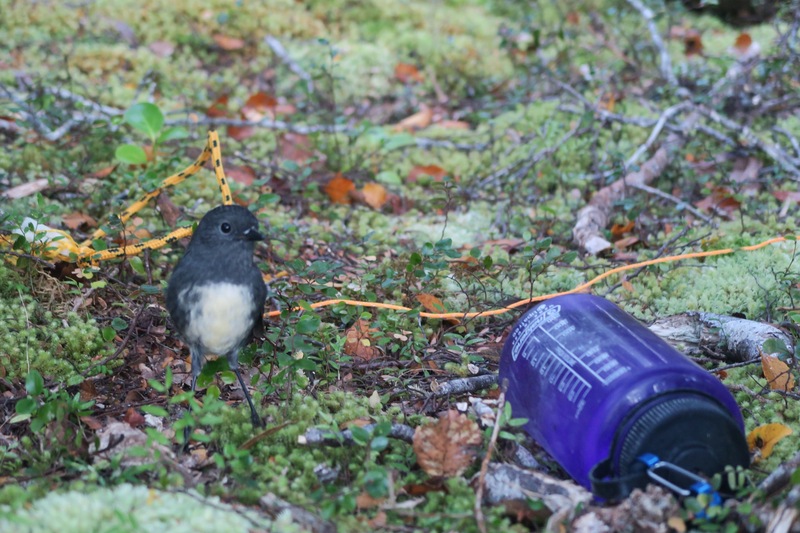 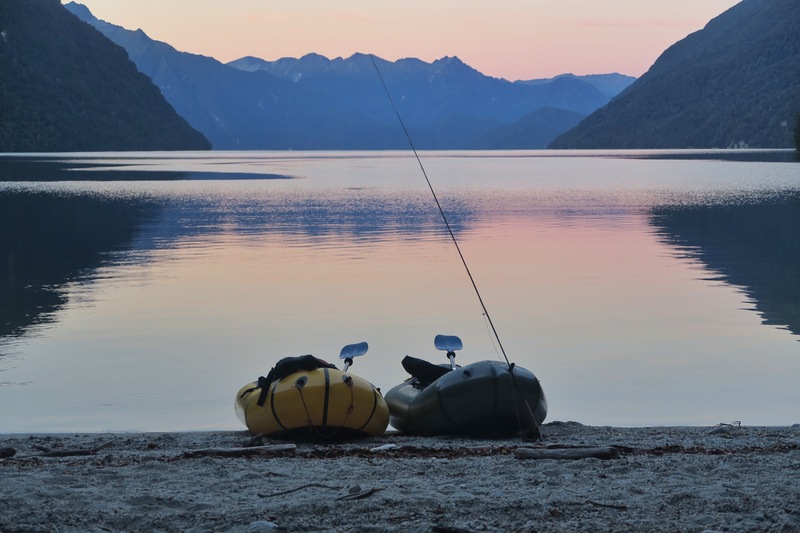 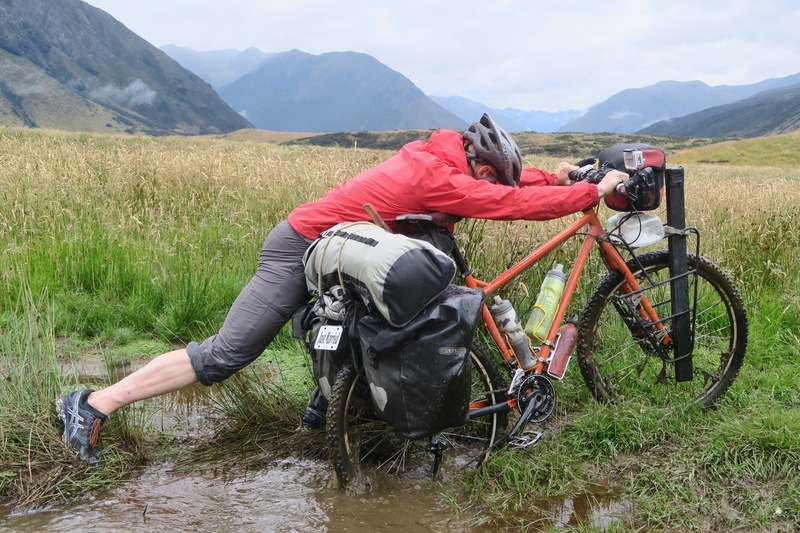 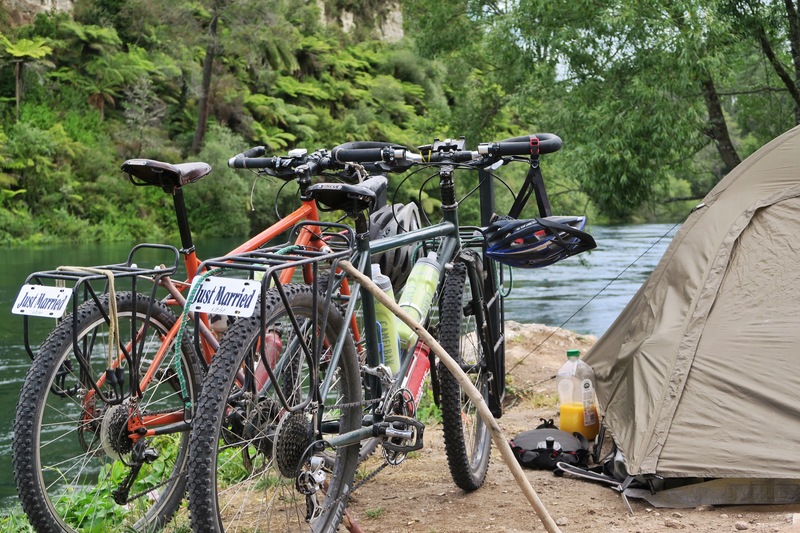 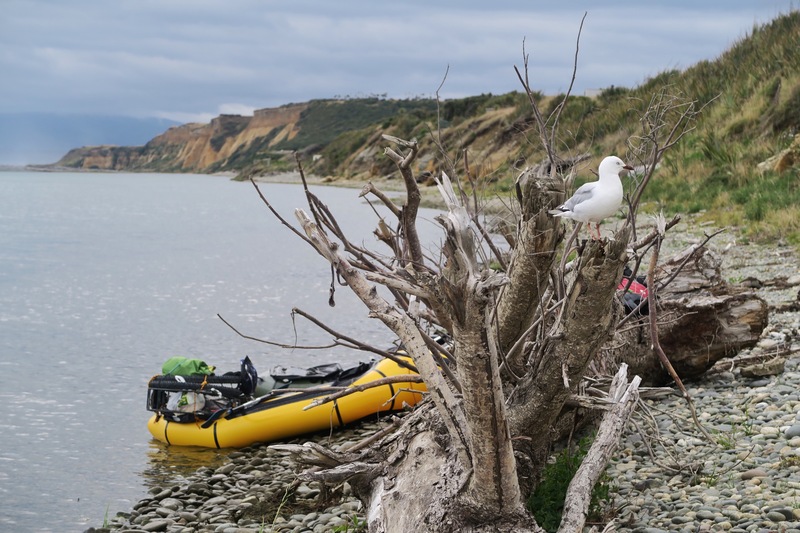 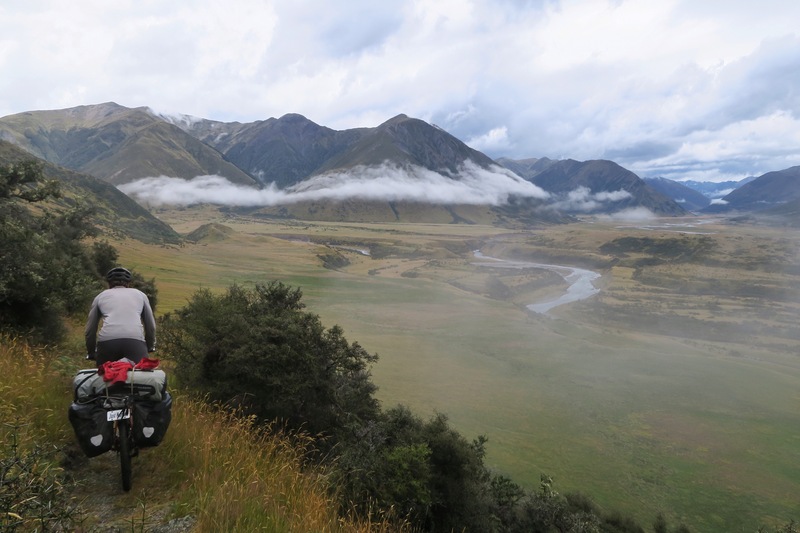 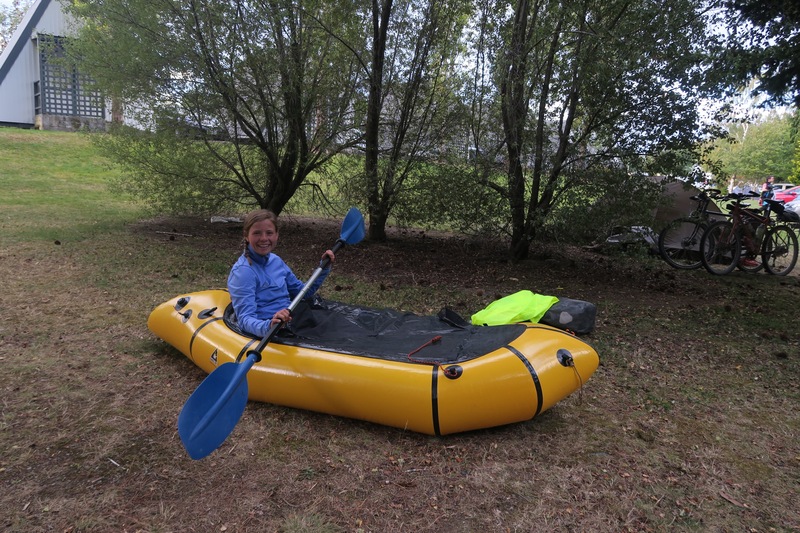 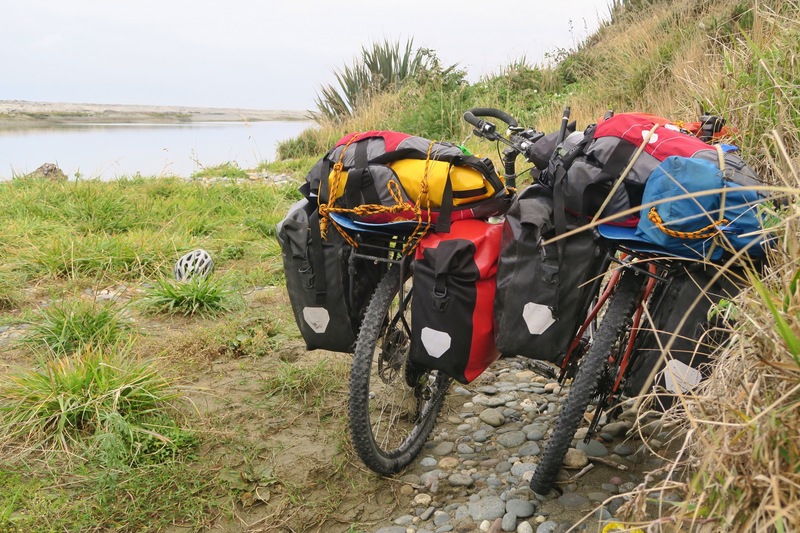 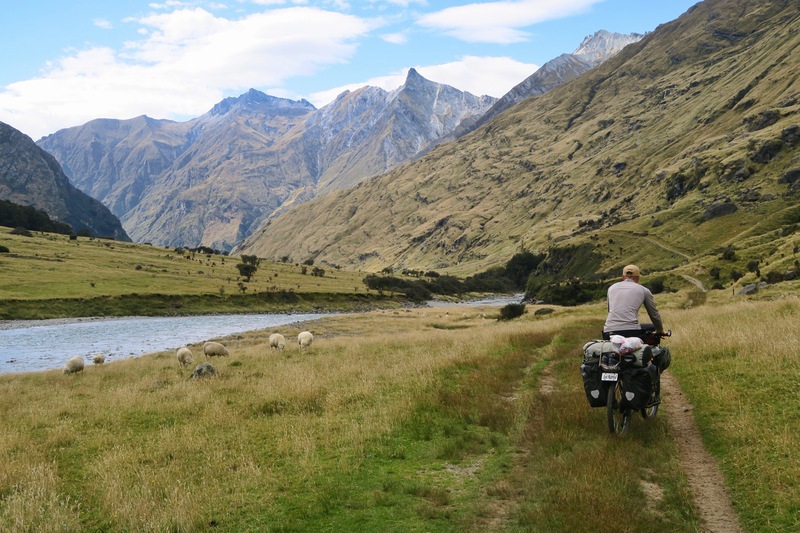 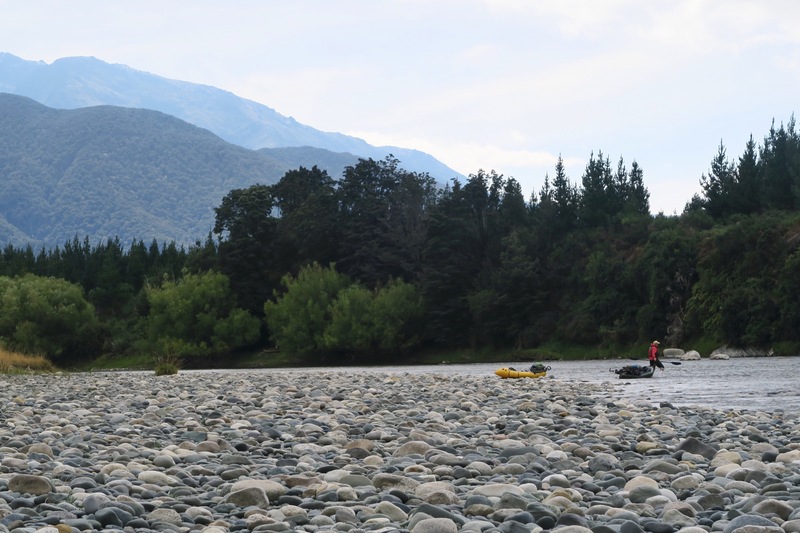 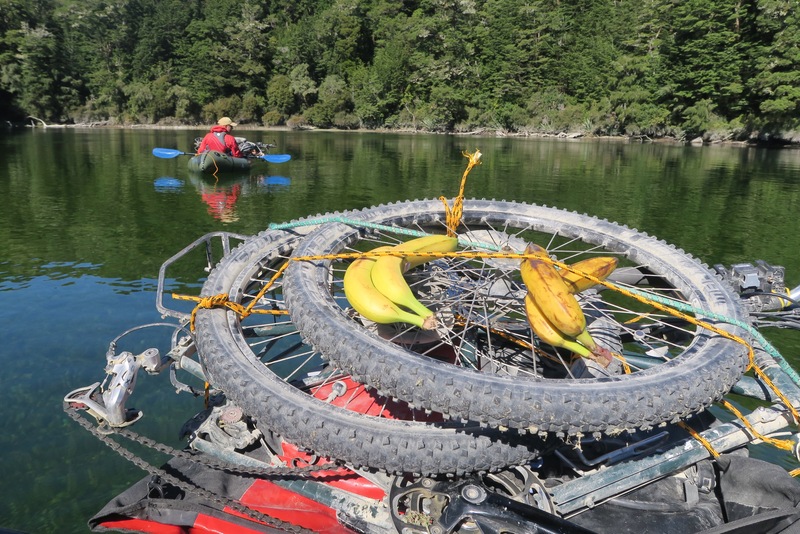 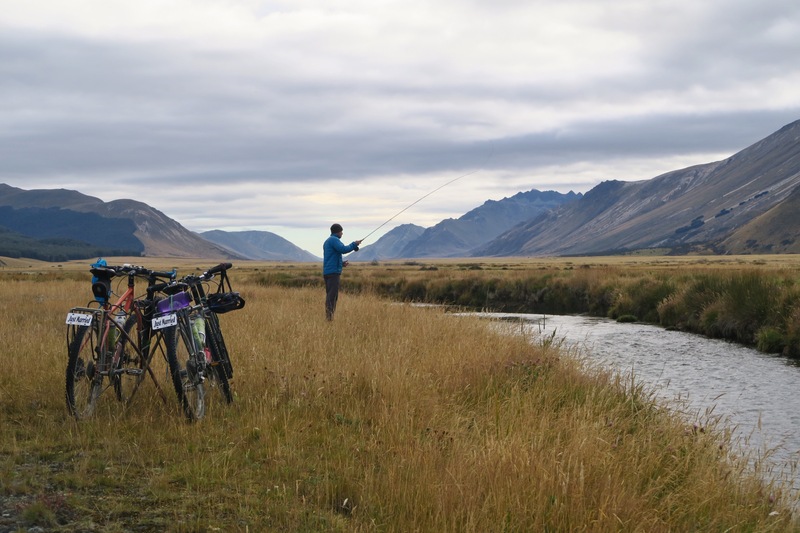 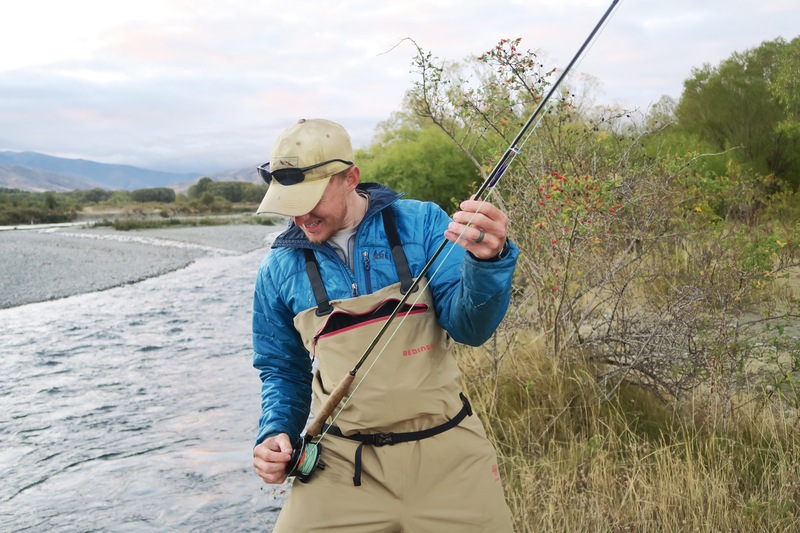 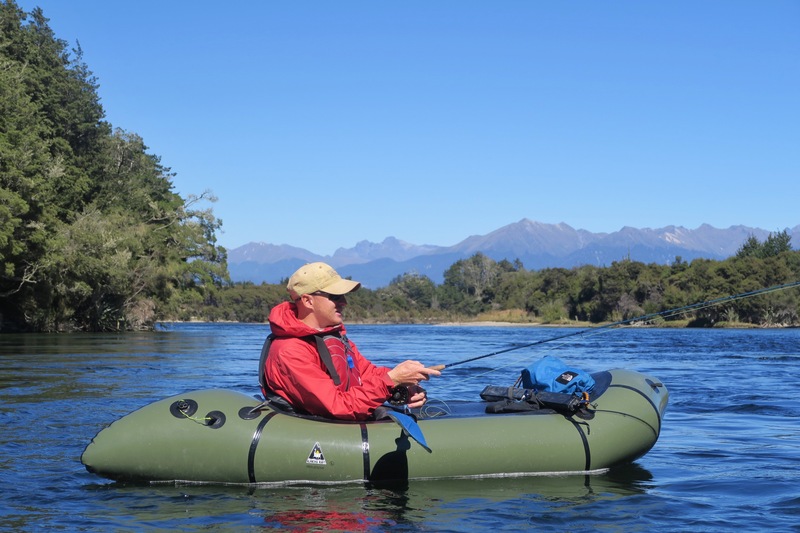 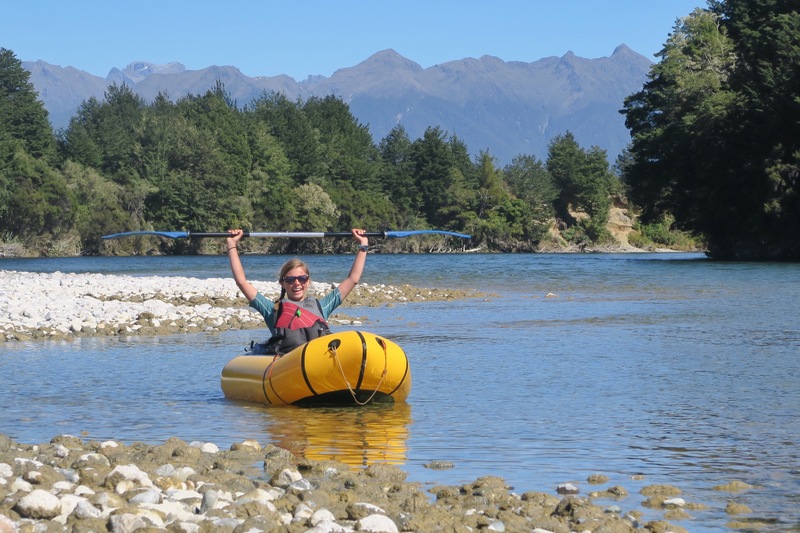 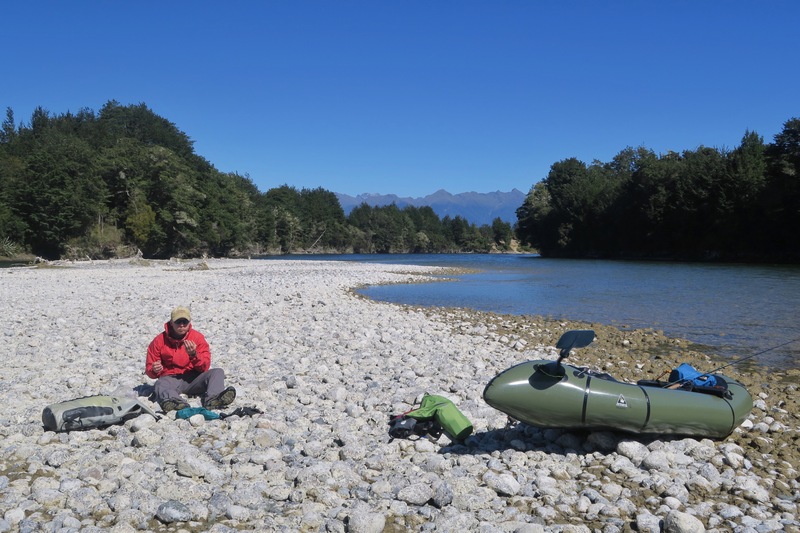 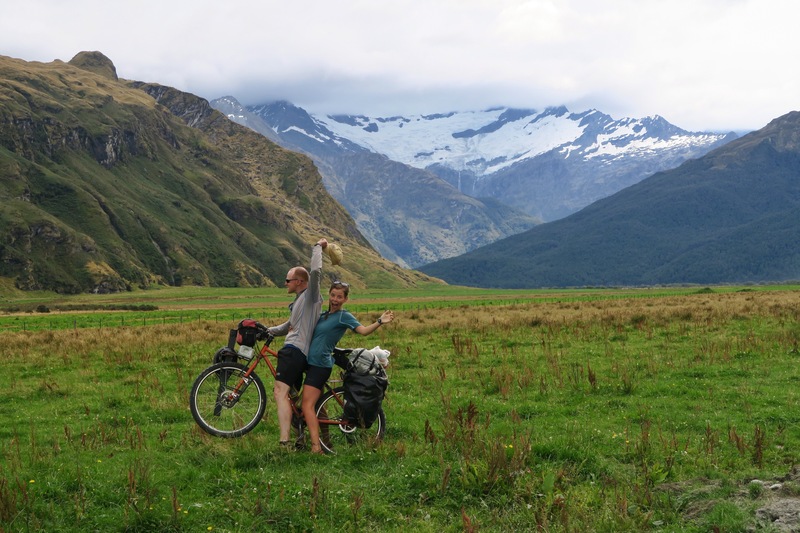 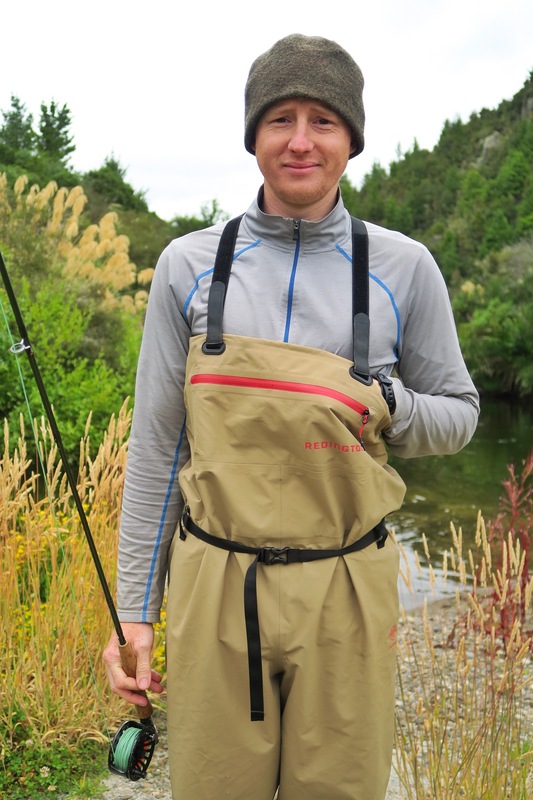 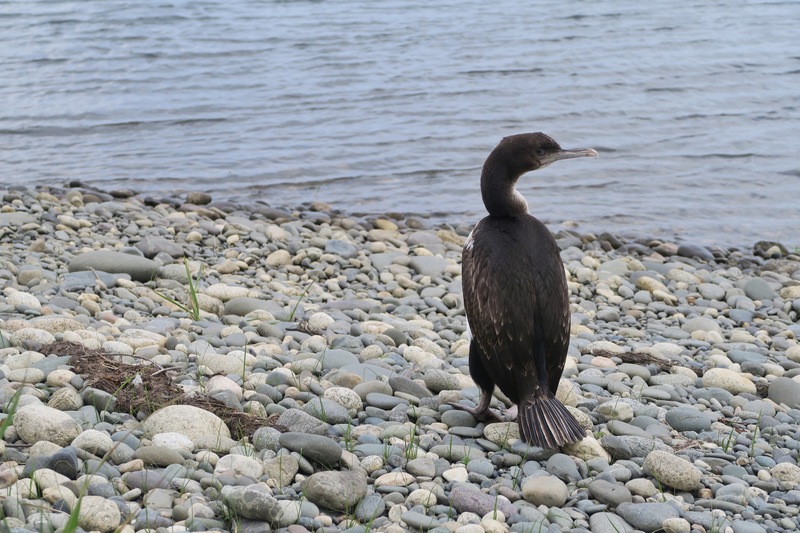 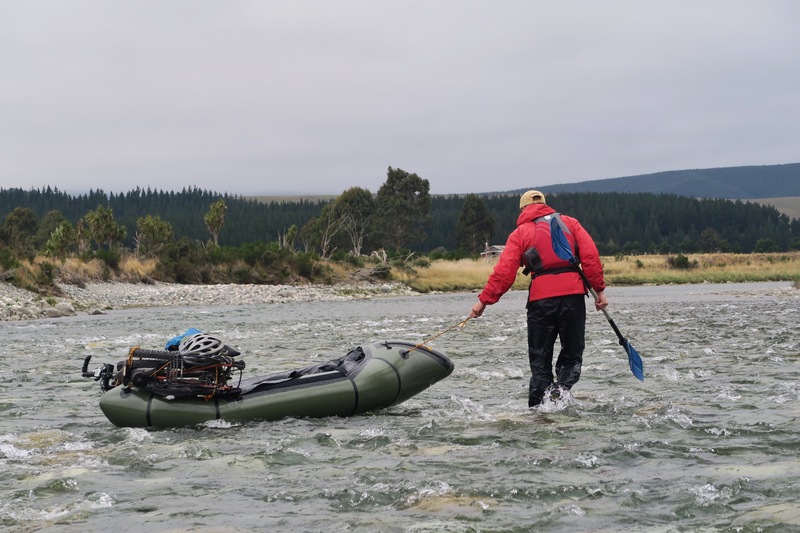 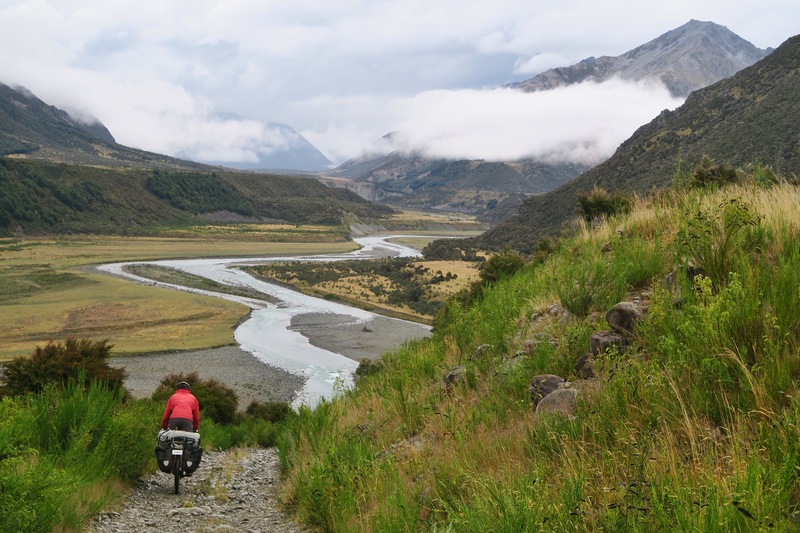 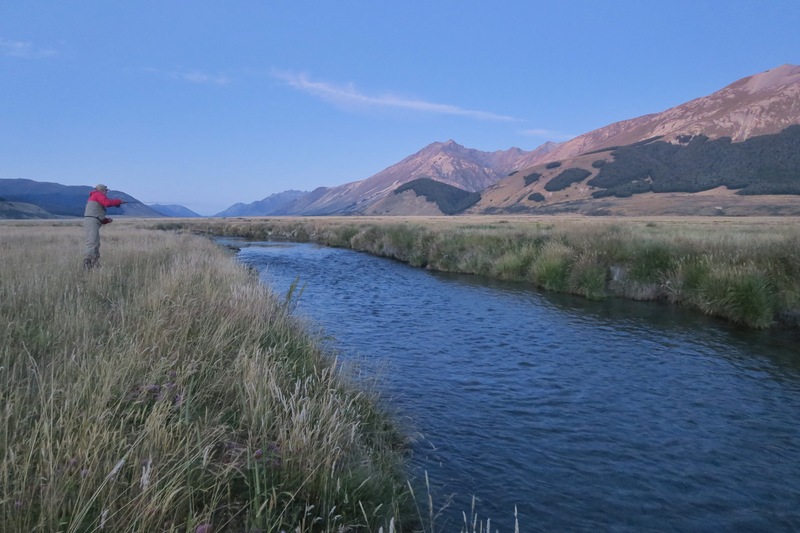 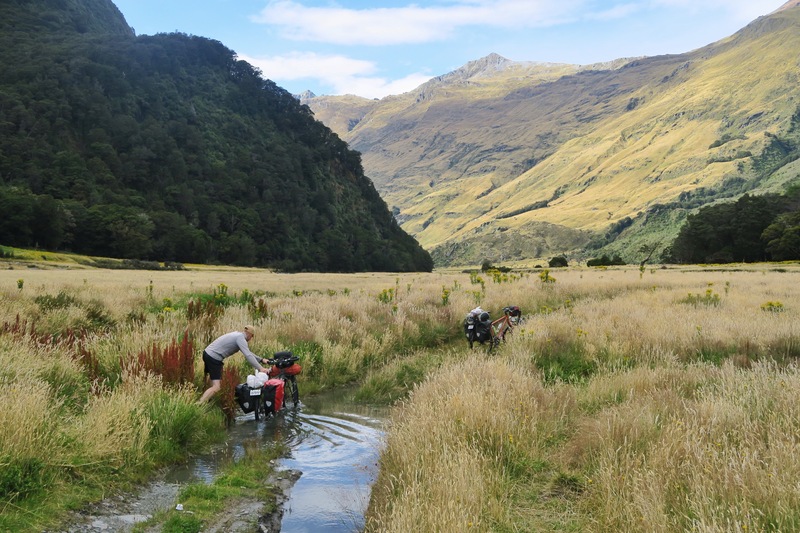 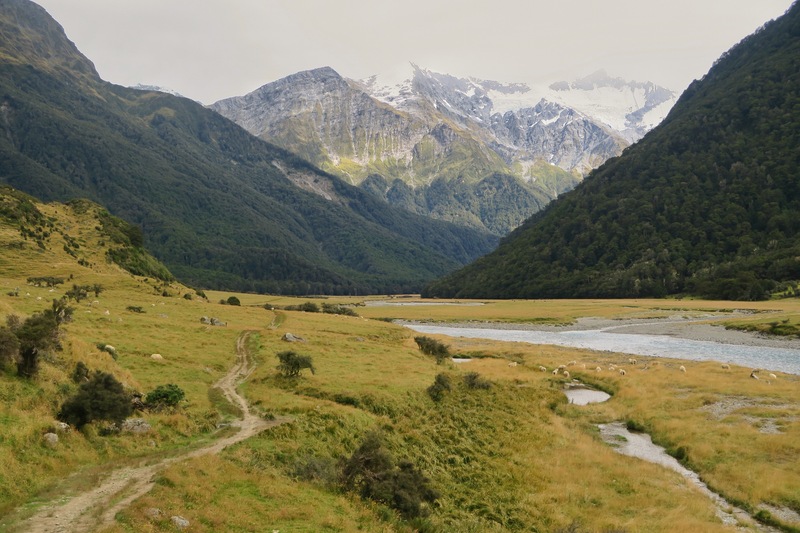 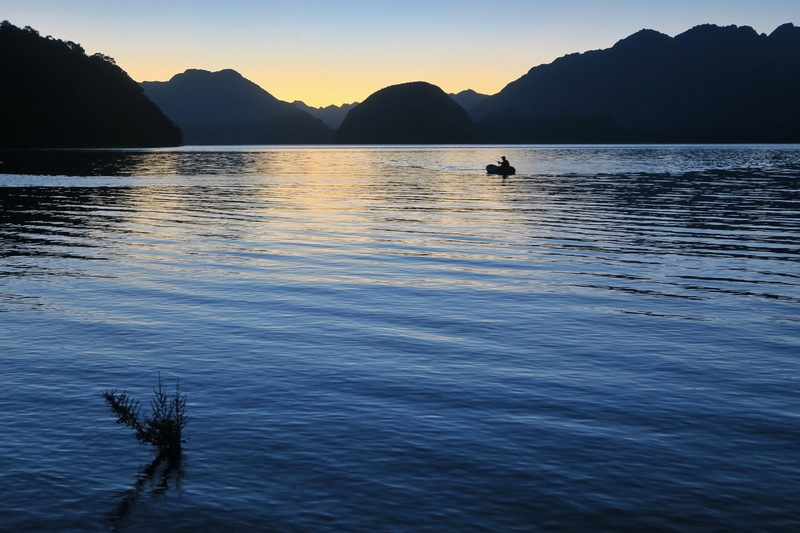 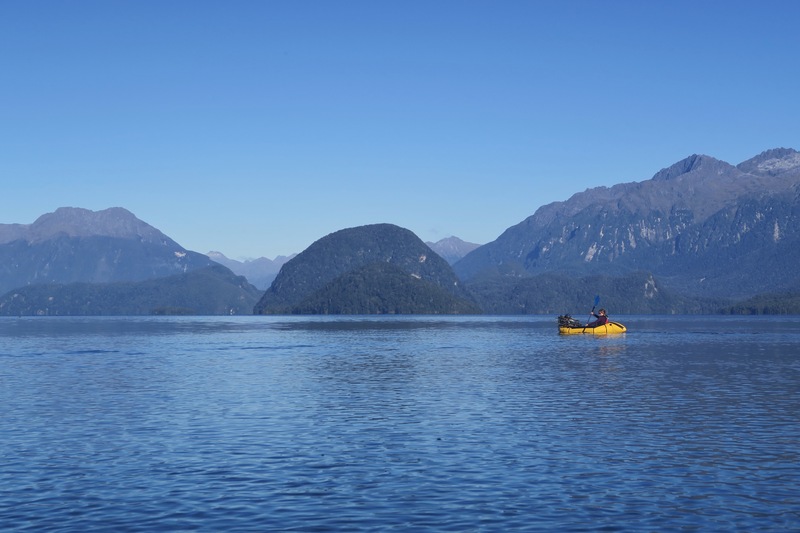 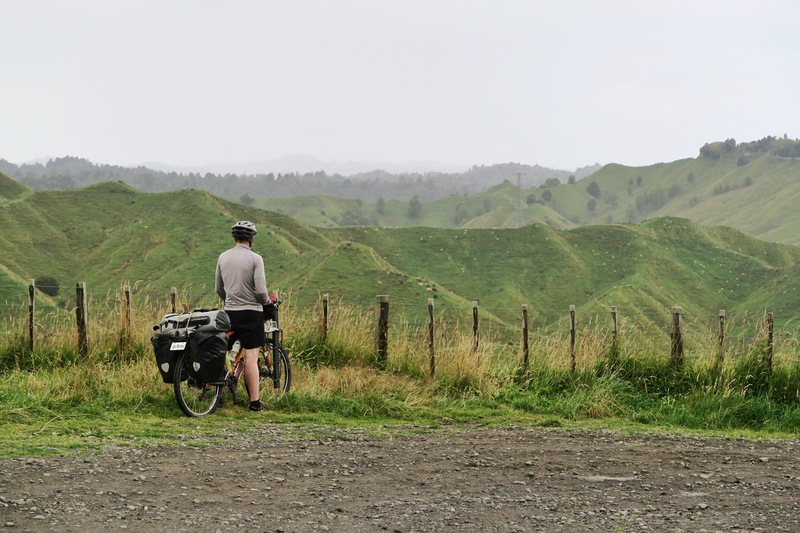 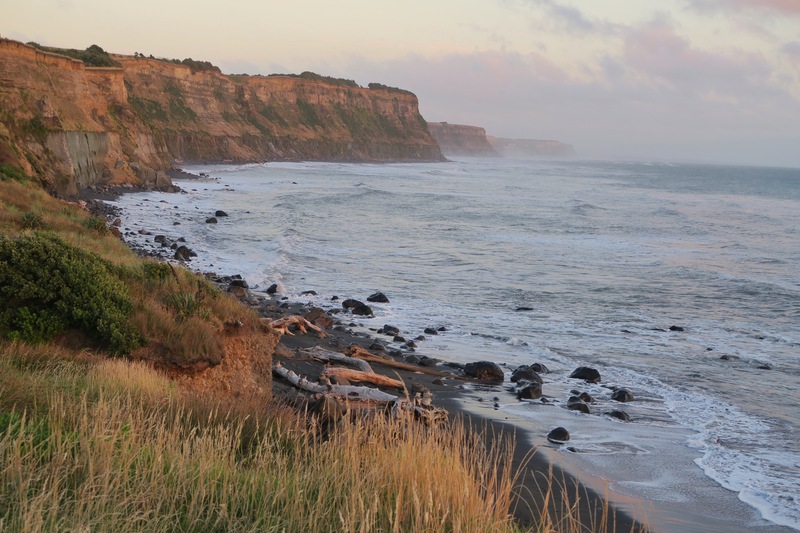 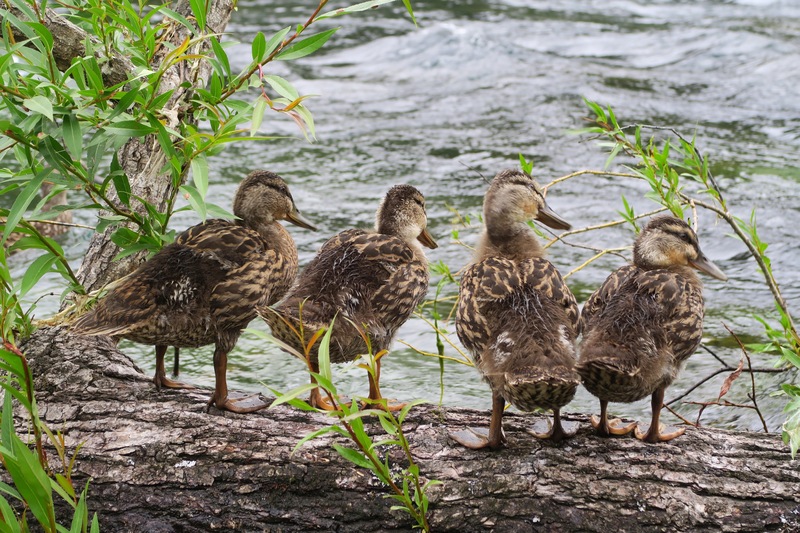 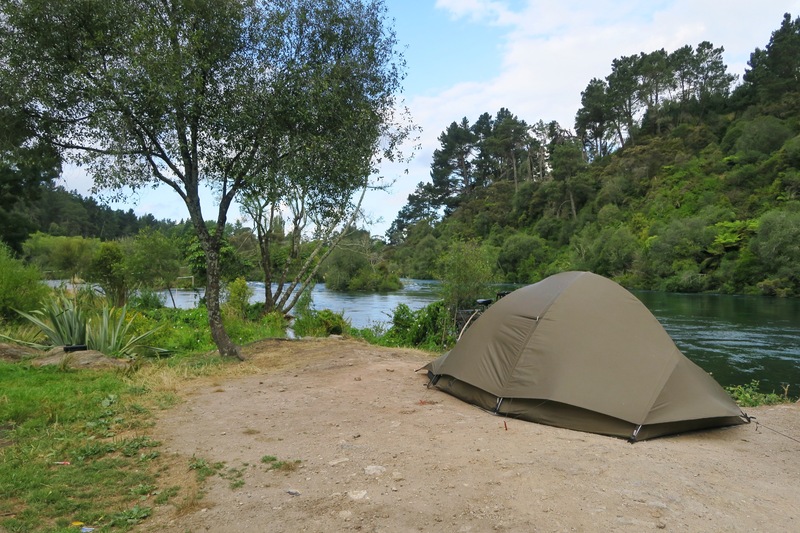 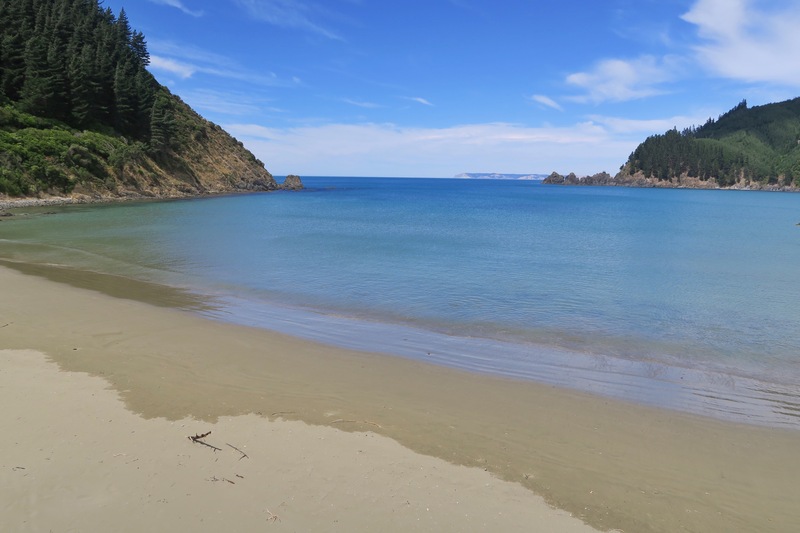 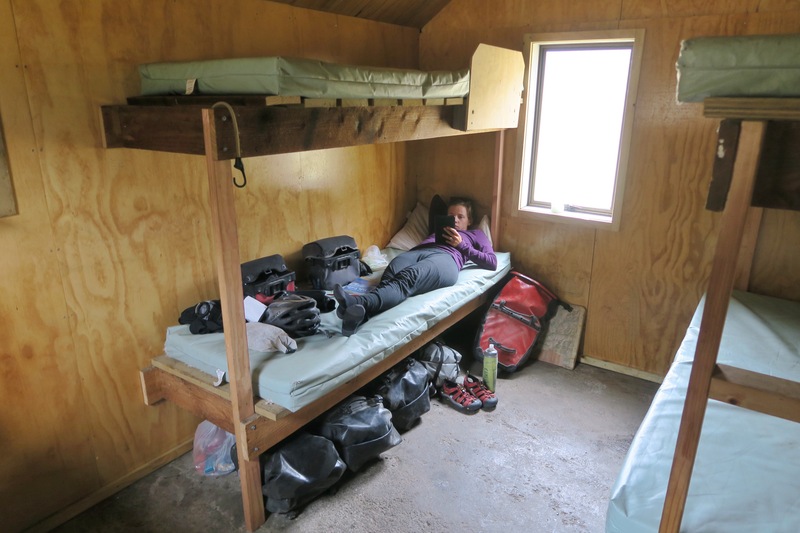 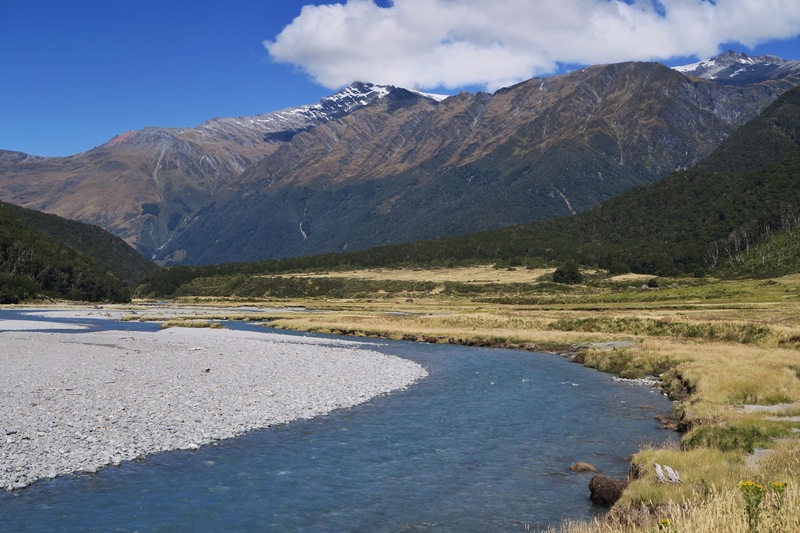 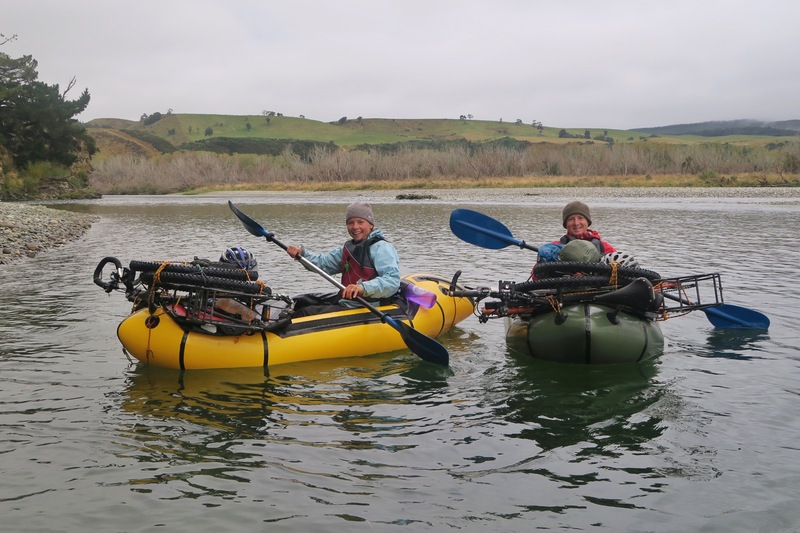 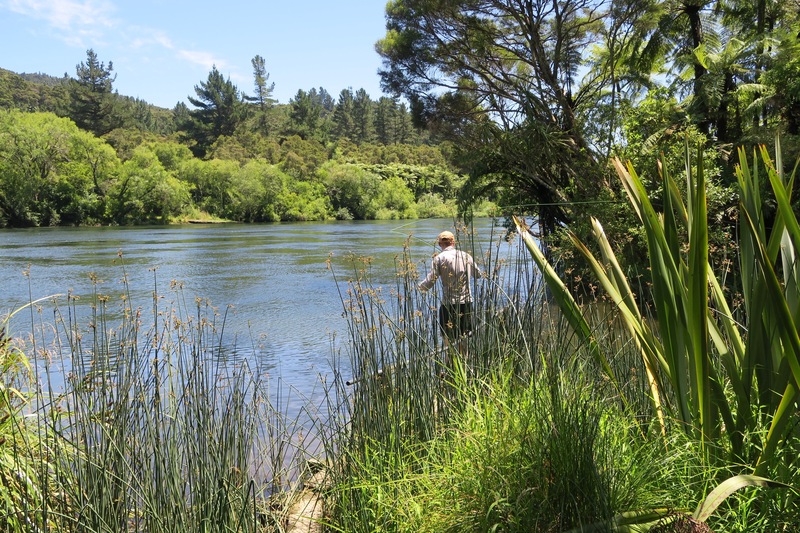 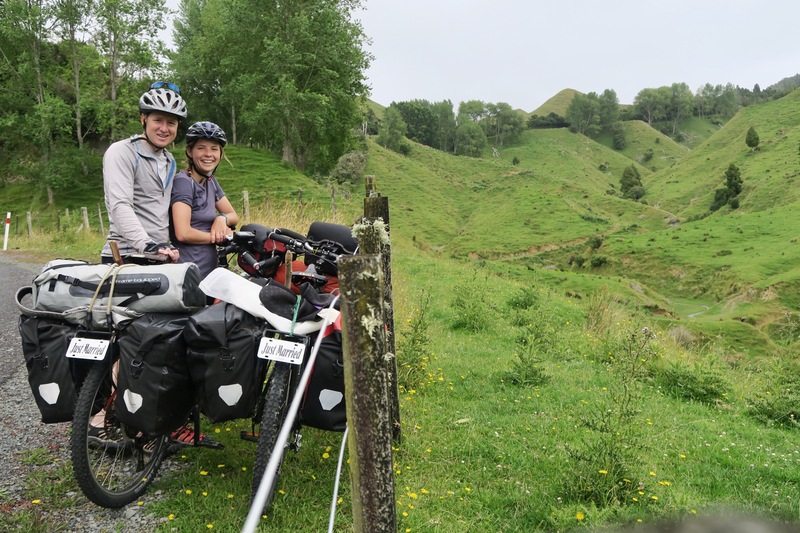 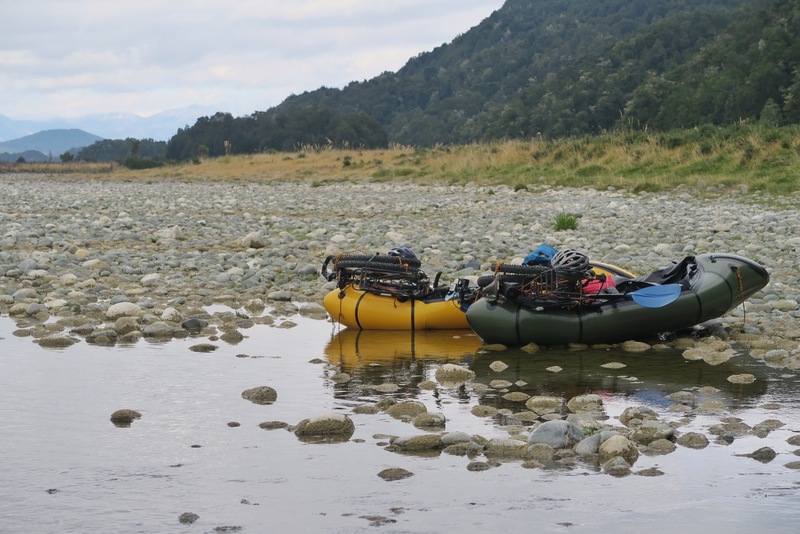 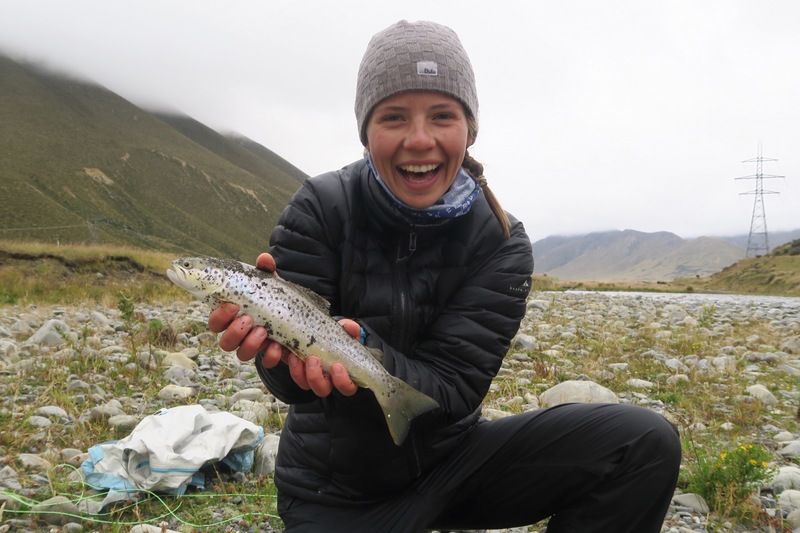 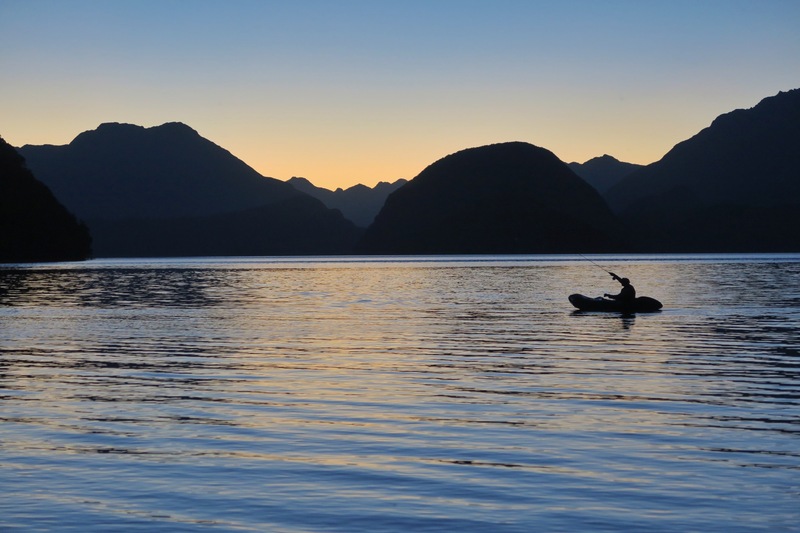 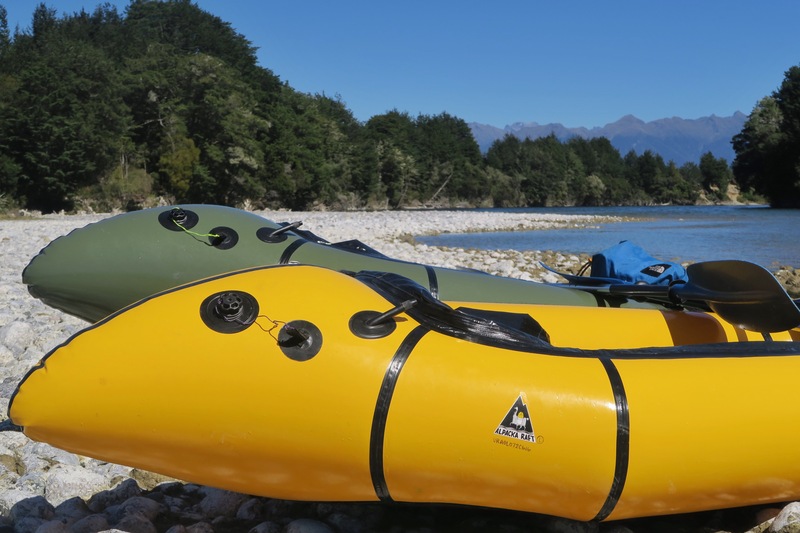 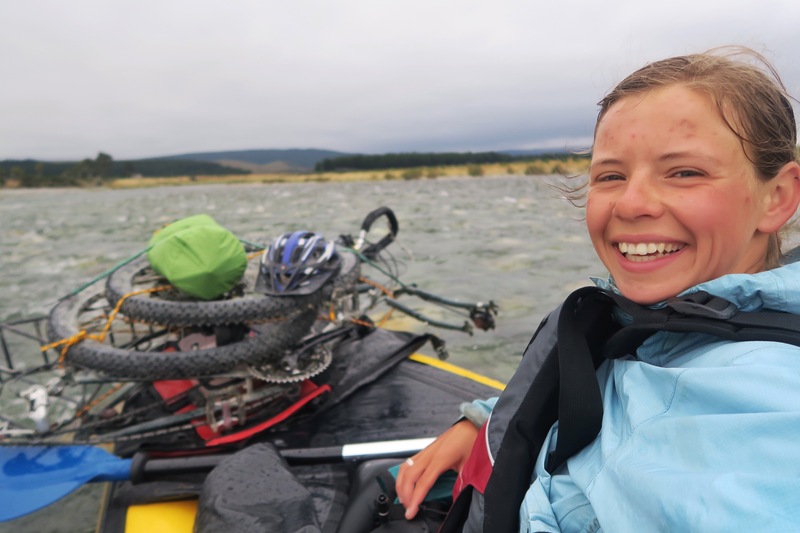 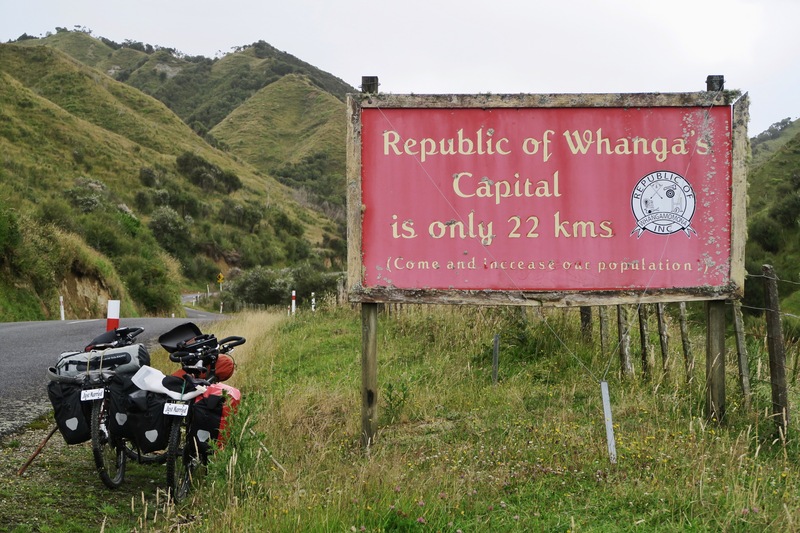 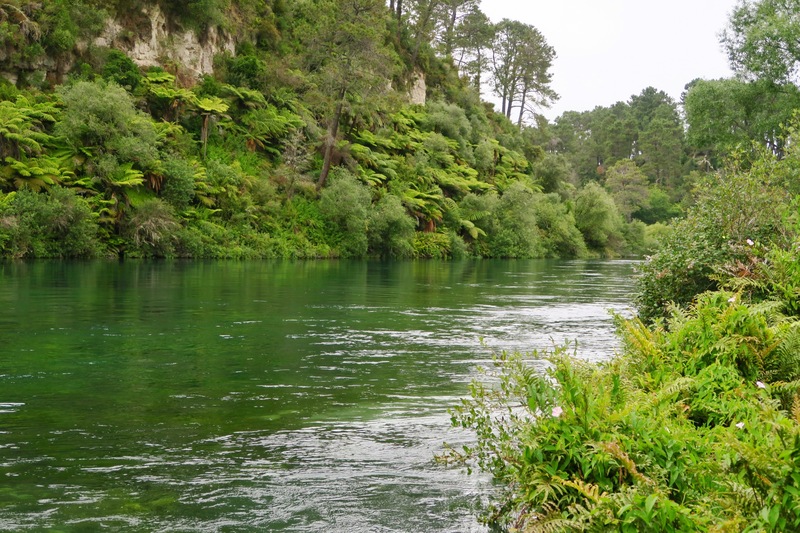 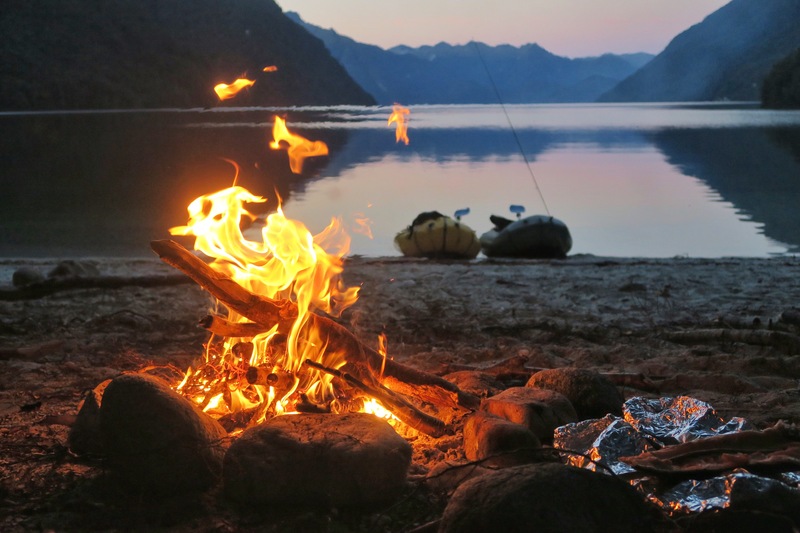 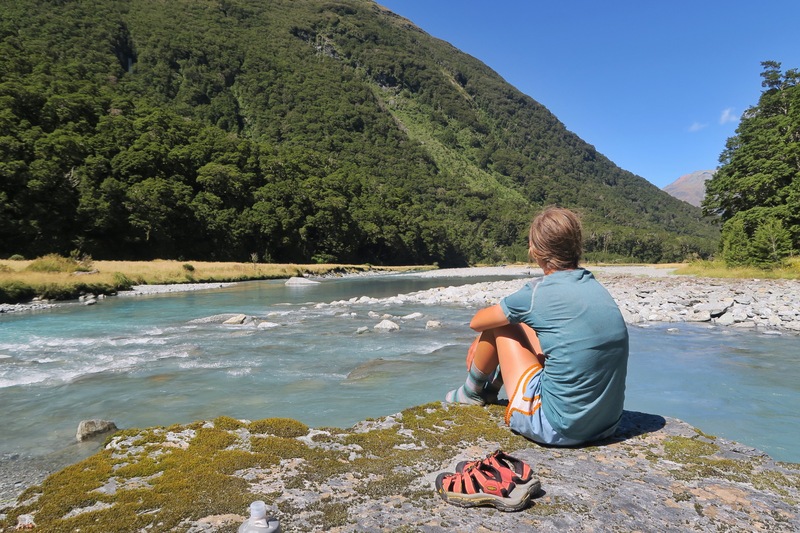 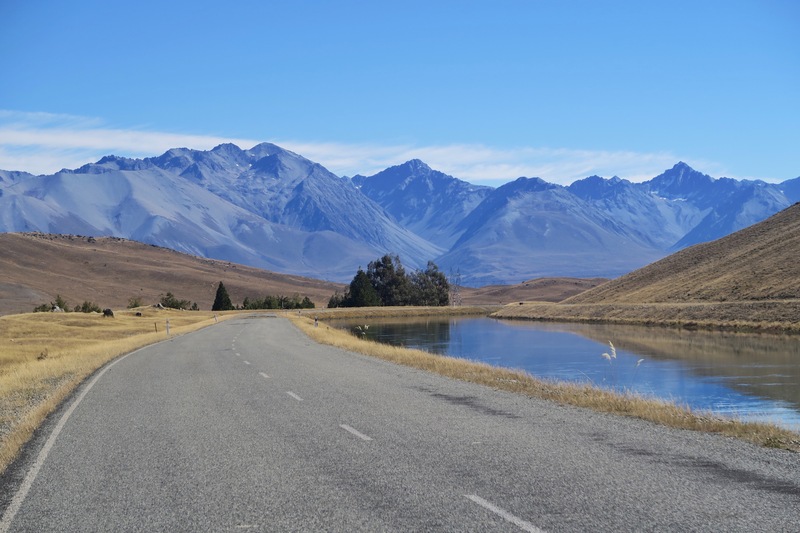 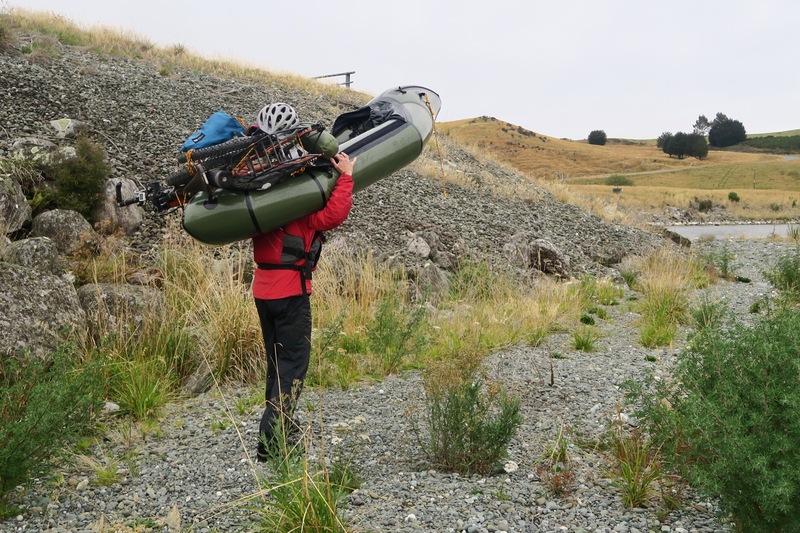 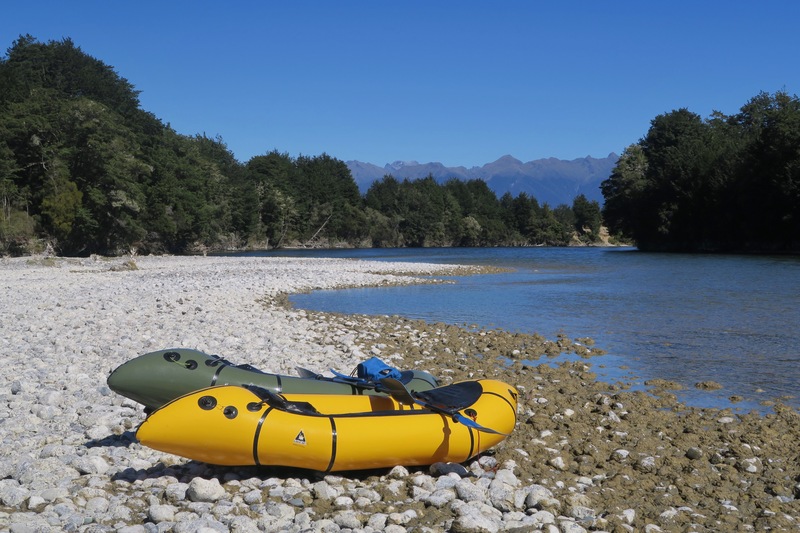 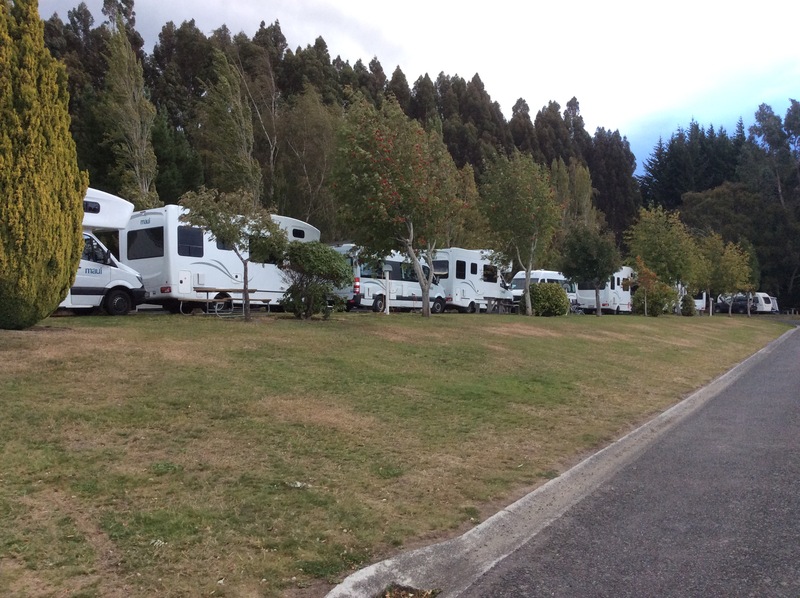 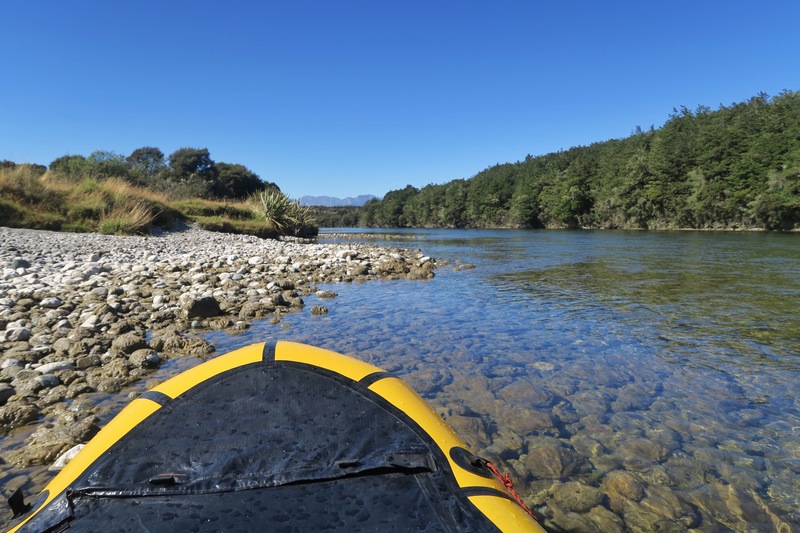 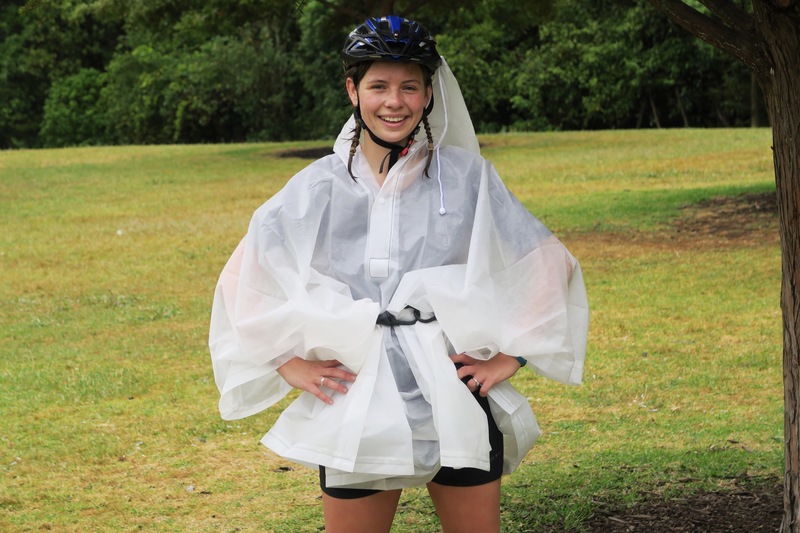 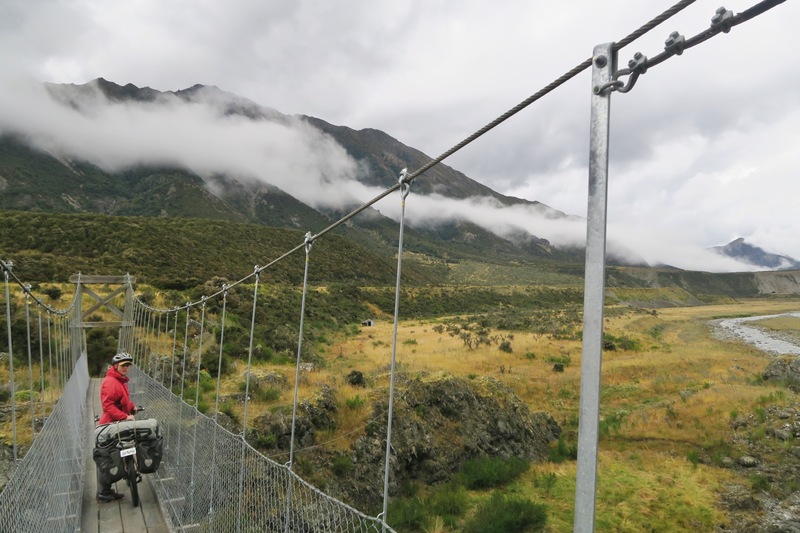 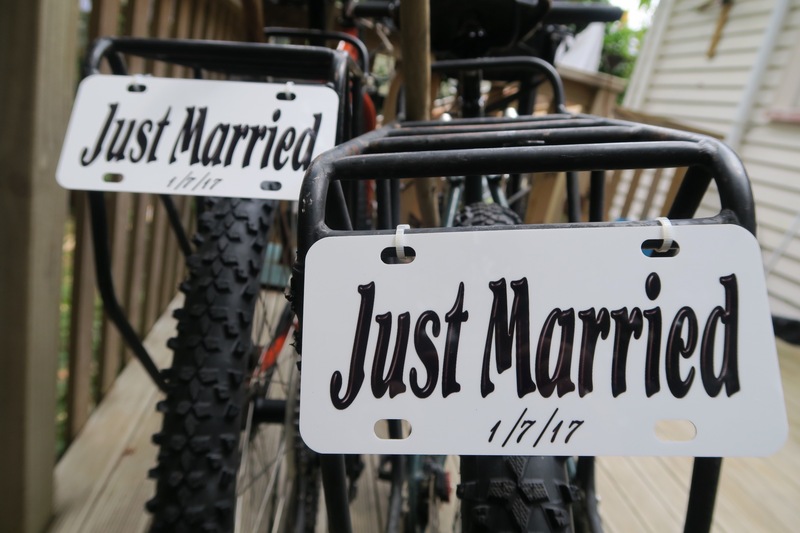 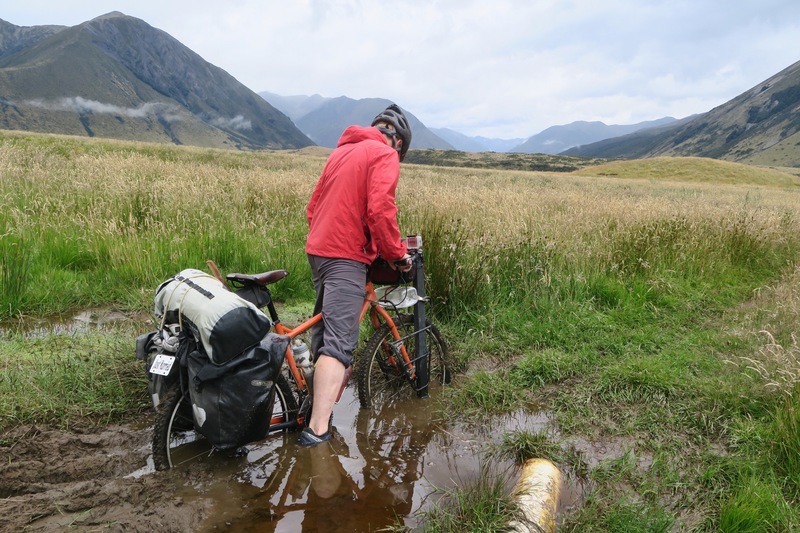 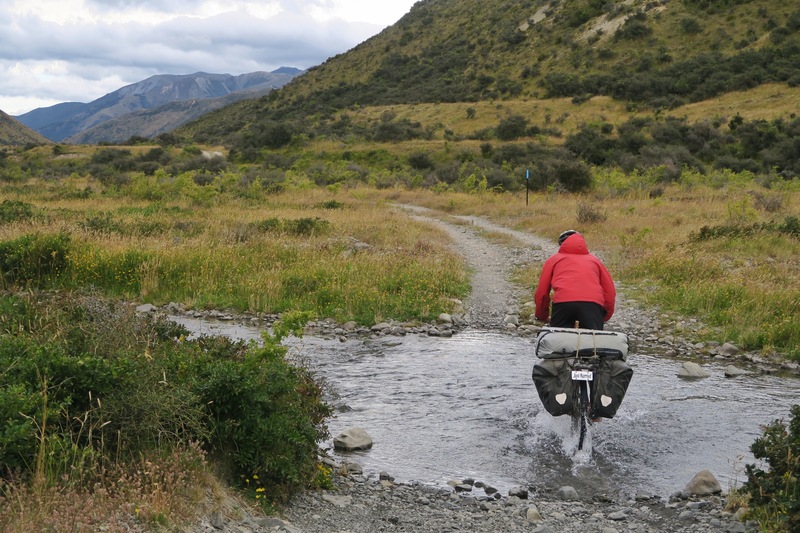 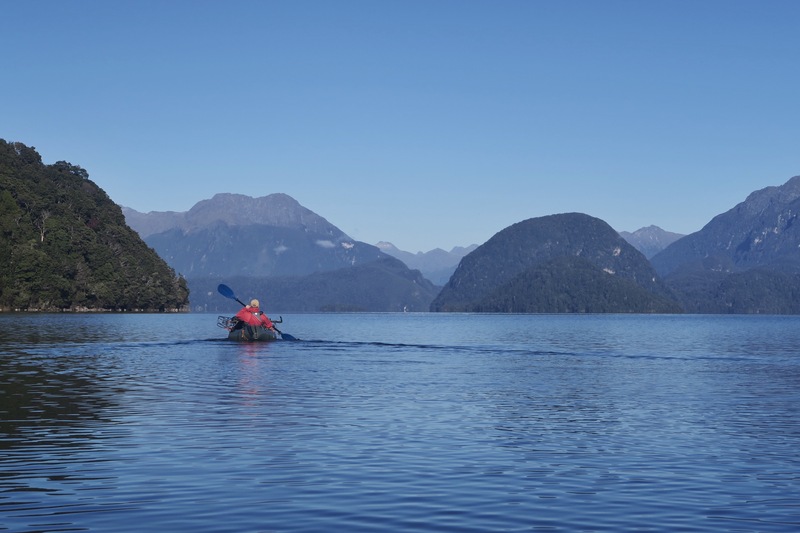 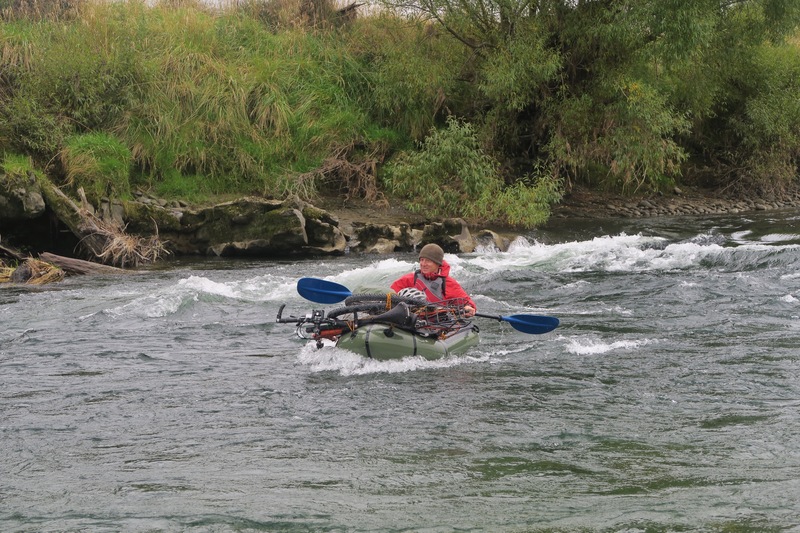 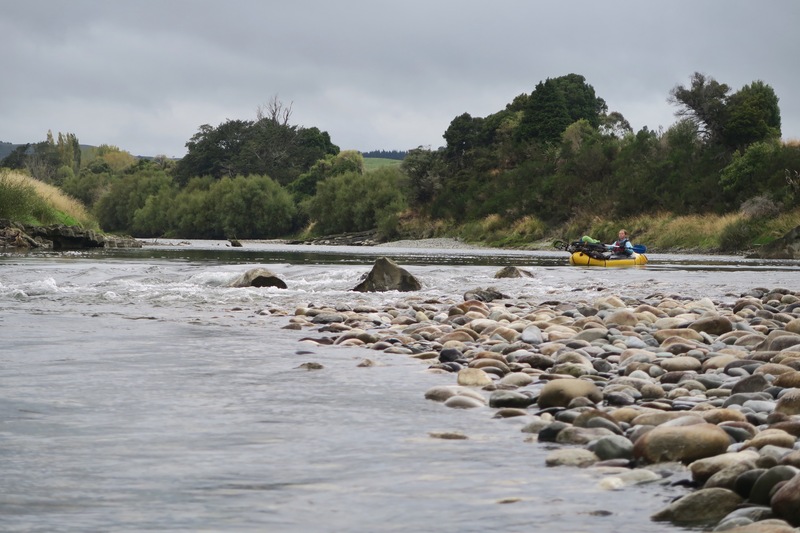 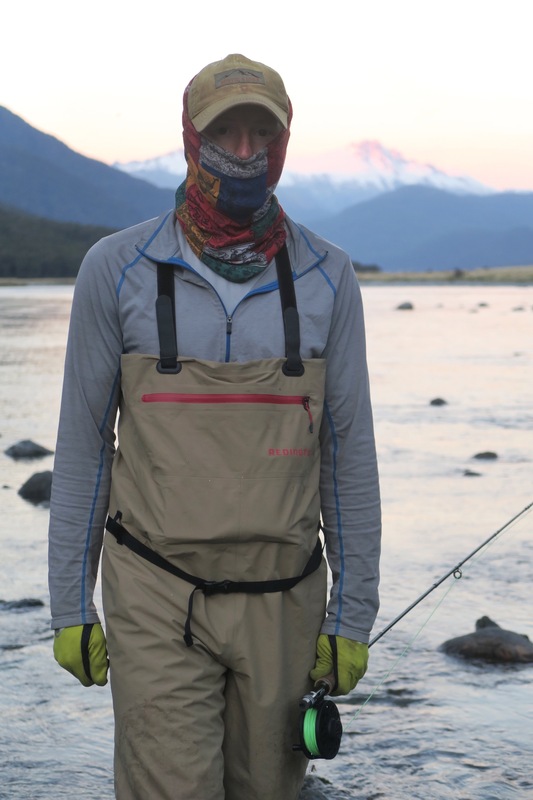 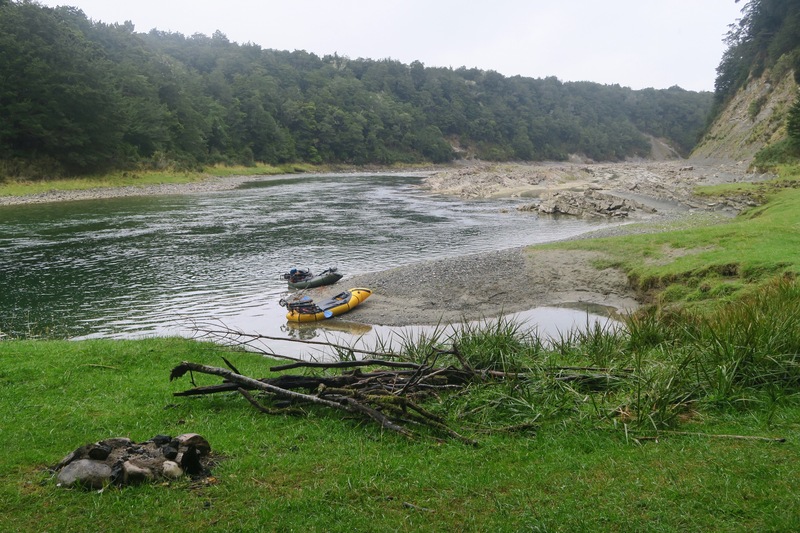 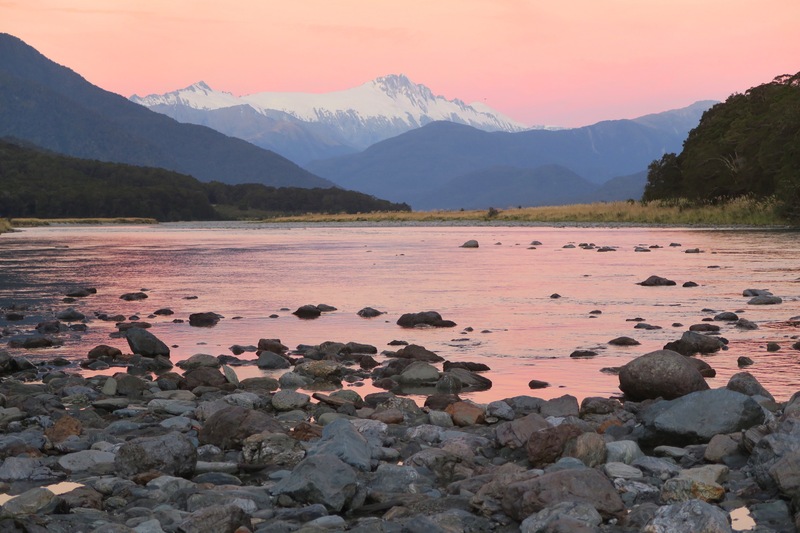 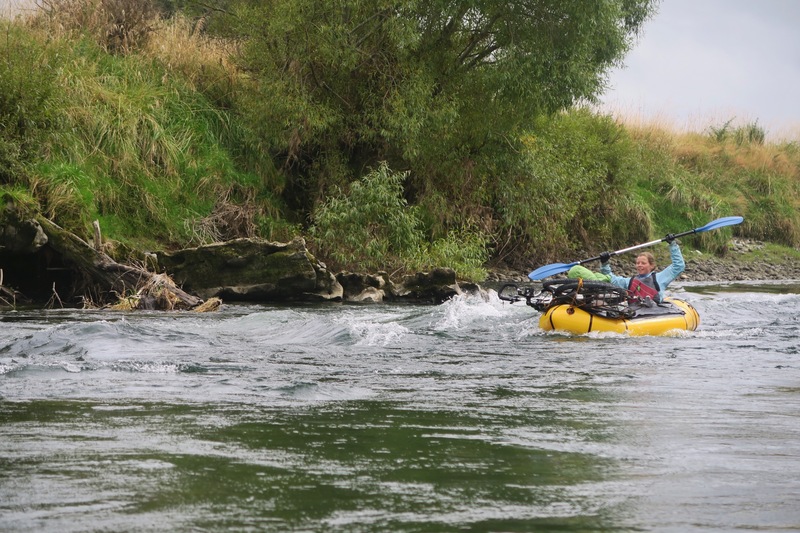 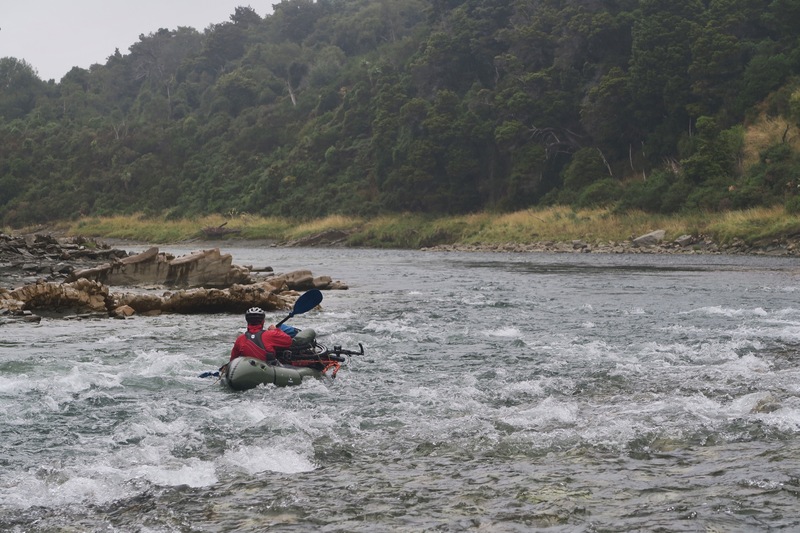 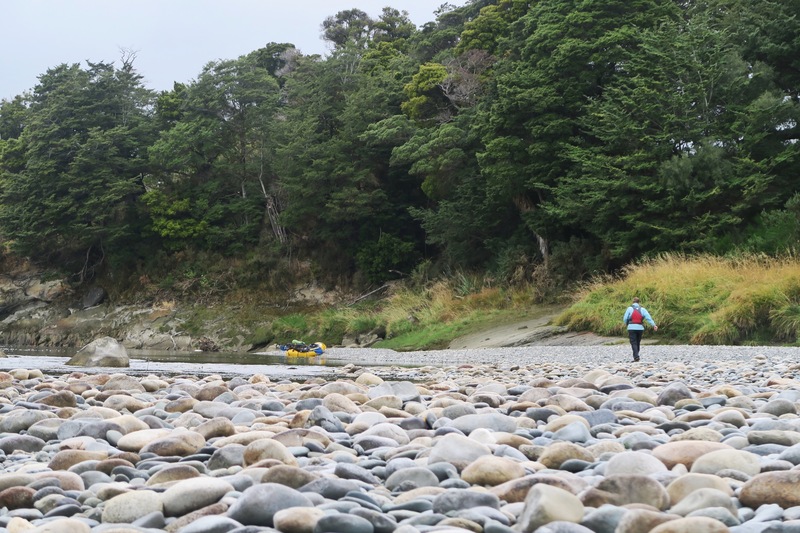 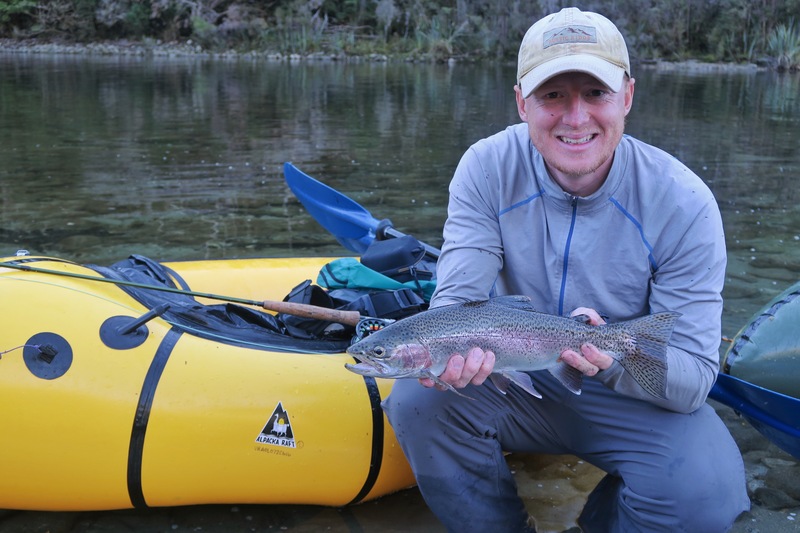 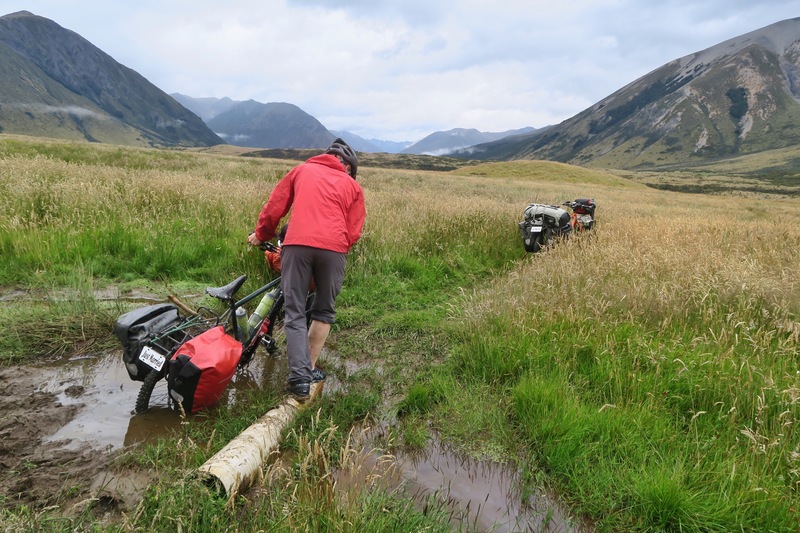 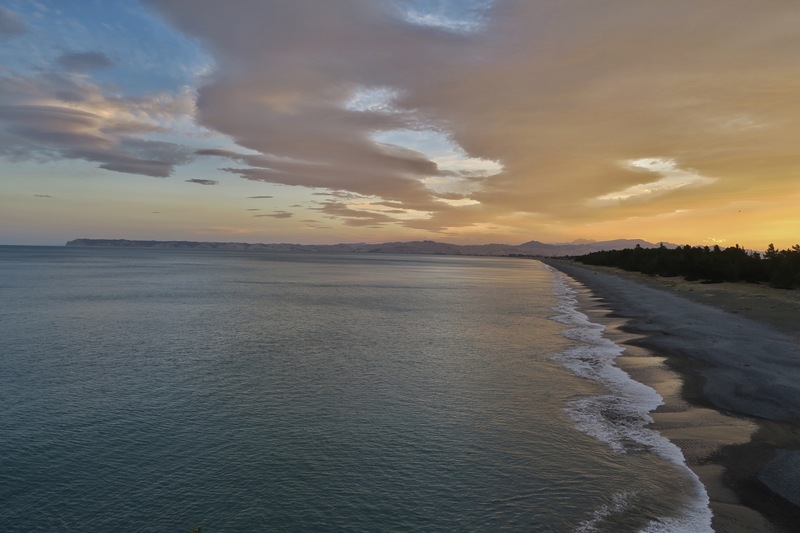 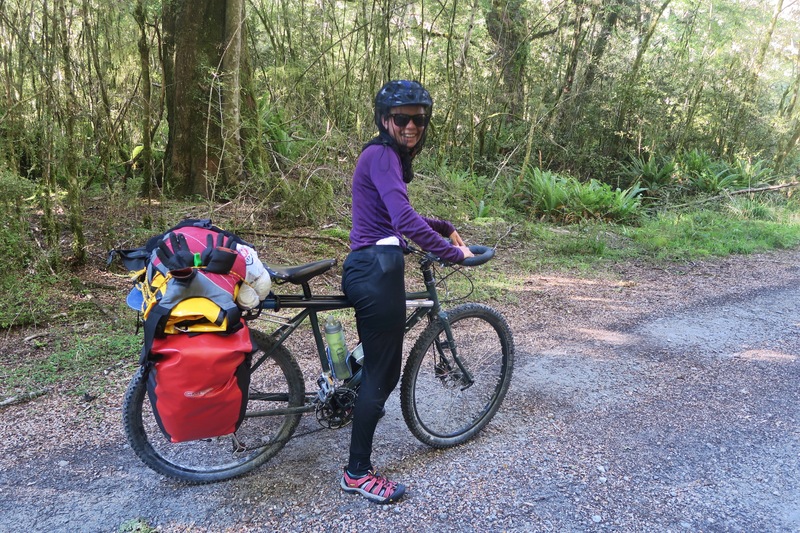 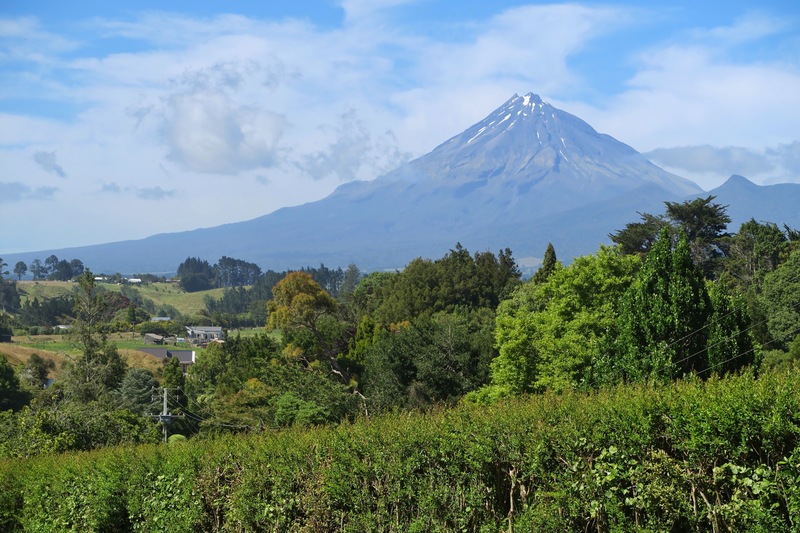 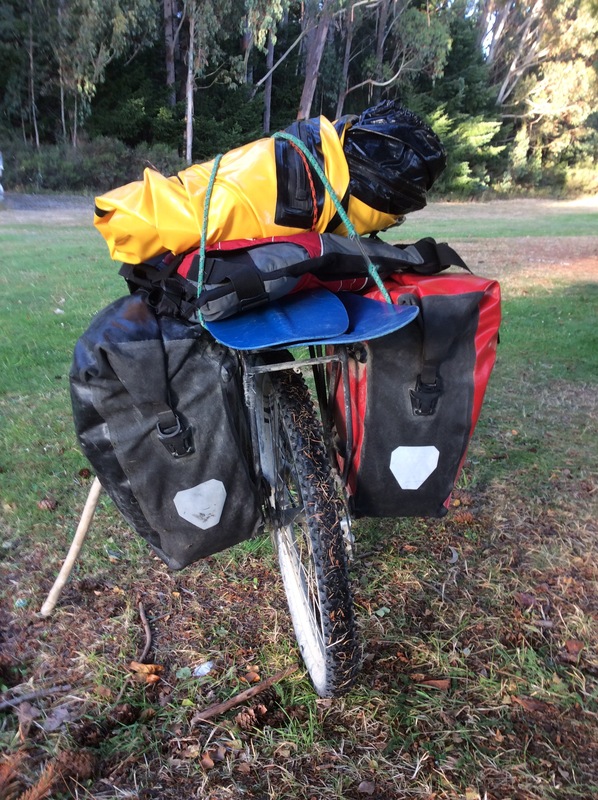 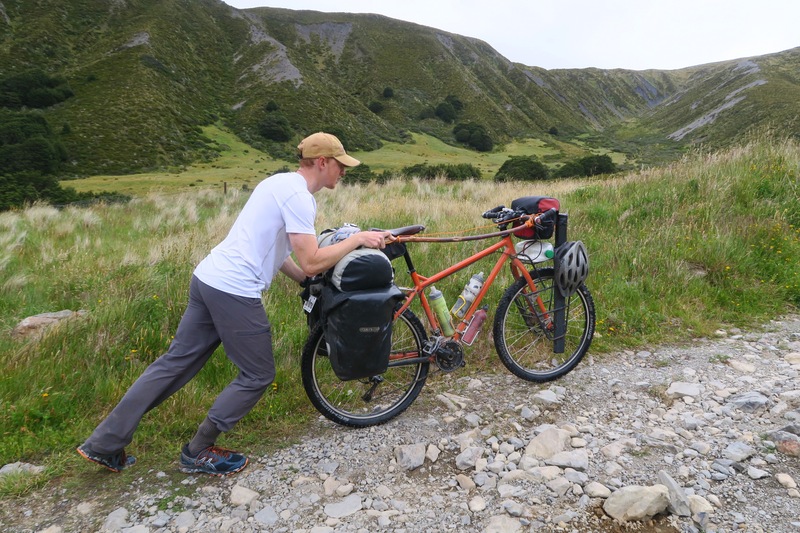 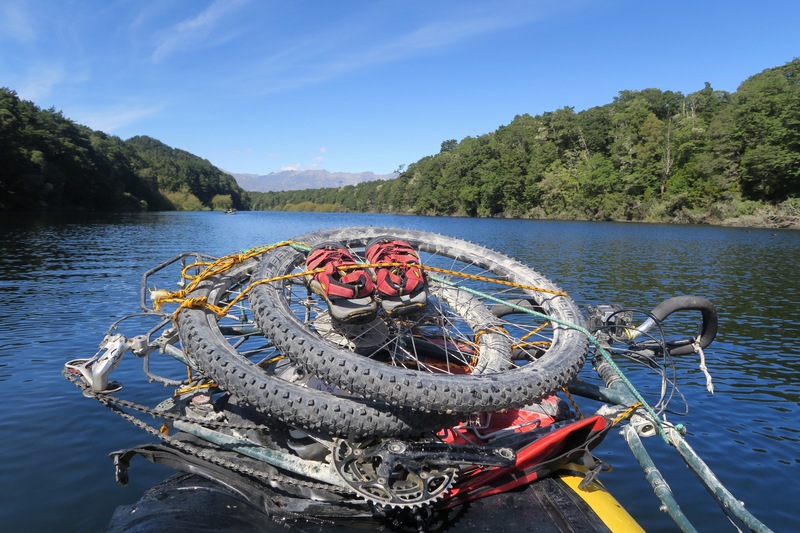 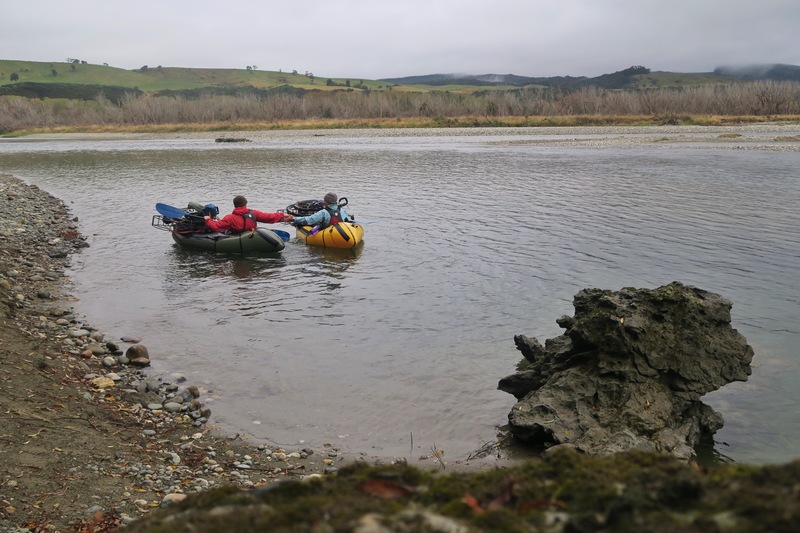 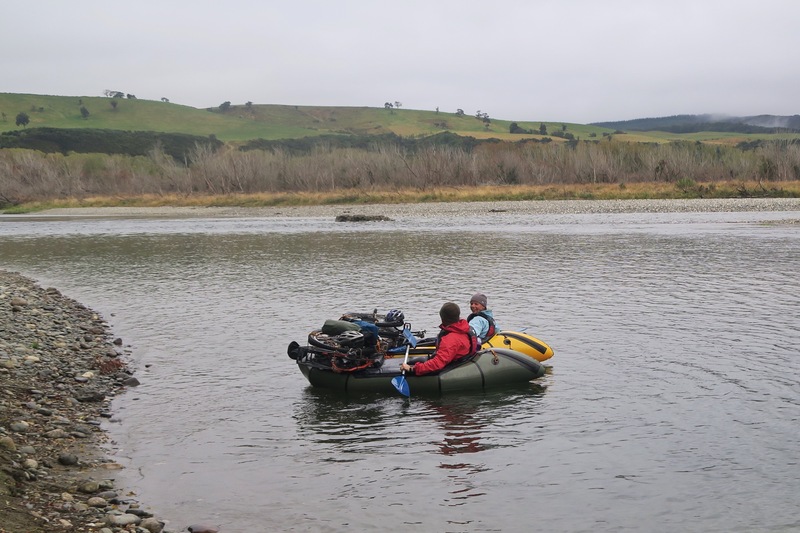 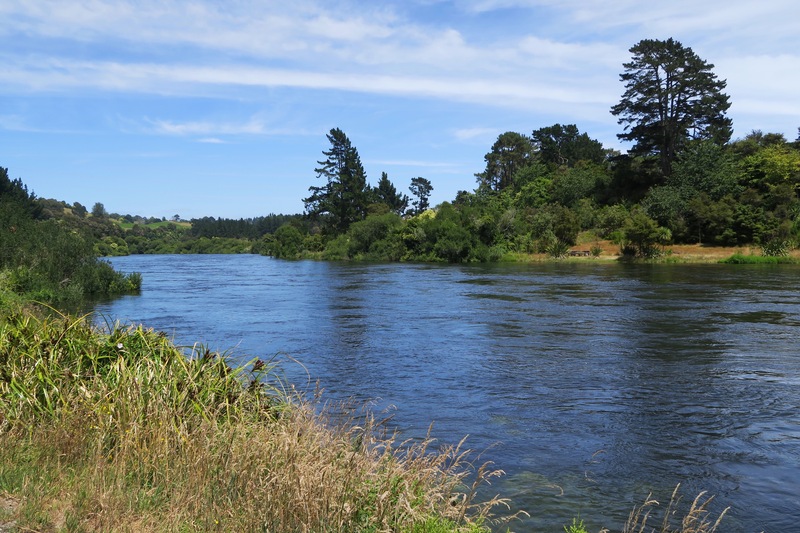 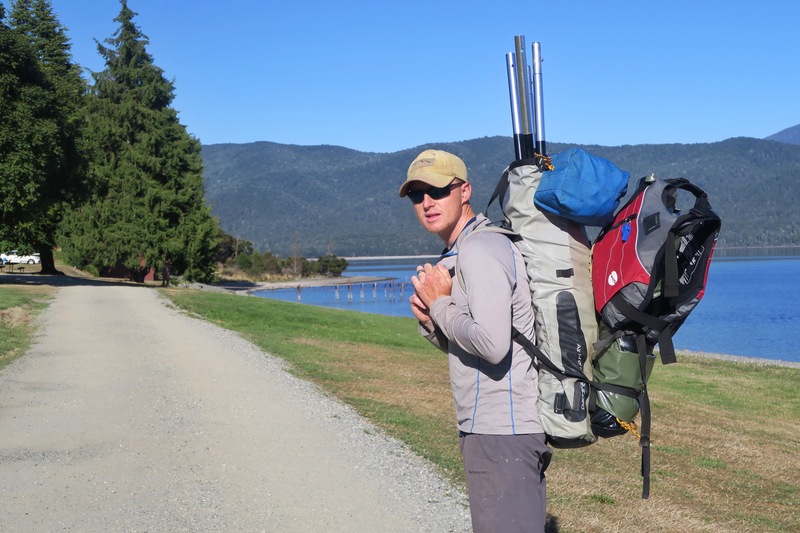 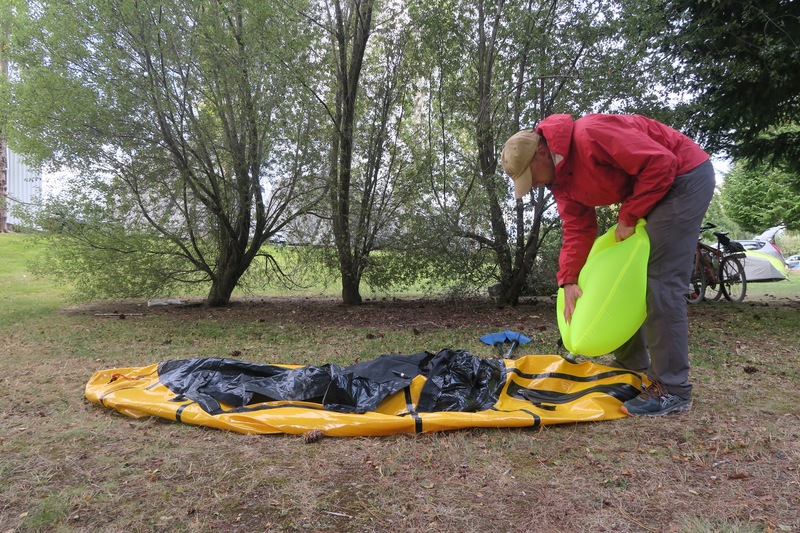 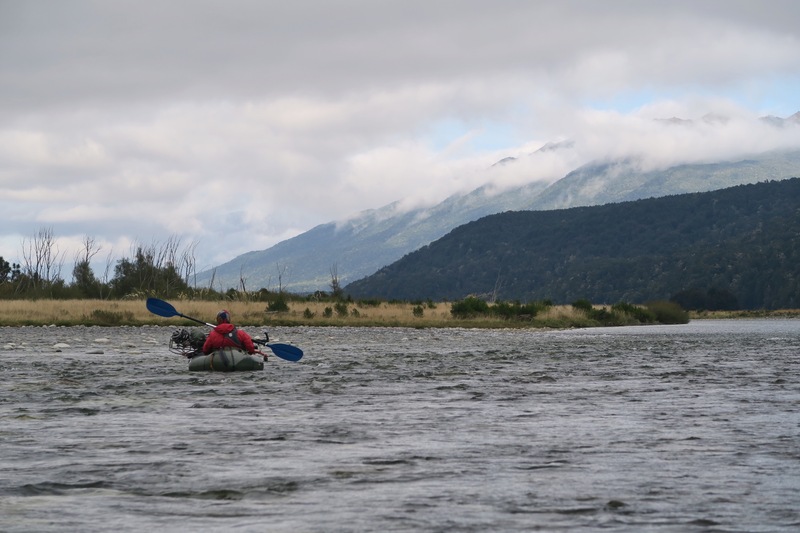 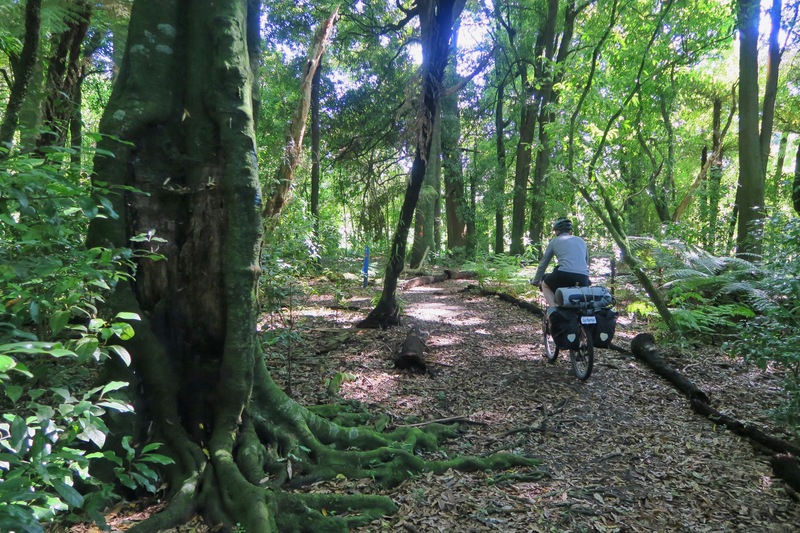 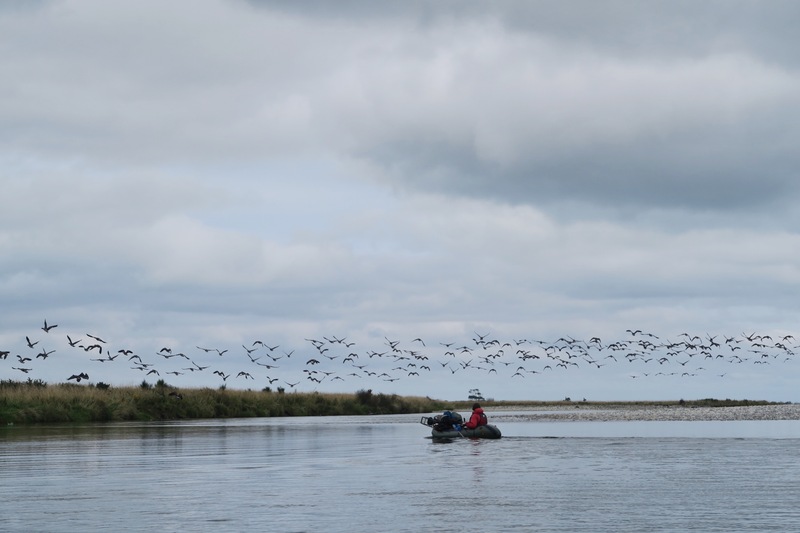 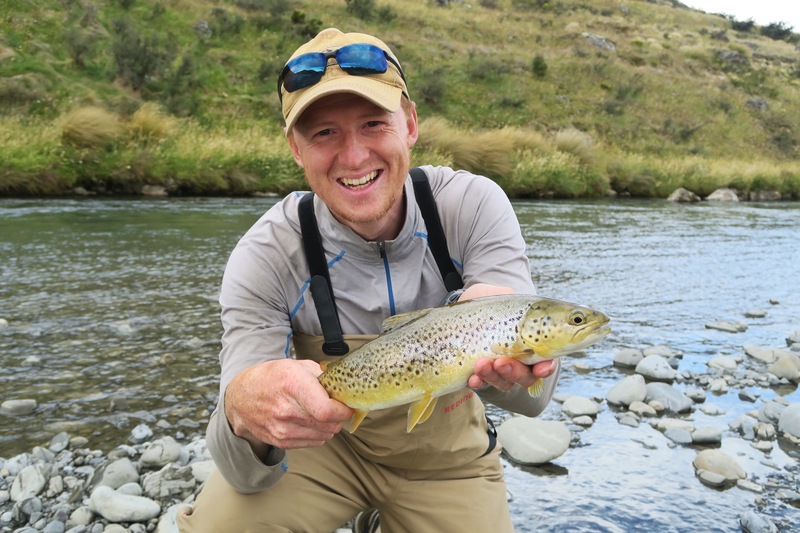 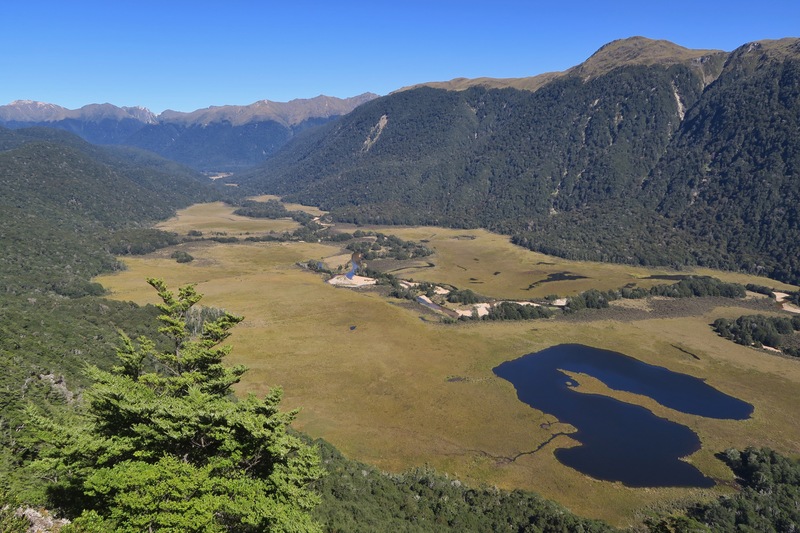 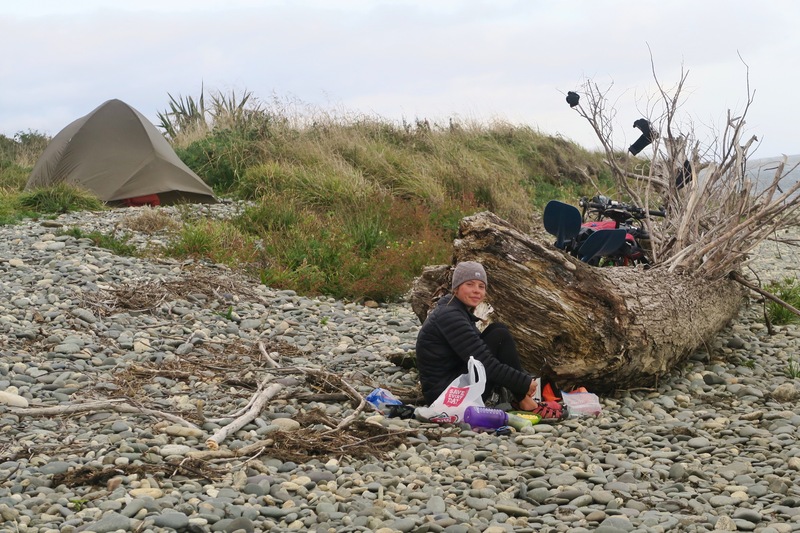 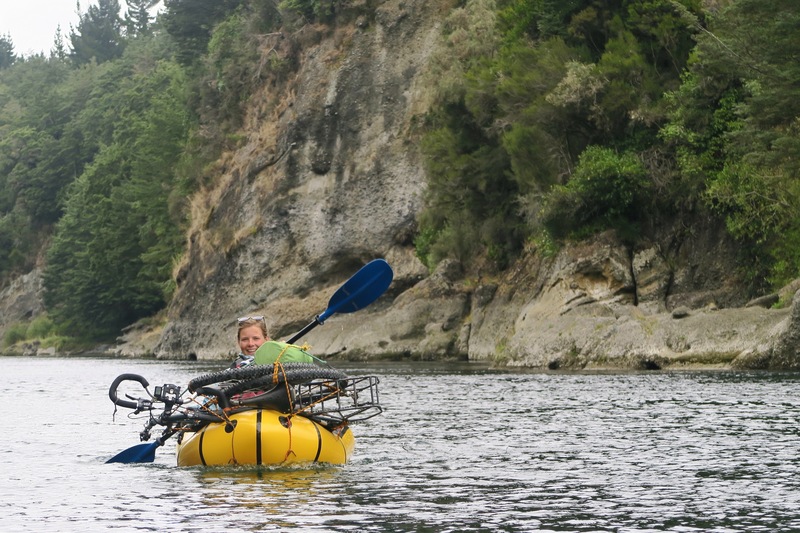 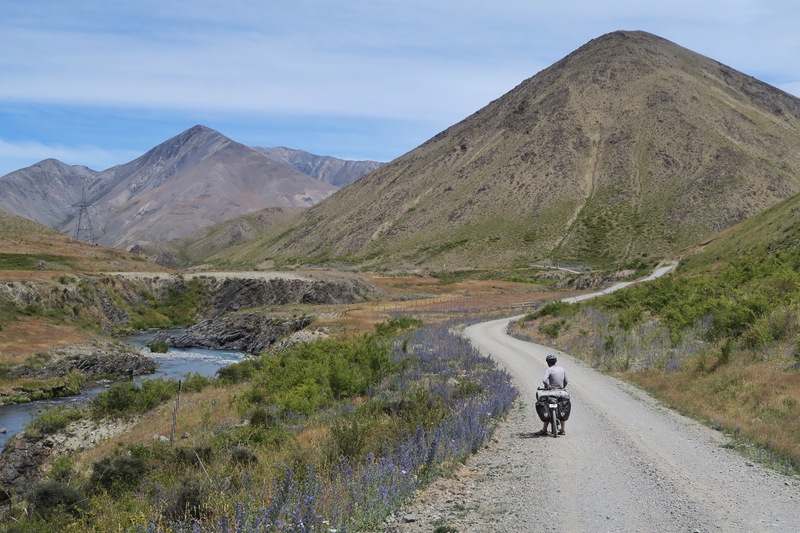 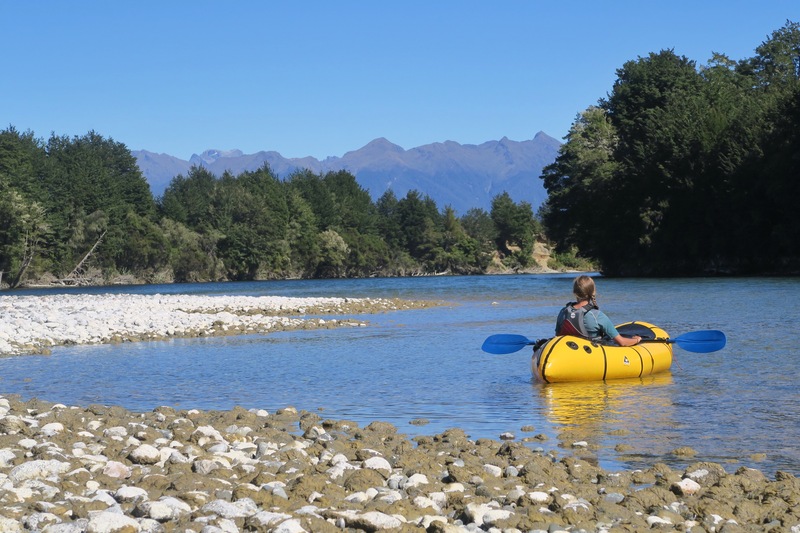 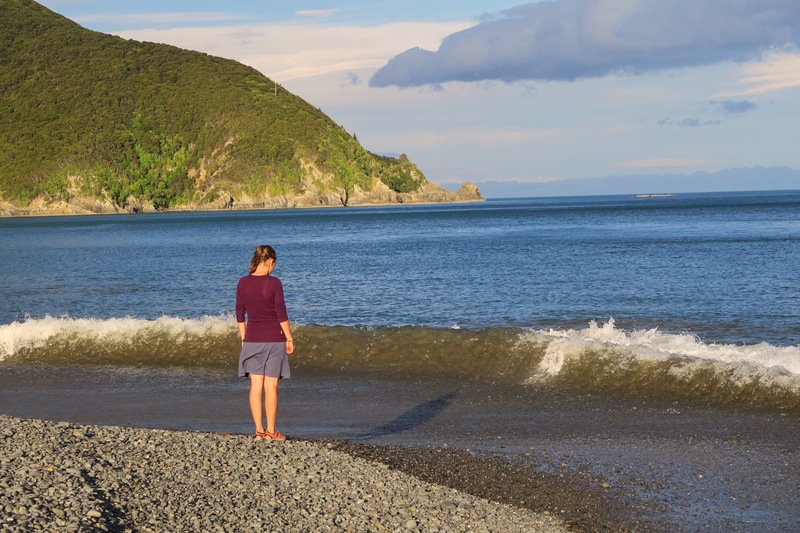 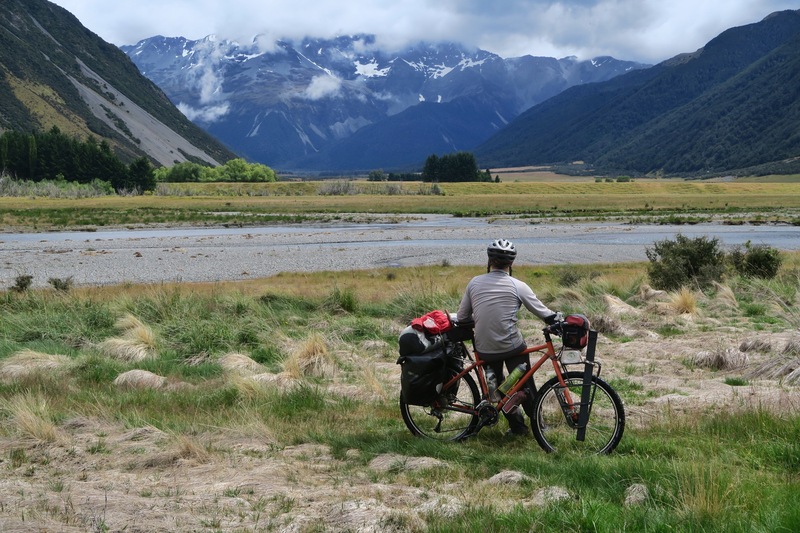 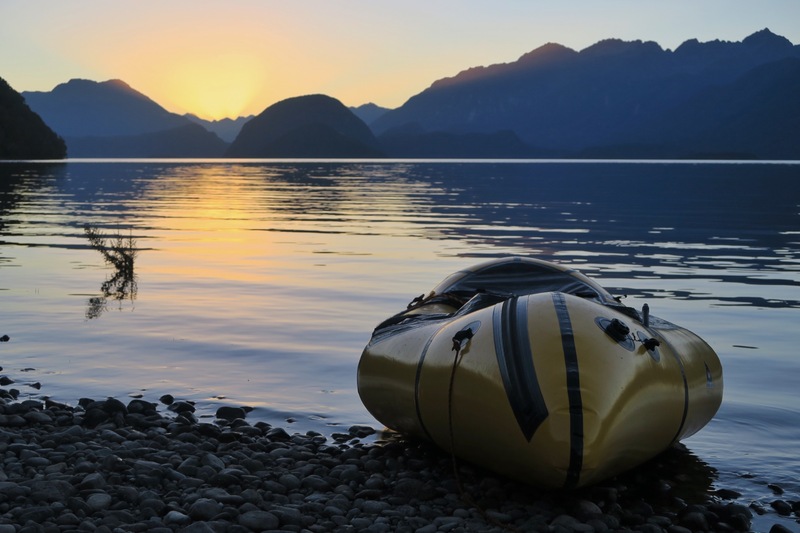 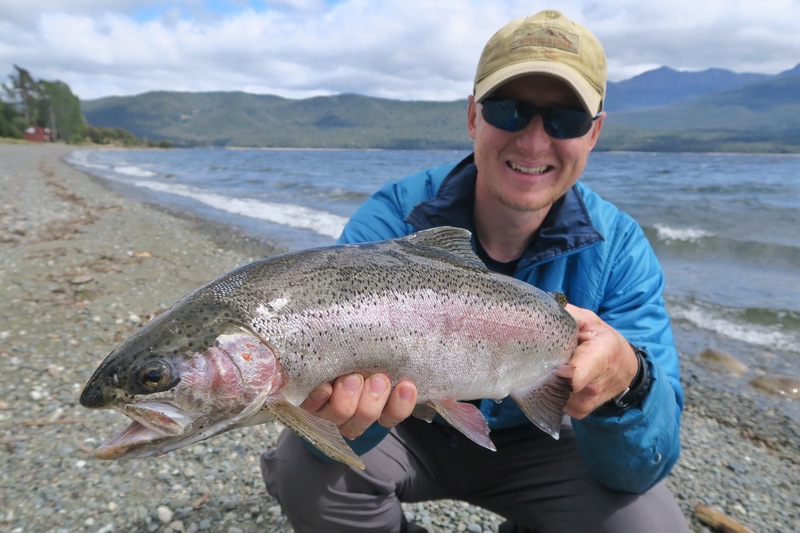 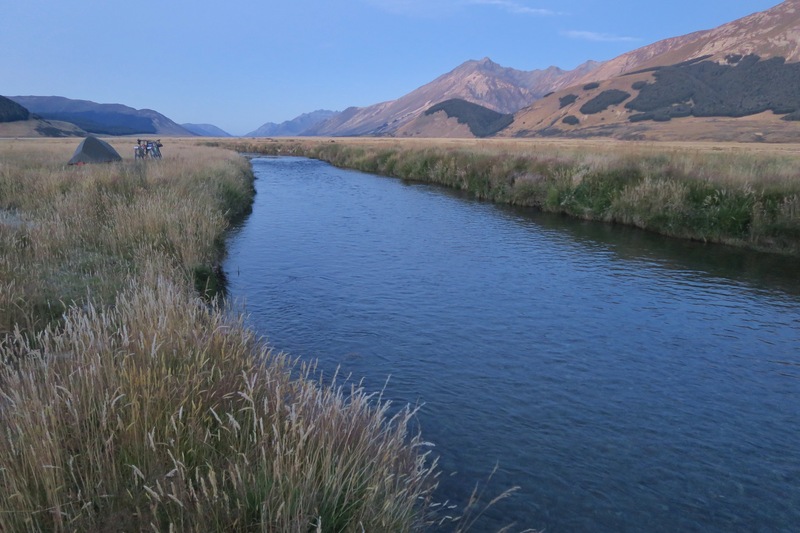 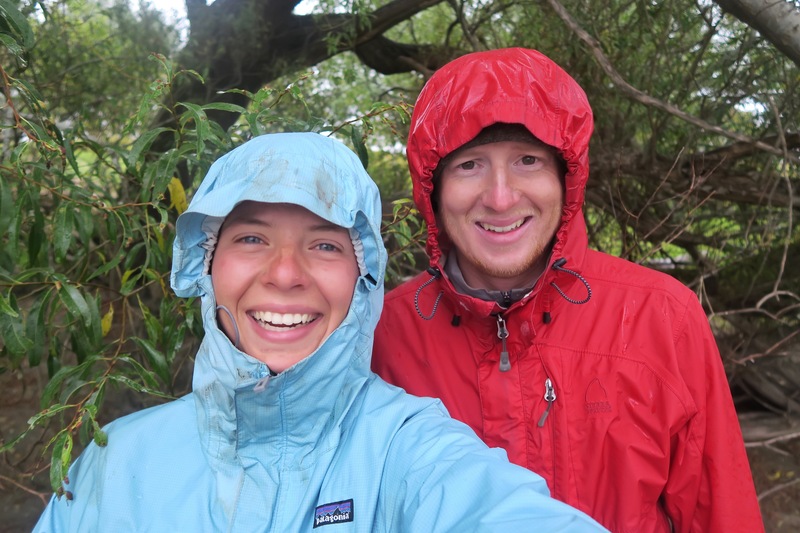 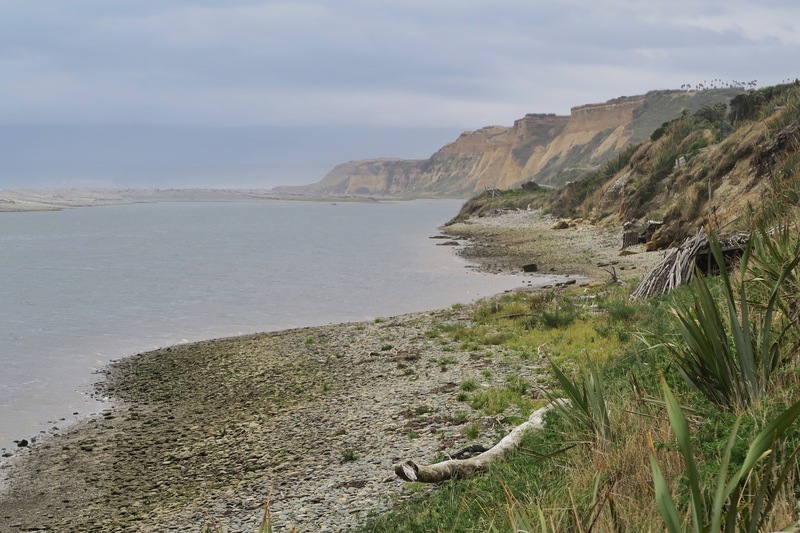 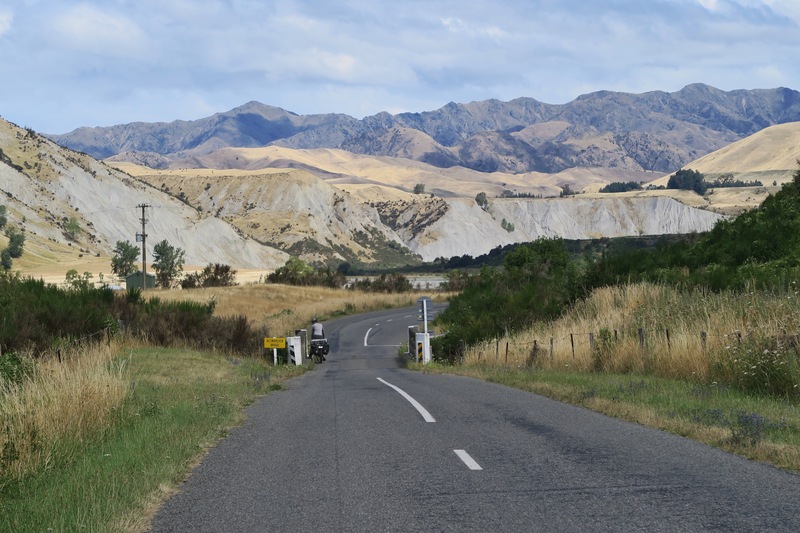 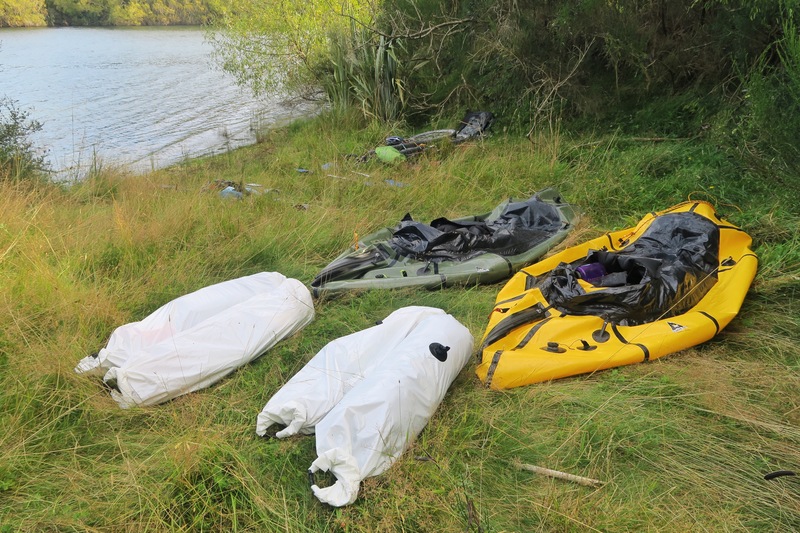 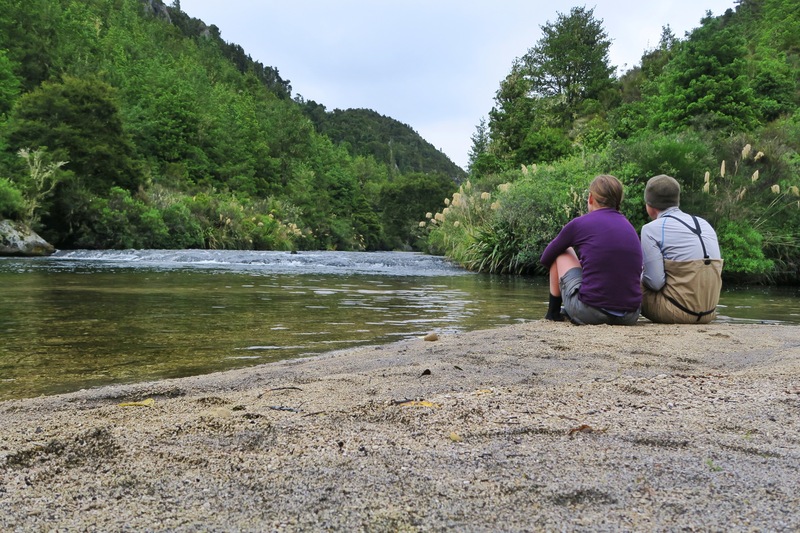 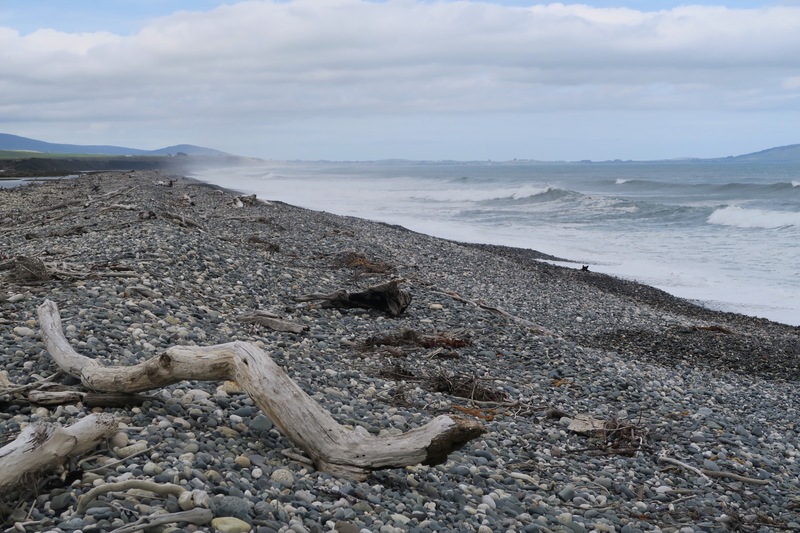 Once we made it to Te Anau we got some amazing news – we were going to get the opportunity to use some Alpacka packrafts and plan our own 10 day bike rafting expedition through the fiordlands! 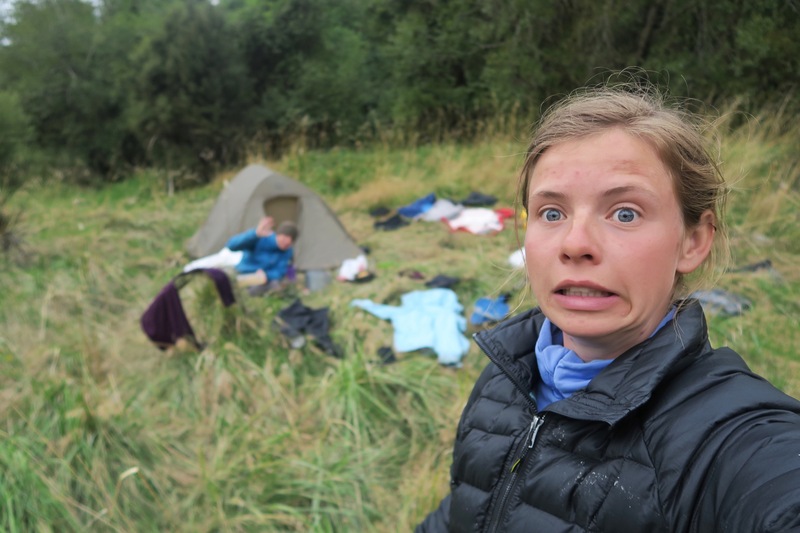 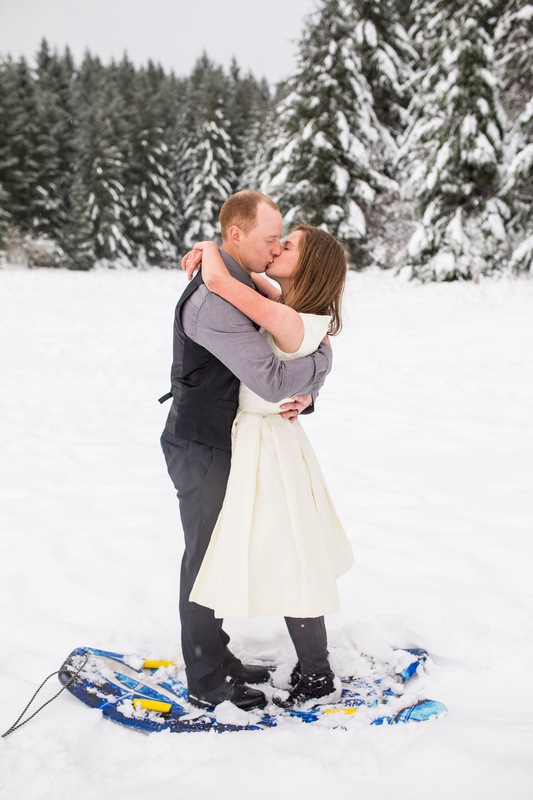 So, after a few days getting ready, we were off.. 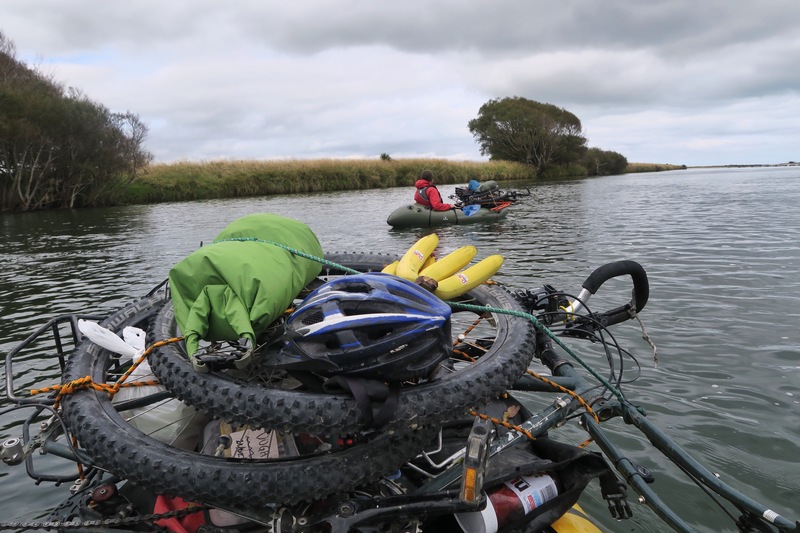 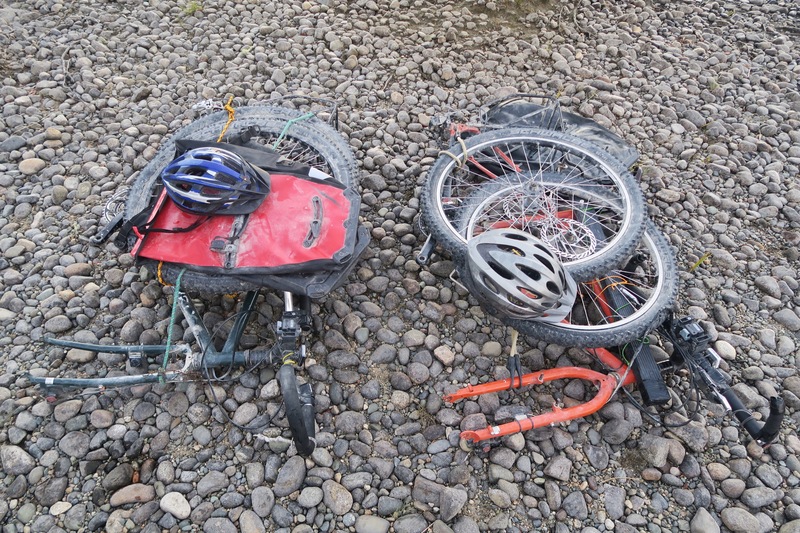 This time paddling away with our bikes strapped to our boats.